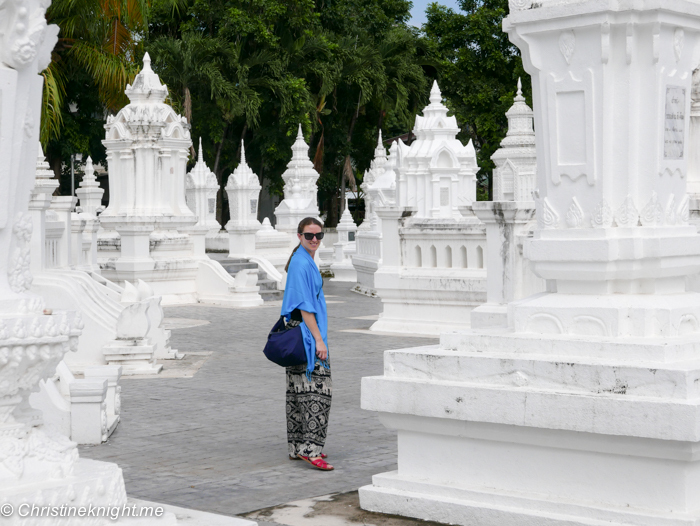 Asia Archives - Adventure, baby! Phuket, Thailand’s largest island, is home to stunning white sand beaches, beautiful rainforests, luxury resorts and cultural attractions. With thirty stunning beaches, visitors are spoiled for choice! For first time visitors, choosing a location can make all the difference to a holiday, be it relaxing or adventurous, kid-friendly or party-central. 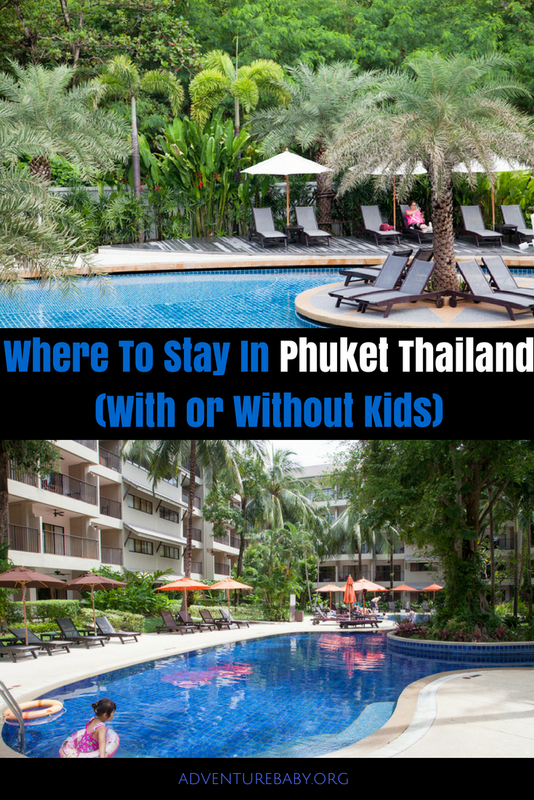 This guide will help you decide where to stay in Phuket. 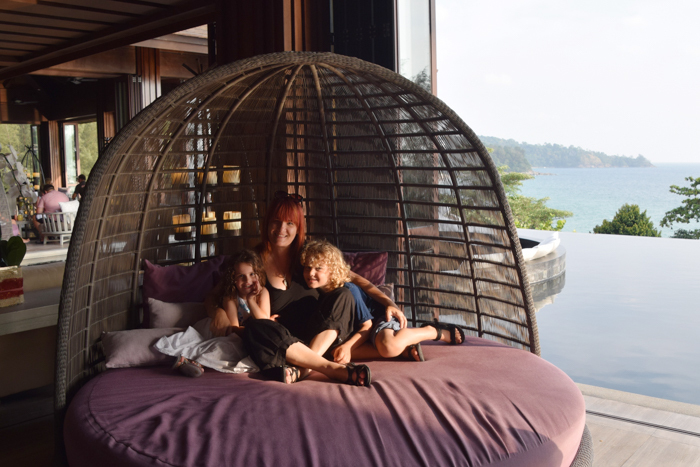 I’ve asked some experienced travel bloggers for their recommendations of where to stay in Phuket. There’s an option to suit all holidays and budget. 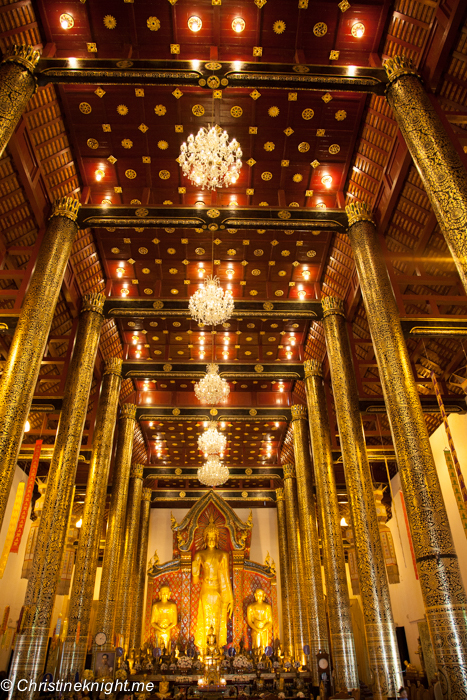 This west-coast resort town is well-known for Bangla Road, which has the highest concentration of bars and nightclubs anywhere in Phuket and is the main source of nightlight for the whole island. 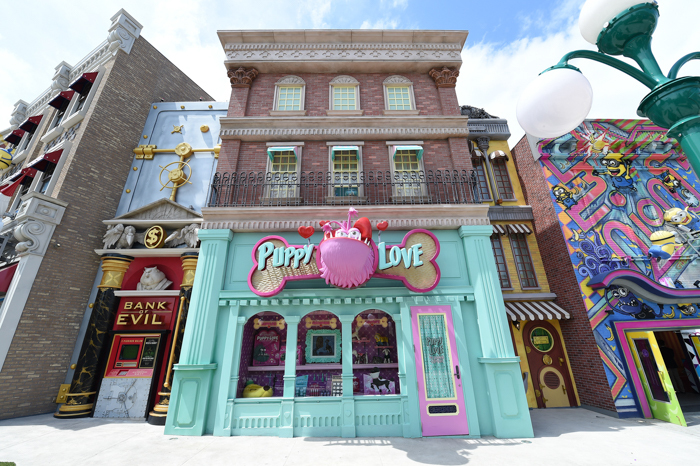 There are plenty of restaurants, shops and attractions in the area, many of which aren’t so kid-friendly. The Bangla Road area is not for children. At night it closes for an all-in street party, with lots of things very inappropriate for kids, but fun to walk down for older people, teens and up. 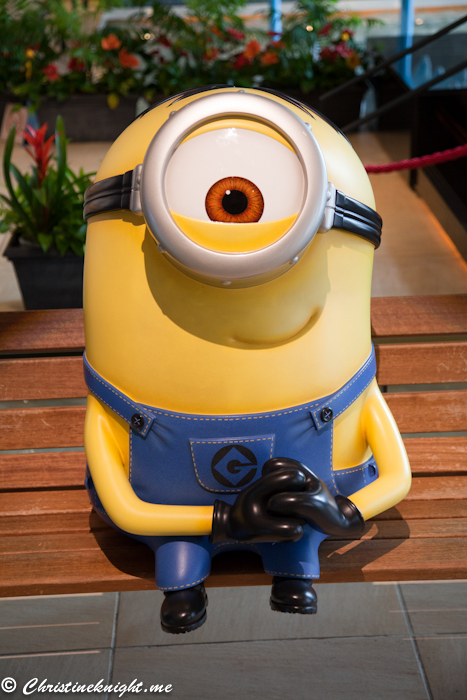 There are basic restaurants for picky kids like Molly Malone’s pub, McDonald’s and the Hard Rock Cafe. The tuk tuk are a must, especially at night when there is music playing and the tuk tuks are lit up. 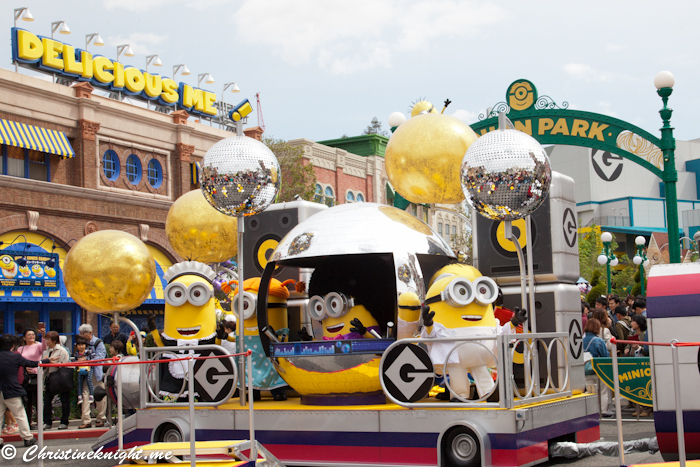 Our little ones absolutely loved them and called them disco tuk tuks. 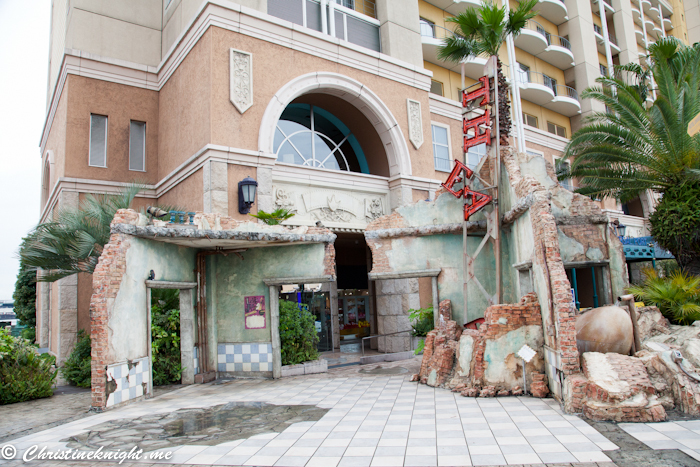 One restaurant I would recommend is “On The Rock”, between Kata and Karon beaches. A bit more up market, with beautiful food and a fabulous location with a spectacular sunset. On The Rock is a short tuk tuk ride from Patong. 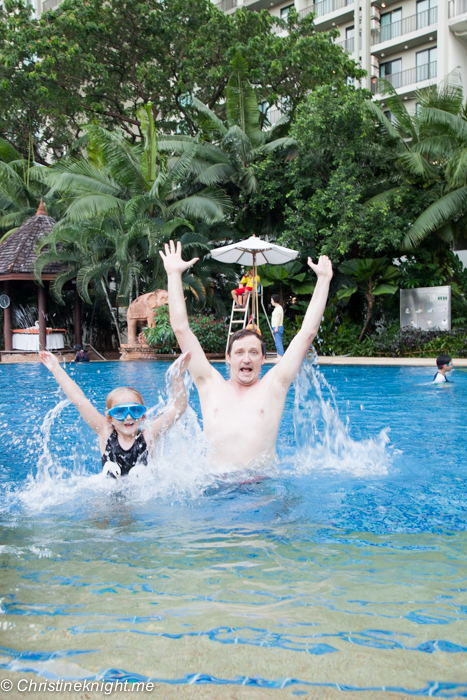 This large resort is a perfect spot for families on a budget. The grounds are massive with room for kids to run and play. It has the cutest kids’ club we have ever seen and the breakfast was very good. 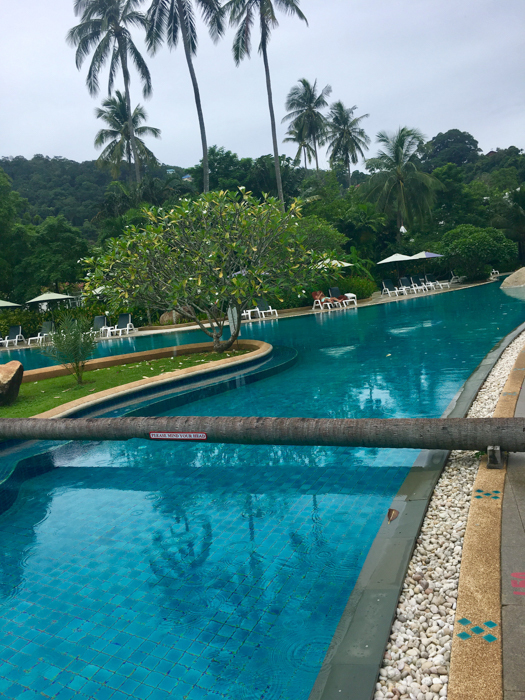 The resort has two huge pools, one is so large you can’t see the whole thing without walking around, and it’s also only about 30 metres to the beach, so super close for little legs. 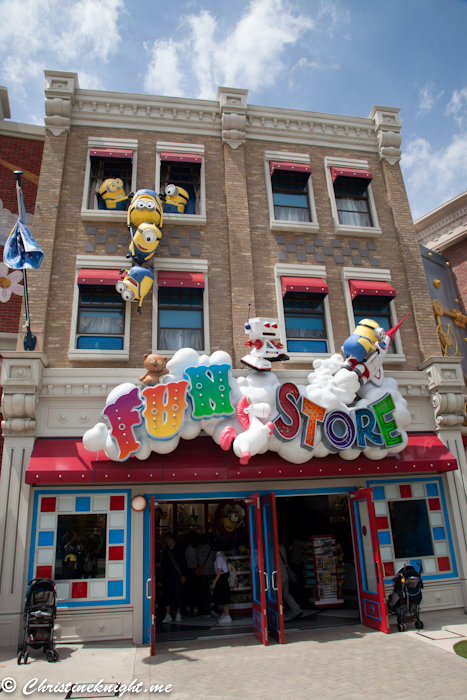 There is mini mart opposite the entrance for supplies and offers interconnecting and family rooms. 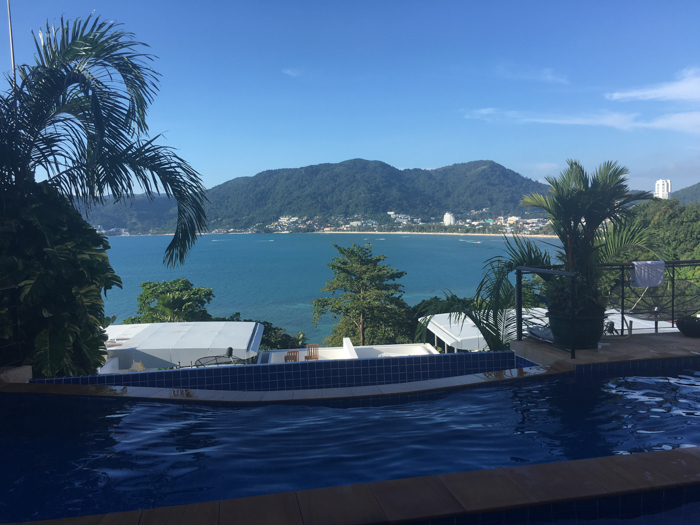 The villa was magnificent, with a view over Patong Beach. It came with a car and driver making it easy to go up and down the hill to the shops, beach, restaurants and markets. The villa was staffed, so breakfast was cooked and prepared for us each every day. 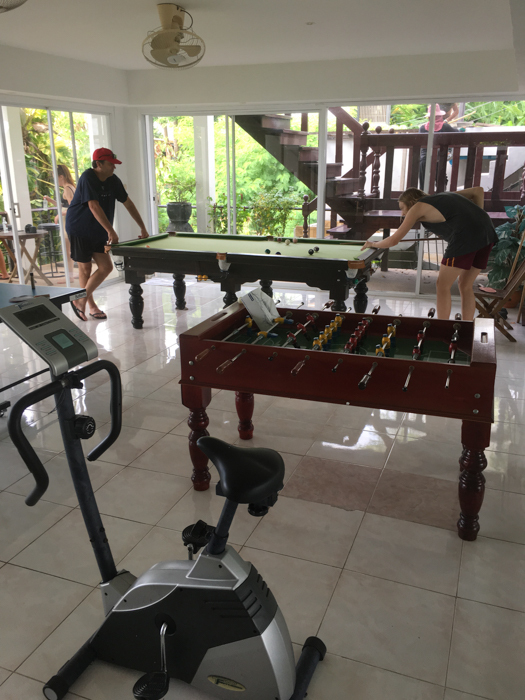 The five bedrooms all have ensuite, plus there was a two-level pool and games room with pool table and gym equipment. It was a more expensive way to stay, but we had a family of 11 staying, making it the perfect choice. 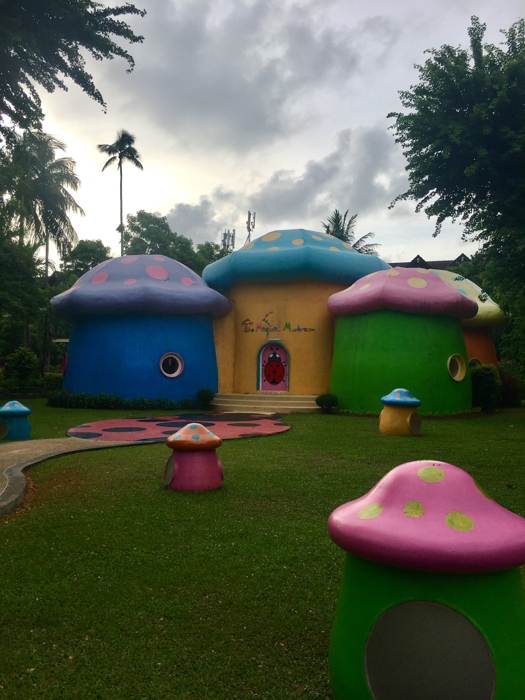 Get more info on staying at the Pra-Nag Villa here. I know what you are thinking. Patong? 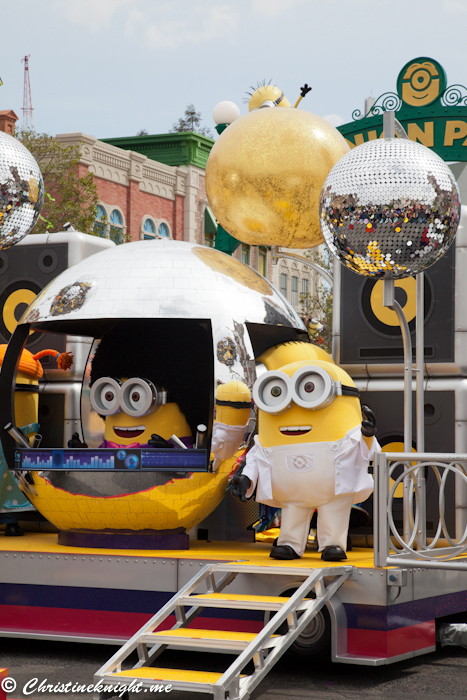 That crazy party town? With kids? No, I’m not crazy. Indulge me for just a moment! 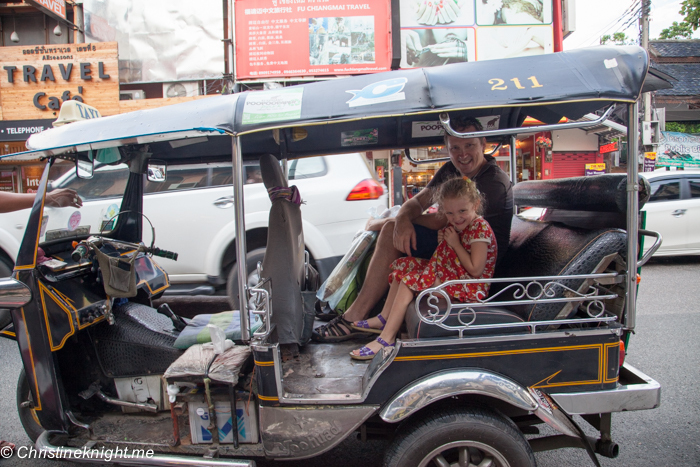 Yes, Patong is known for the nightlife but it certainly does not exclude families. The trick is to pick the perfect accommodation so when the hectic pace gets too much for the wee ones you have a safe place to relax. 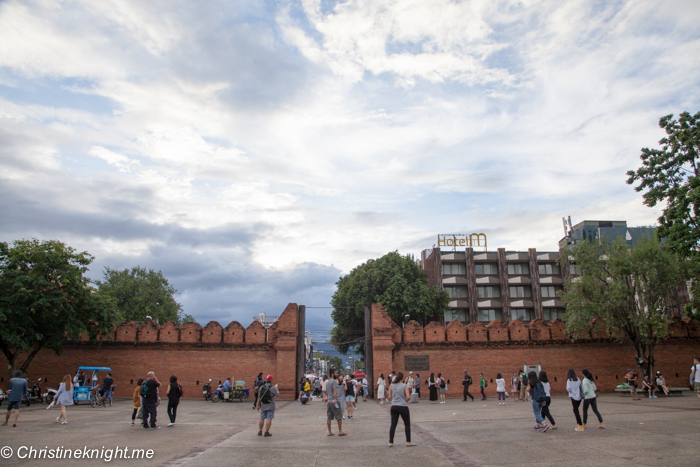 Once you step through the gates of the Holiday Inn Resort in Patong you instantly feel the tension slip away. The kiddies will love the resort pool which is big enough to never fell crowded and the adults will love the swim up bar to indulge while keeping a watchful eye. Rooms are spacious enough to fit a family of four all in the one room and inter connecting rooms are available. 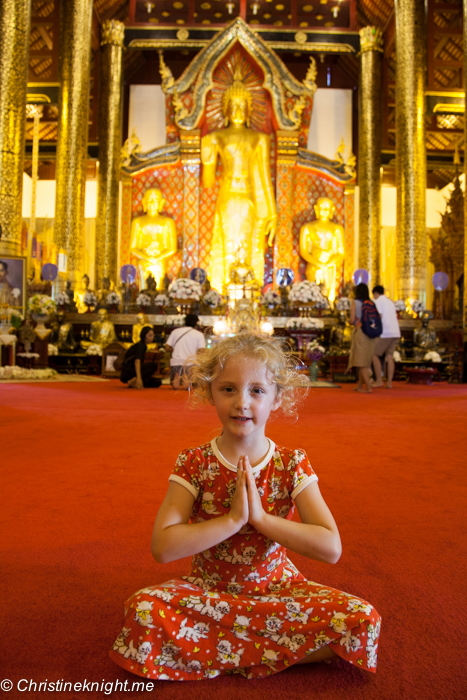 Kids have their choice of a variety of activities at the Kids/ Club and the girls loved the Thai dancing class. Step out onto the street and treat them to a delicious crepe from one of the many street vendors (with sprinkles of course!) and a visit to the beach, which is just steps away, is a must. 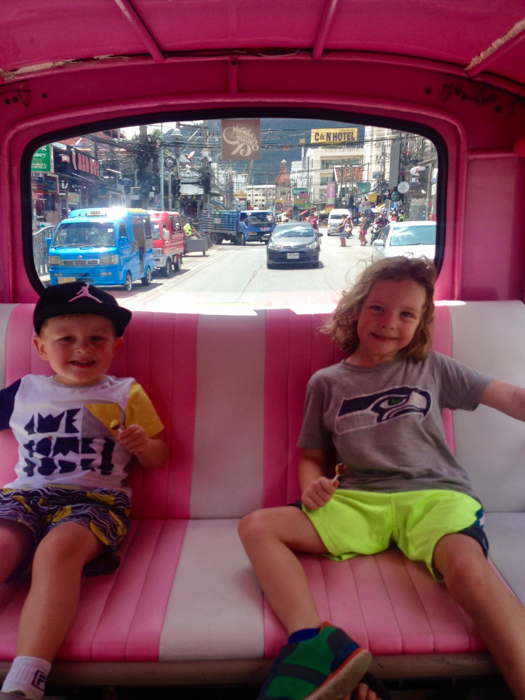 Little shopaholics will love haggling at the many markets for a bargain and when the sun sets treat them to one Patong’s many cheap eats. We loved Sweet Restaurant and they always produced a complimentary after dinner treat for the girls which was a wonderful touch. 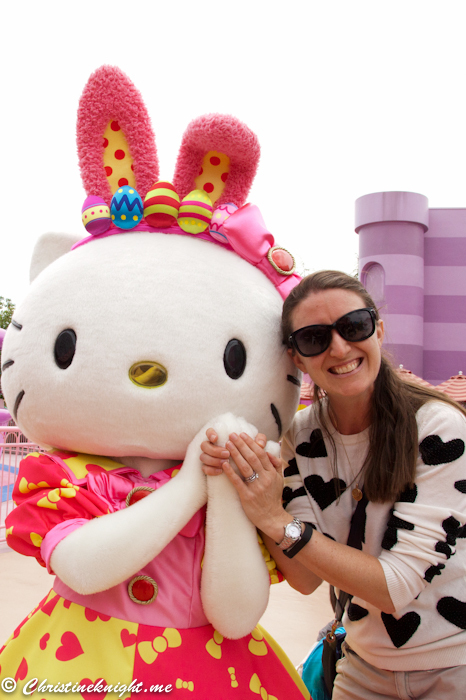 If your little ones are Hello Kitty fans be warned there is a dedicated shop that we HAD to visit every night and dragging Miss C out without tears was a touch problematic! 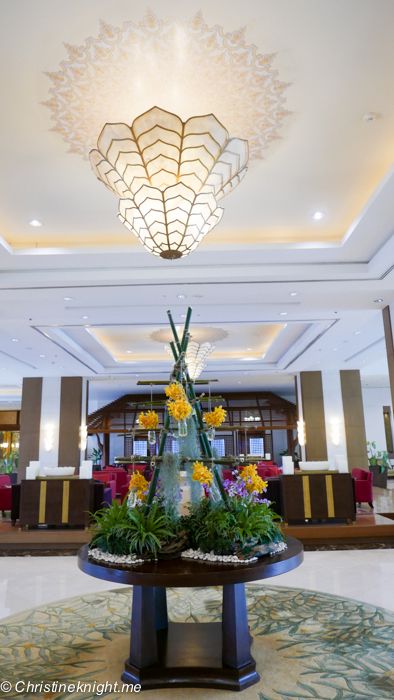 Get rates for the Holiday Inn Resort Phuket here. 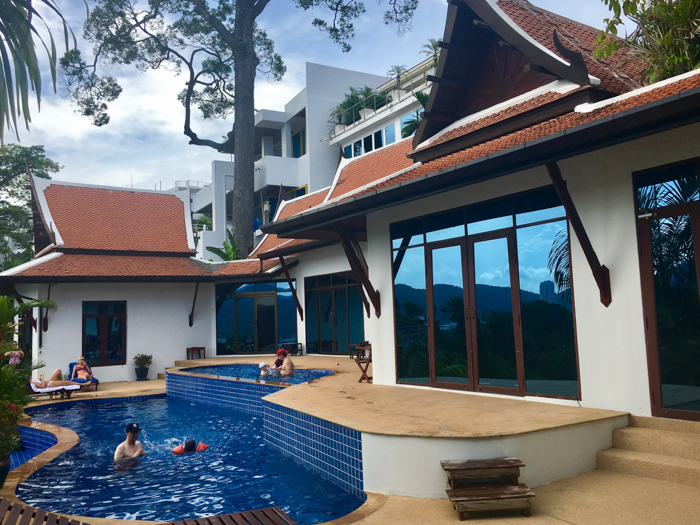 Find and compare accomodation in Patong here. A popular location for surfing and diving, plus for families looking for a relaxing holiday on the beach. There are several restaurants, shops, activities and pretty views in the area. 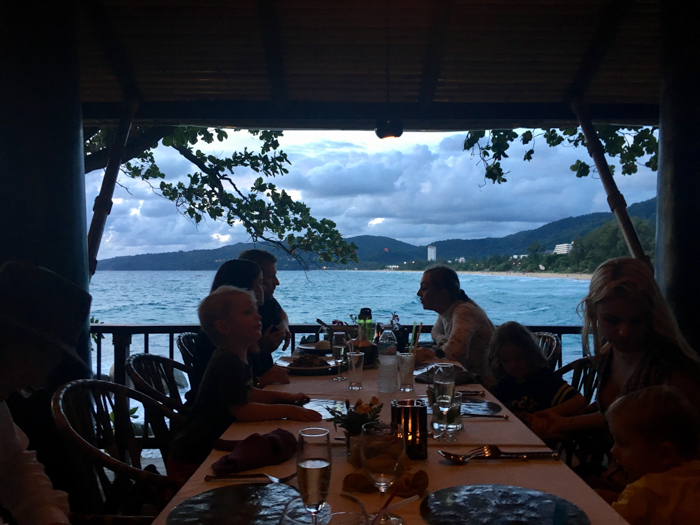 I loved Kata Beach’s chilled out vibe and minimal party scene, which make it an ideal spot for families. The beach is sheltered by the bay, and it’s calm waters were great for the kids. It was relatively clean, and a relaxing change from the busier beaches to the North. I didn’t like the lack of sidewalks at the South end of town. At times it was a bit nerve-wracking walking the streets with the kids because of this. And although it’s not crazy busy, the beach was still busy enough to attract it’s fair share of hawkers selling everything from t-shirts to beer! 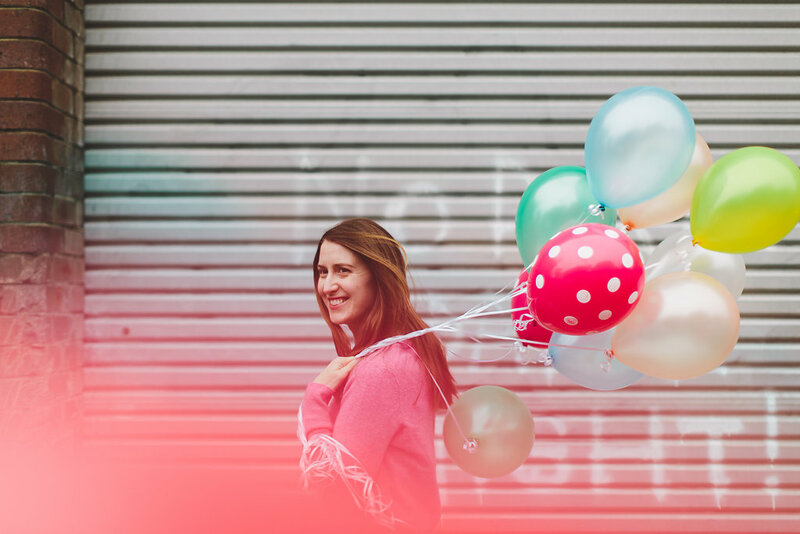 I find it hard to relax when I’m constantly telling someone “no” (I have to do this enough with my kids!). We stayed in a small hotel towards the south end of town, the Kata Leaf. The rooms were spacious and it was tucked away off the street, so it was nice and quiet. The best part was the covered patio in front of the room where we could relax in the evening while the kids slept inside. Get rates for the Kata Leaf here. We found Kata Noi, a small, quiet beach just south of more popular Kata Yai (Kata Beach) to be perfect for staying with our elderly parents and one-year-old son. The luxury Katathani Resort takes up most of the beach, but blends in to the background so you barely notice it. 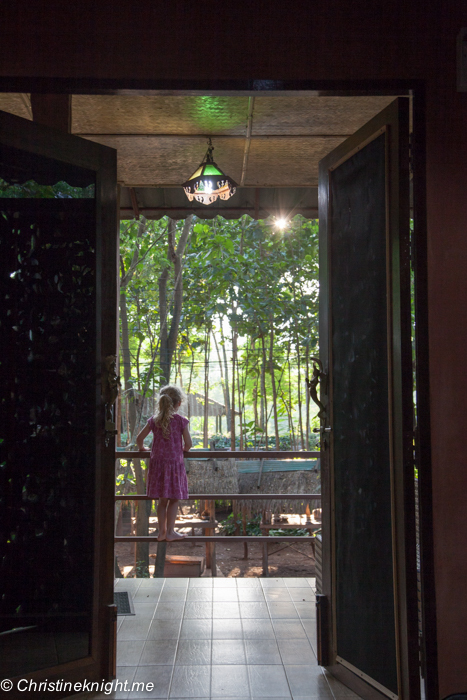 We loved staying at the small guesthouse Kata Noi Resort. We had access to the same gorgeous beach for a fraction of the price, and we had a private villa with swimming pool only a few minutes walk from the beach. 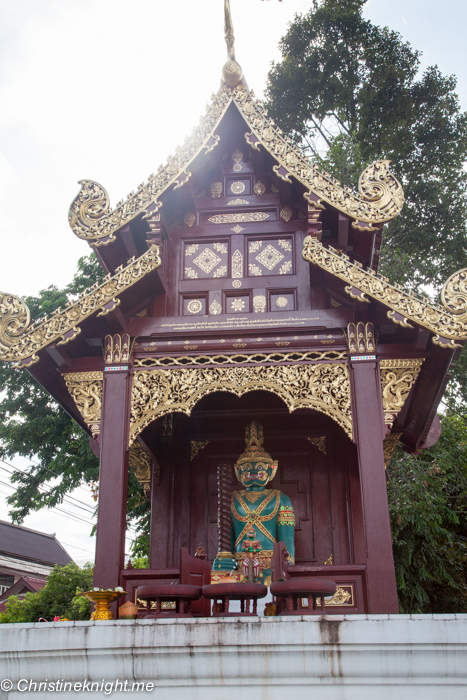 See here for more information on Kata Noi for families. 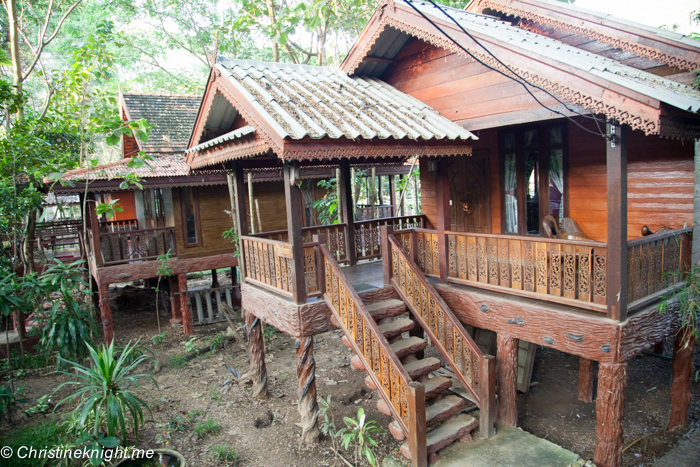 Get rates for Kata Noi Resort here. 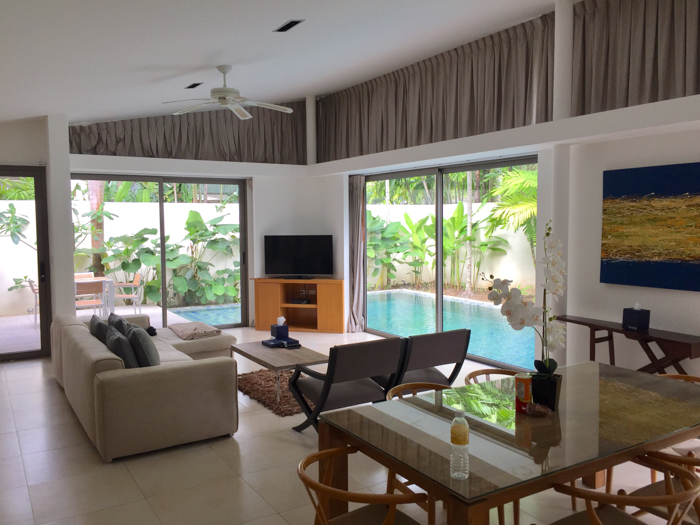 Find and compare accommodation in Kata Beach here. A relaxed beachside community with shopping, nightlife and a good choice of budget restaurants. There are plenty of beautiful resorts to choose from in the area, at budget-friendly prices. 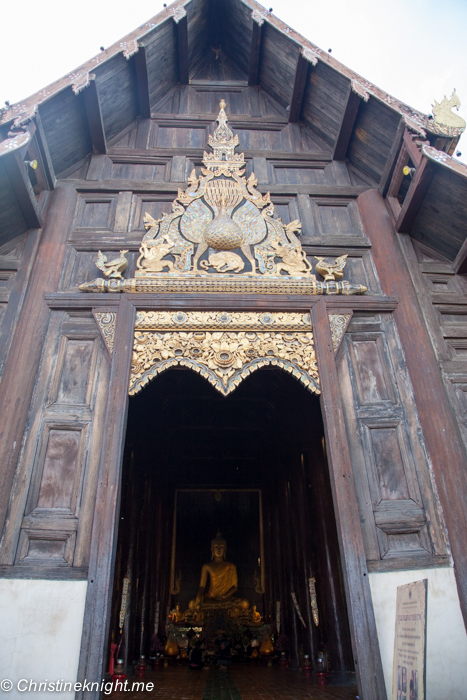 The closest attraction is Wat Suwan Khirikhet. 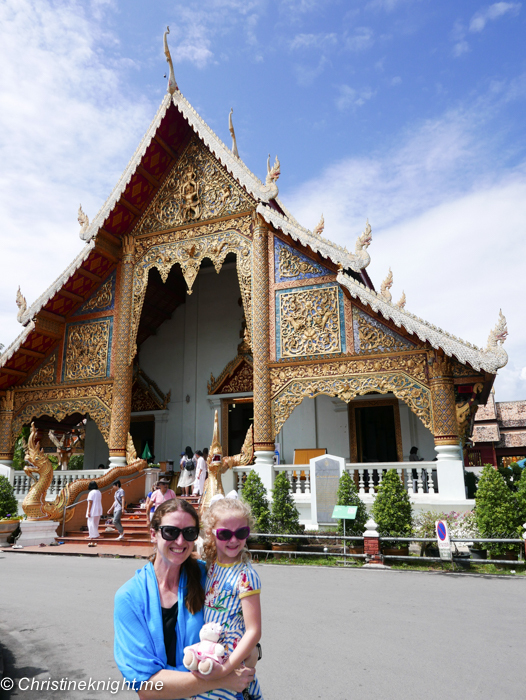 We spent a beautiful morning at the temple engaging with the monks and their pet chickens. 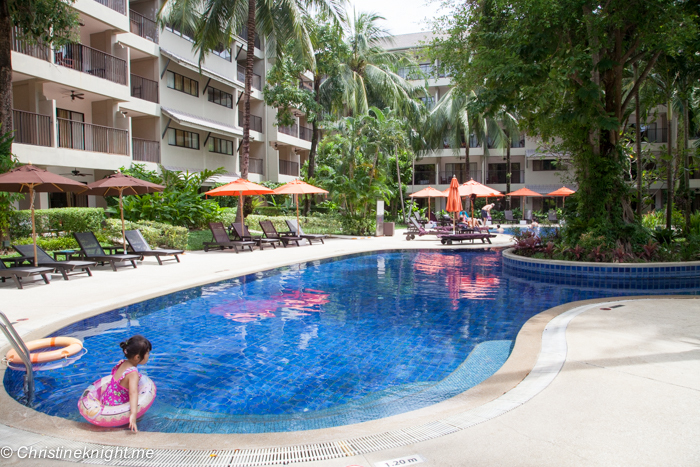 We highly enjoyed our stay at the Novotel Phuket Karon Beach Resort And Spa. The low-rise resort sprawls around three pools, with a distinctly jungle-feel to it thanks to all of the gorgeous plant life. 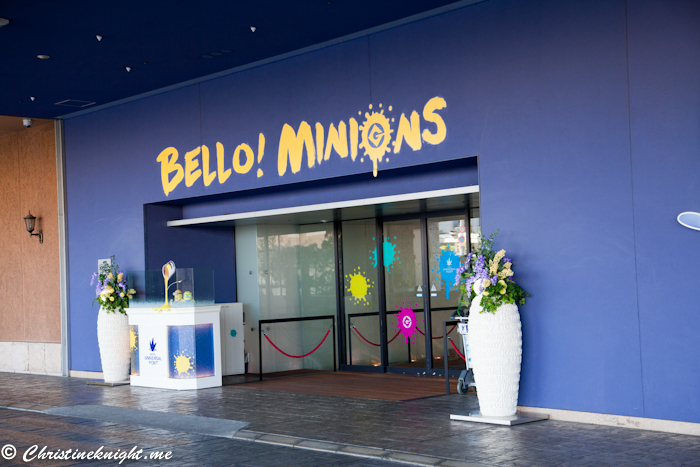 The hotel features a kids’ club, excellent breakfast with custom-made omelettes and five resorts. 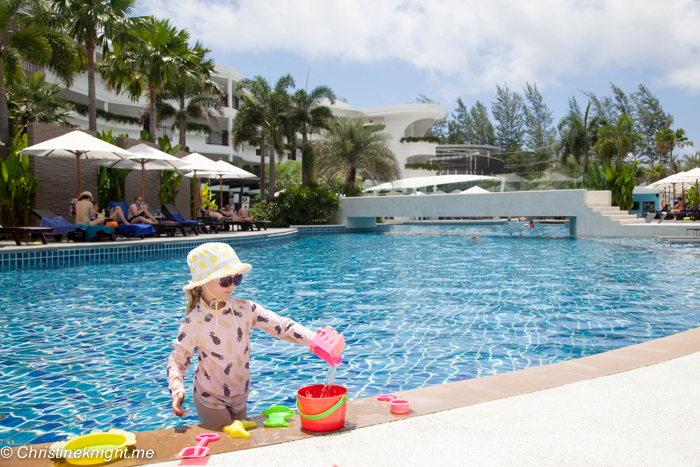 The Novotel Phuket Karon Beach Resort And Spa is extremely family-friendly. We found a tent in our bedroom filled with toys for our daughter to play with, she found a little treat on arrival and discovered a scavenger hunt trail to get her busy around the resort. 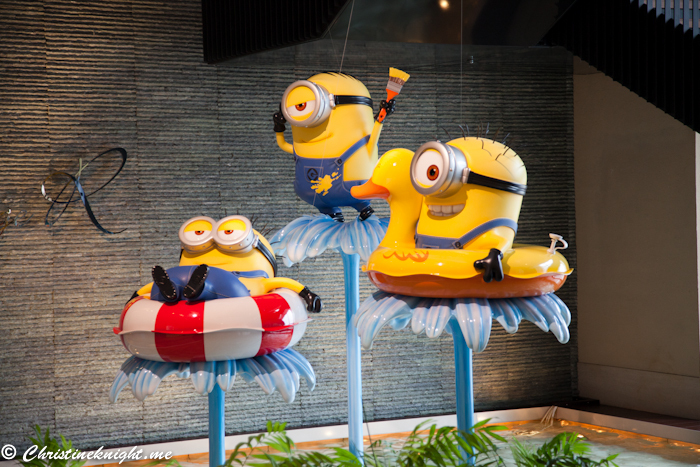 Read more about our stay at the Novotel Phuket Karon Beach Resort And Spa here. Find and compare accommodation at Karon Beach here. 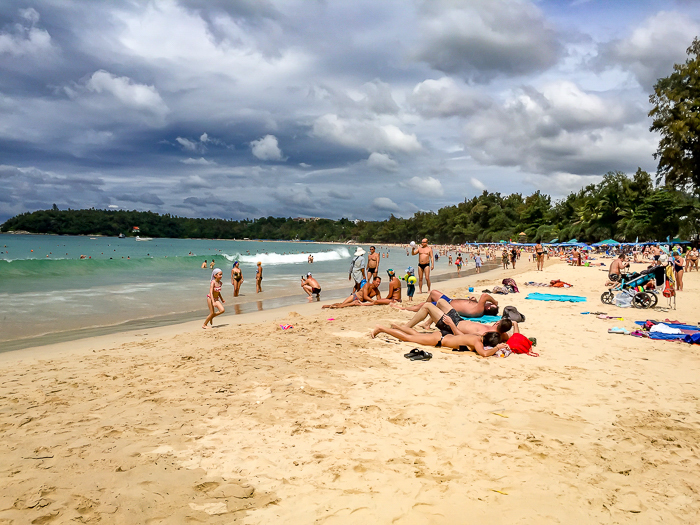 The second-longest beach on Phuket is home to a mix of budget and mid-range hotels in its south end, luxury resorts in its central area, and five-star properties in its northern end. Bang Tao is a quiet spot with a few beach clubs and restaurants. 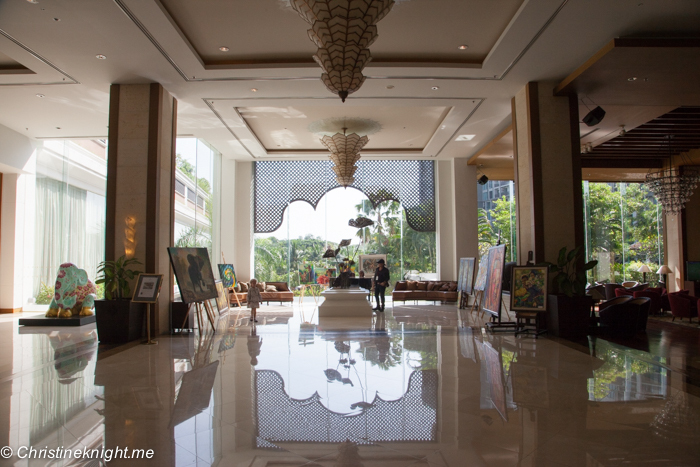 We arrived at the Dream Phuket Hotel & Spa late at night from our flight from Bangkok. Thankfully, the receptionist was very understanding that we were tired and checked us in quickly. During the short waiting time, we got cold wet towels to clean our faces – a lovely gesture. 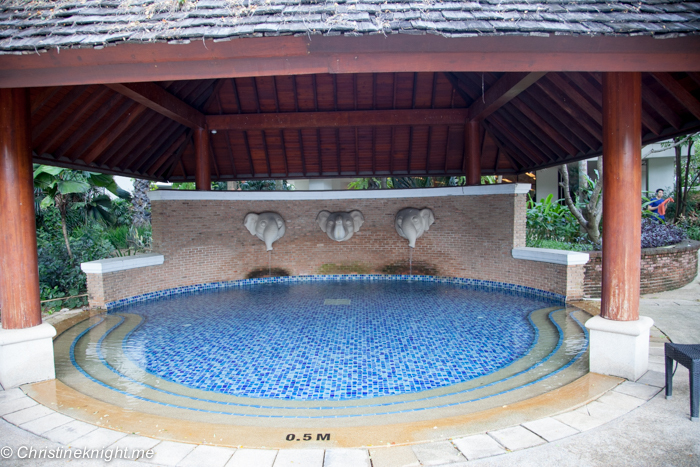 We had decided to splurge a little and got the three bedroom villa of the hotel with a private pool. And it was absolutely worth it. We could just open the sliding door of our huge living room and jump right into our own pool. An absolutely amazing experience with maximum privacy. The hotel itself is in a very quiet location, a couple of km from the beach. They also have a beach club and a private shuttle that goes there every couple of minutes. For us it was fine since we didn’t need to spend all day on the beach. 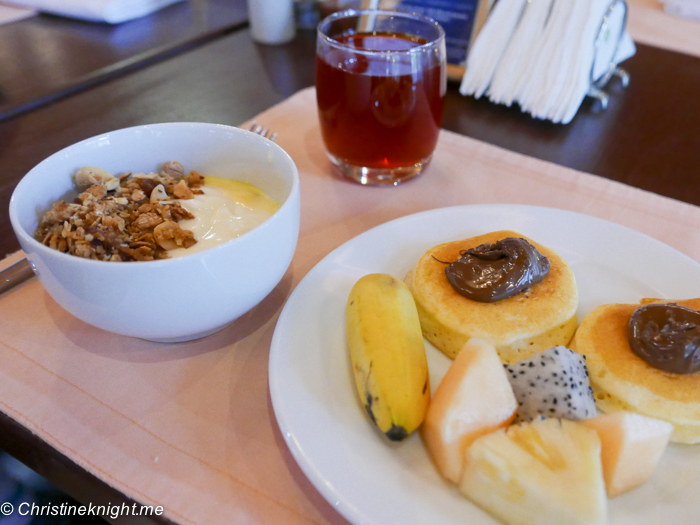 The facilities of the hotel were all top notch – several pools, a fitness area and a really great breakfast. Thanks to Mike of 197 Travel Stamps. Get rates for Dream Phuket Hotel & Spa here. Find and compare accommodation at Bang Tao Beach here. The longest beach in Thailand is a quiet, relaxing location for a holiday. All you’ll find at Mai Khao Beach is a few luxury resorts and the Splash Jungle Water Park, making it the perfect spot to escape and do absolutely nothing. The majority of the beach lies inside the Sirinath National Park, where Giant Ridley Sea Turtles lay eggs between November and February. Phuket is mostly developed in the south, so for serenity and seclusion on arriving, I personally prefer to escape north from the airport. And here we would stay on Mai Khao Beach, an area which remains relatively unspoilt when compared to Phuket’s more popular beaches. But seclusion does have its downsides, and there is very little entertainment or excitement in the area, so you’ll have to make-do with the sea views, soft sands, and natural surroundings (although resorts will always offer the usual tours and excursions in the Andaman region). There are only a handful of high-end resorts along Mai Khao Beach, and to date we have stayed in a couple, although the stand-out stay is undoubtedly SALA Phuket Resort & Spa. A rather fancy, boutique-styled escape, with private pool villas, and beachfront views. Mai Khao images and accommodation thanks to Allan Wilson, live-less-ordinary.com. 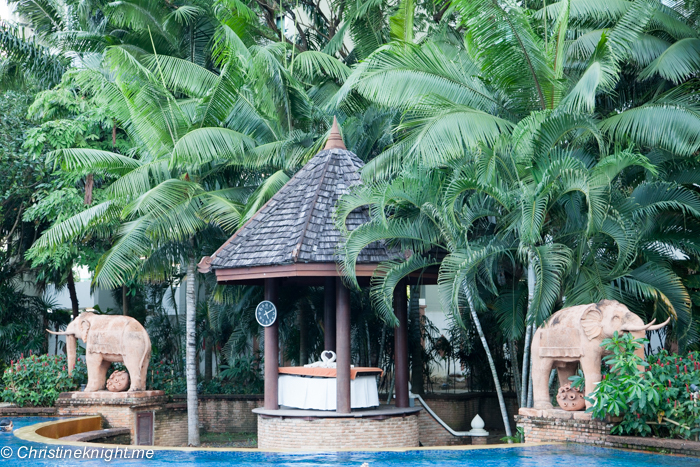 Get rates on SALA Phuket Resort & Spa here. 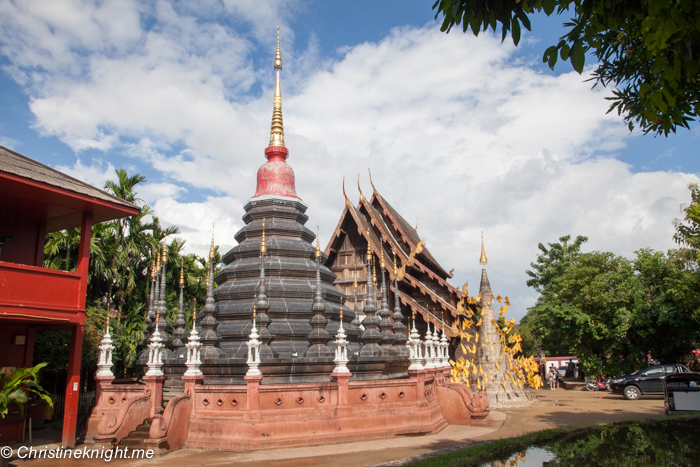 Compare accommodation at Mai Khao Beach here. 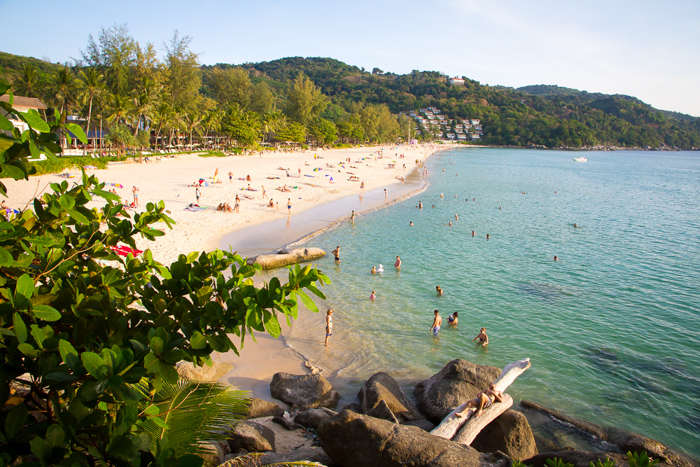 Kamala Beach is located approximately 5km from Patong. It’s one of the smaller towns in Phuket and is still a fishing village, even though tourism also makes up for the local’s income. It’s quieter and more relaxed here compared to other tourist areas in Phuket, and also a bit cheaper. There’s a lot of greenery in the area, giving it a jungle feeling. 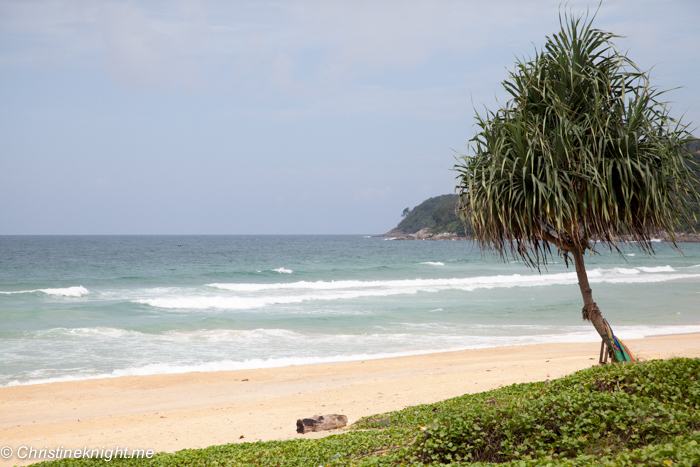 Kamala Beach is safe for children and a great place for snorkeling. Kamala is not the place for parties and doesn’t have as large range of restaurants as nearby Patong, for example. 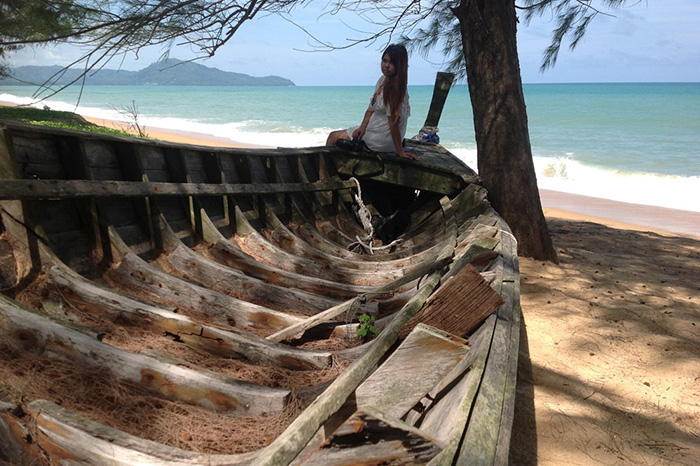 But, In short Kamala Beach offers everything for a relaxing vacation in Phuket. 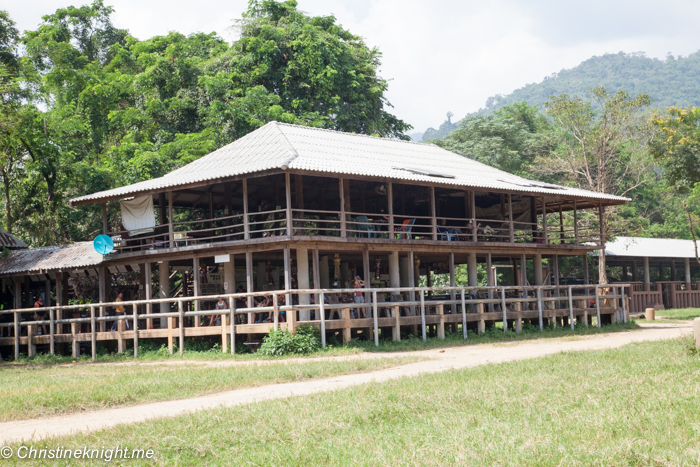 If you want to spice things up, I really recommend staying at the luxury resort called Keemala, which is just a few minutes driving upwards from the beach. 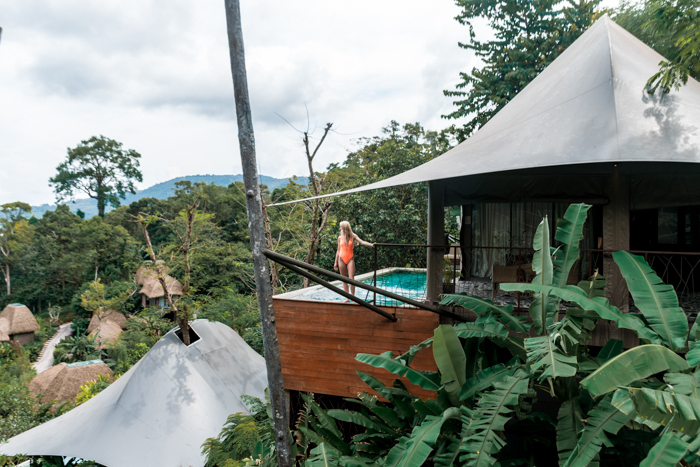 Keemala offers that jungle experience as you’ll be staying in villas located in the middle of the jungle with private pools, spa and delicious food. Thanks Alex at swedishnomad.com for the Kamala Beach tips and hotel recommendation. 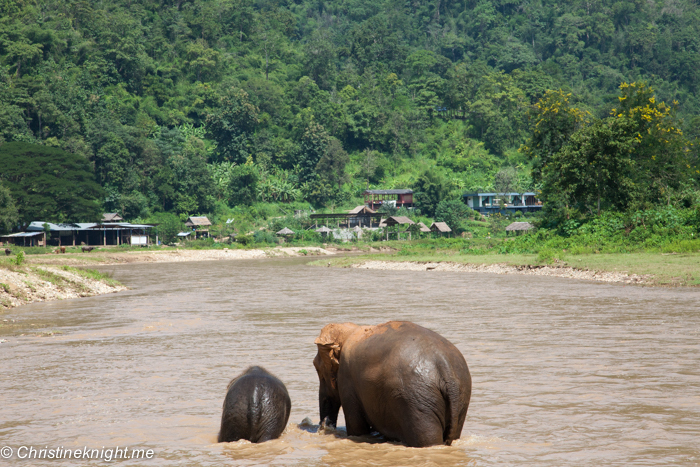 Get rates for Keemala Resort here. 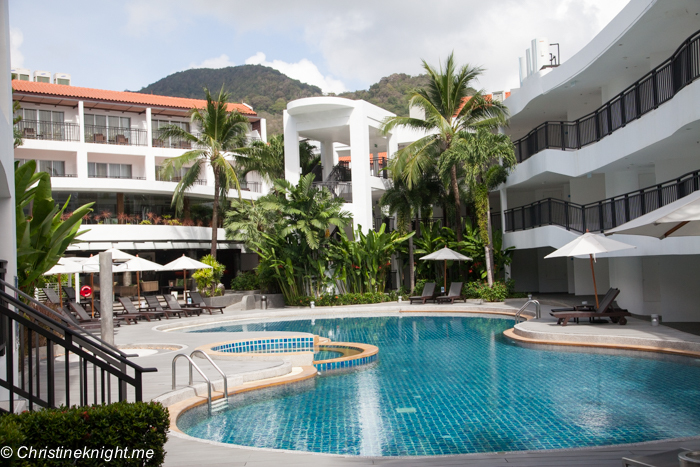 Compare accommodation in Kamala Beach here. Recognisable for the long-tailed fishing boats anchored along it, Rawai Beach is a great location for island-hopping to nearby Coral and Racha islands. 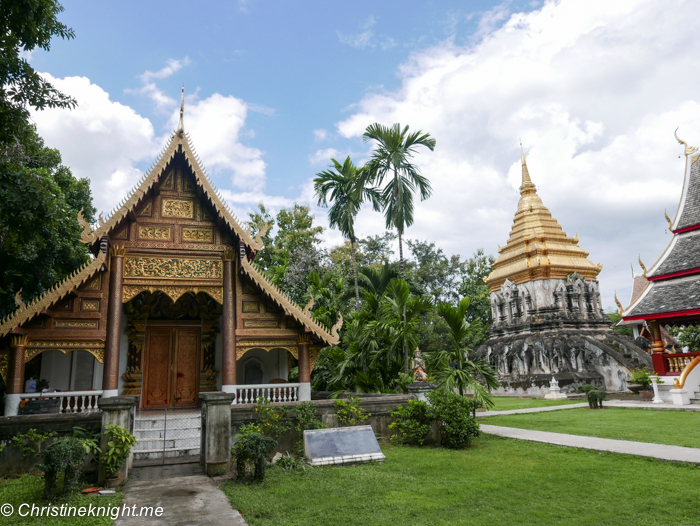 It’s a quiet area with a few shops and restaurants, and is located close to attractions such as Promthep Cape and Phuket Big Buddha. Rawai Beach is renowned as an excellent location particularly for families. 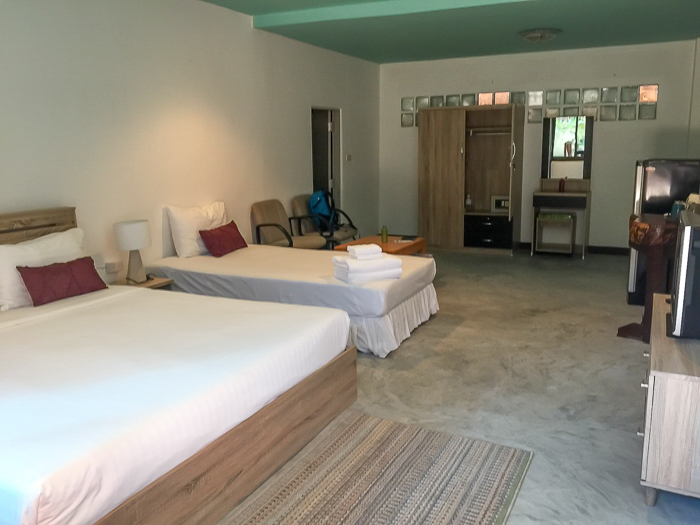 Find and compare accommodation at Rawai Beach here. We stayed in this quiet town and enjoyed its peacefulness. Surin Beach doesn’t have much in the way of restaurants or things to do in the area, but does have a beautiful beach and some lovely resorts to stay at. 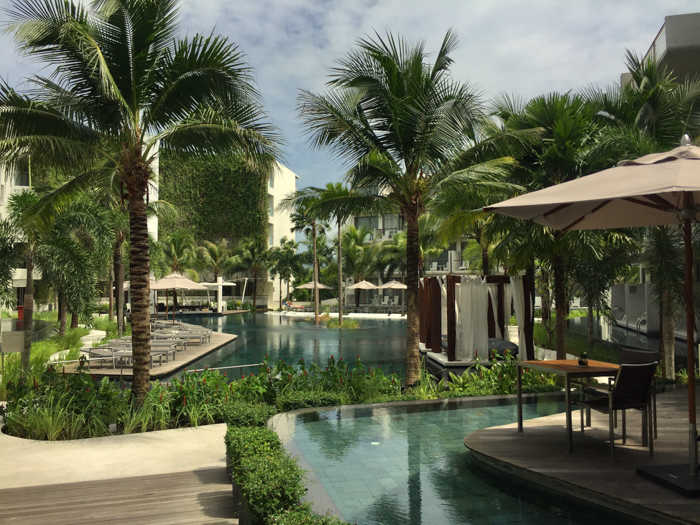 We stayed at the Novotel Phuket Surin Beach Resort, a 4-star resort is a short walk from Surin Beach, about 25 minutes from Phuket airport. The resort is large without feeling overwhelmingly huge – it’s big enough to have a lot of great facilities, but small enough to get to know the staff and for them to learn our names. The incredible buffet breakfast has something to suit everyone, the pools are massive and beautiful, and the kids’ club offers plenty of activities. 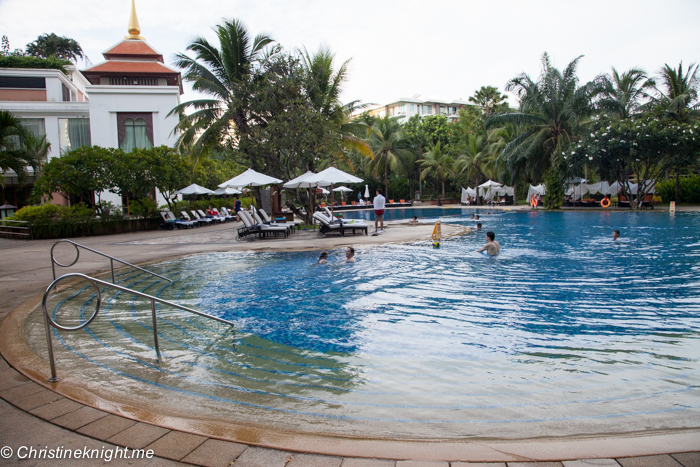 Read more about our stay at Novotel Phuket Surin Beach Resort here. Find and compare accommodation at Surin Beach here. 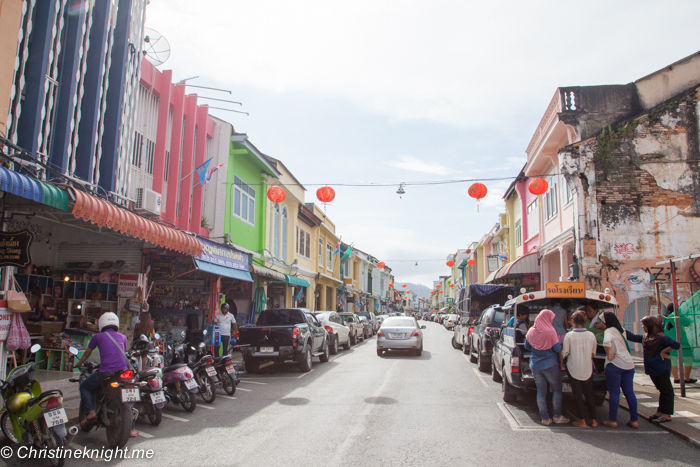 The urban centre of the island, Phuket Town is a unique location with pastel coloured buildings lining its streets, great restaurants, shops and attractions such as the Phuket Trickeye Museum. 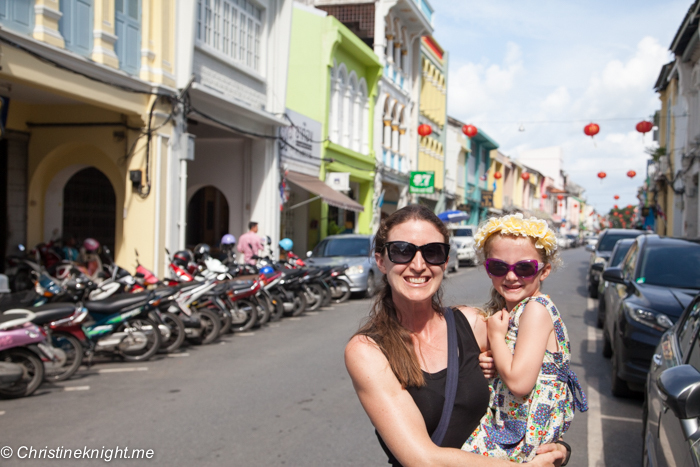 Staying in Phuket Town is great for getting a local experience. 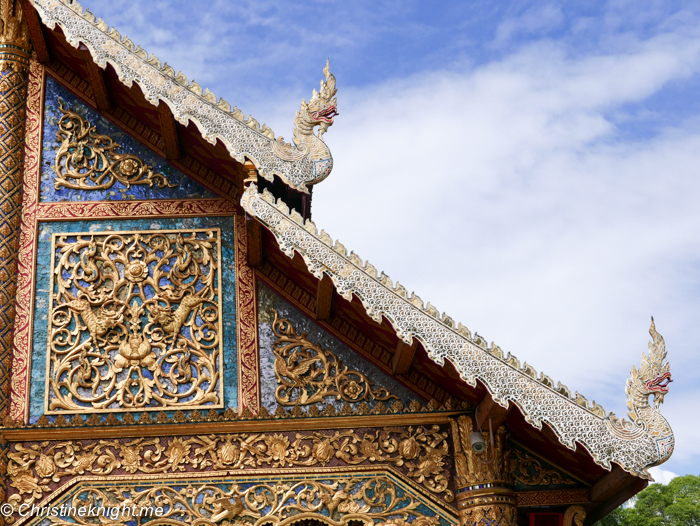 Find and compare accommodation in Phuket Town here. 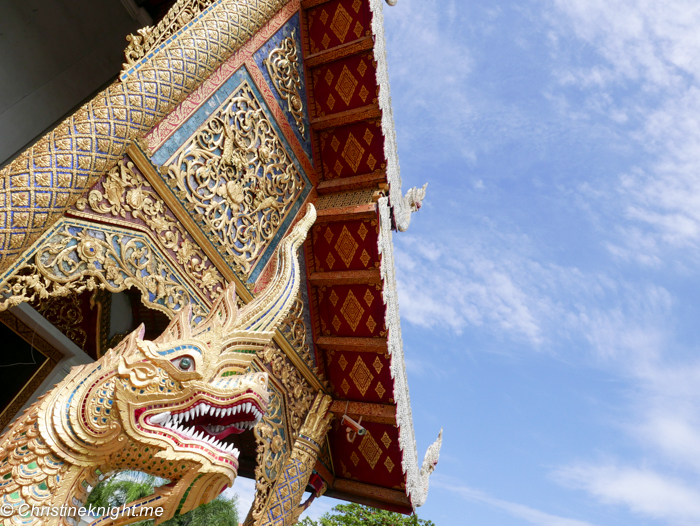 Phuket’s Naithon is a sleepy beachside village, away from the hordes at the popular resorts town. 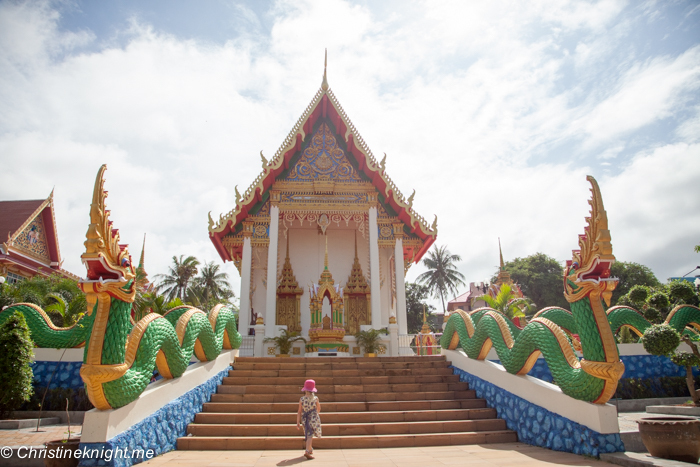 One of the last bastions of undeveloped loveliness on the island, Naithon offers a taste of Phuket as it was a couple of decades ago, and visitors won’t find much more than a gorgeous beach, shady trees, a few seafood restaurants and a hotel or two. 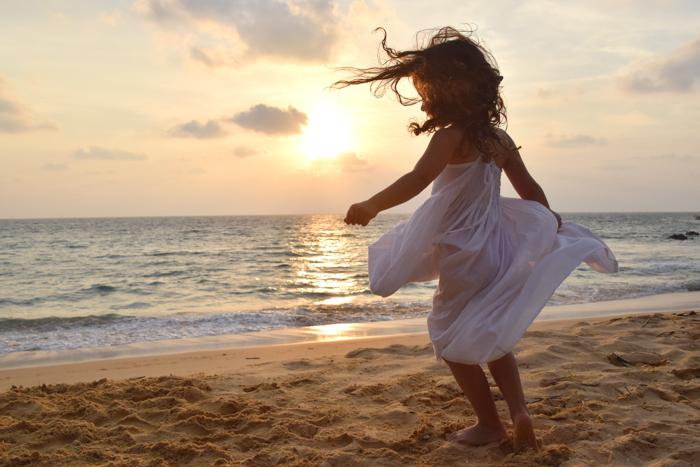 While the quiet might not appeal to some people, it’s exactly the kind of place we love, because sand, sea and sunshine are all we need to be happy. The Pullman Phuket Arcadia Naithon Beach is a jaw-dropping beachfront resort and without doubt, our favourite hotel in Phuket. 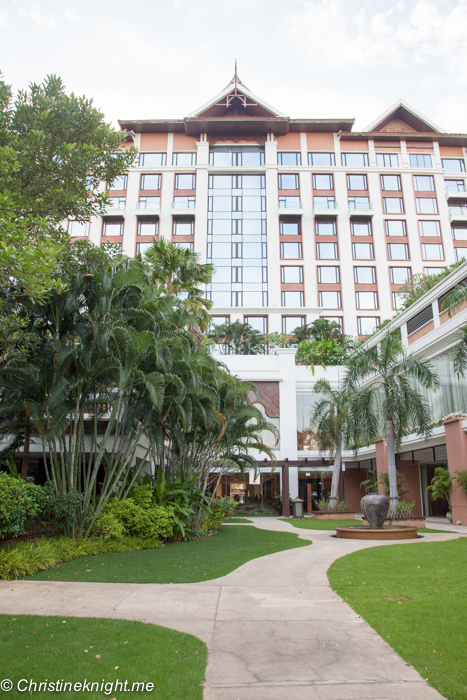 Just 10 minutes from the airport, the resort is a place where gracious Thai hospitality meets absolute luxury. Accommodation is light, chic and spacious, with separate living and sleeping quarters that are perfect for families. 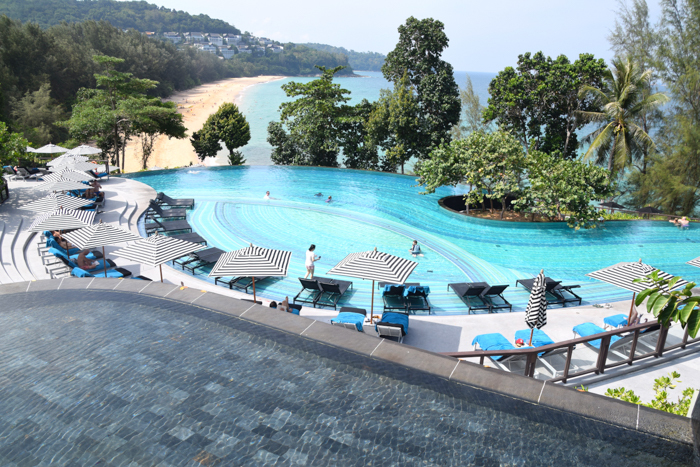 There’s a choice of amazing restaurants, two pool zones, one near the kids’ club as well as an infinity pool that offers what must be some of the most spectacular pool views in Phuket. Speaking of the kids’ club, with computer games for my eldest and a ball pit for my little one, it was a hit with both. Offering peace, tranquility and the right amount fun, this is a resort that nails it on every level. Thanks to Aleney at Boyeatsworld.com.au for the tips and hotel recommendation. 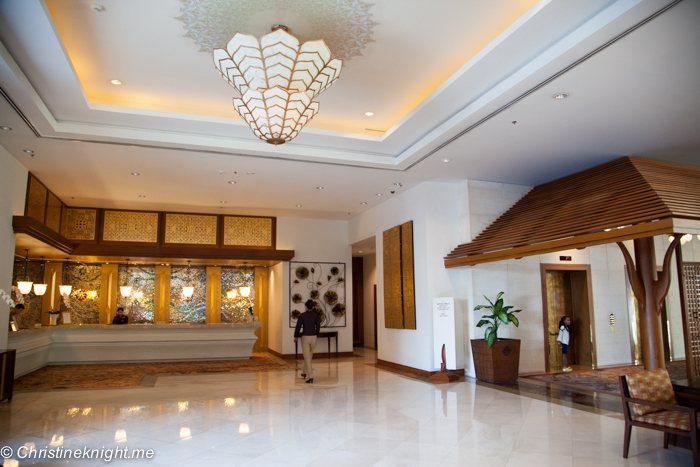 Get rates for the Pullman Phuket Arcadia here. Please don’t ride elephants, watch an elephant show or have your photo taken with an animal on the street (such as monkeys). These animals are treated cruelly and participating in these activities enables the businesses to continue to run. 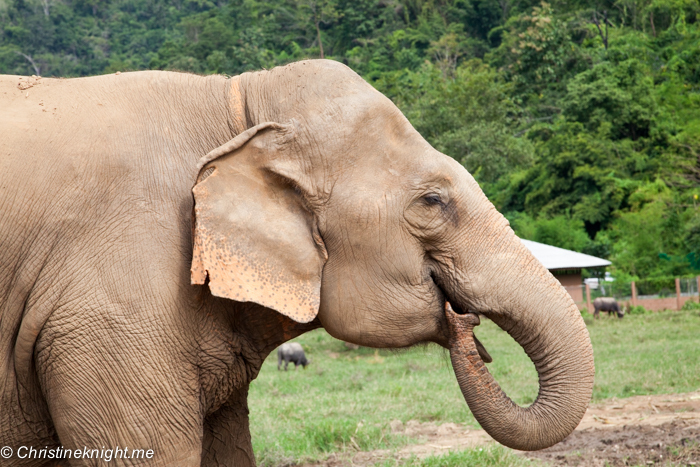 More info on animal cruelty in Thailand here. Take care when eating and drinking water in Thailand. Do not drink water from anywhere other than a sealed bottle in Thailand, or drink anything that comes with ice. Do not eat fresh fruit and salads as they have been washed in tap water. You could get seriously sick if you do. Only eat cooked food and fruit that you can peel yourself. 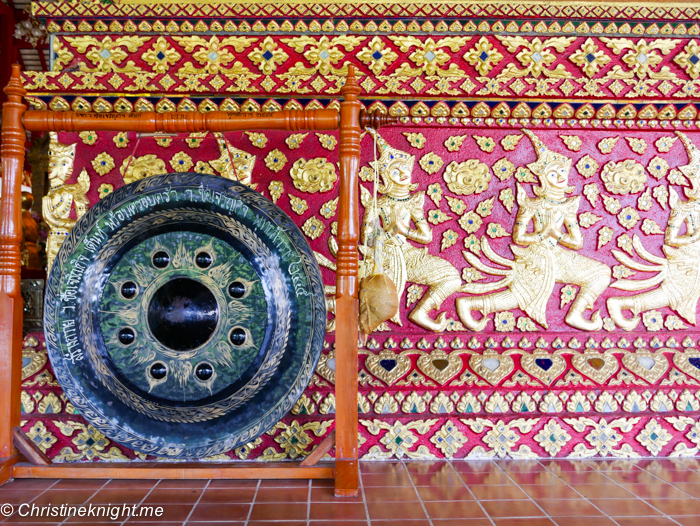 Hire car and driver: We hired a car and driver to take us to Old Phuket Town and Big Buddha. 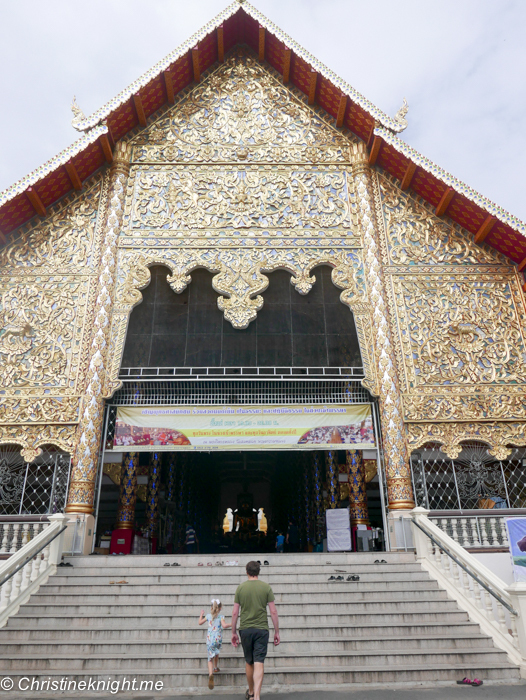 It was quite pricey, at 700THB an hour, with a minimum of three hours plus the fourth hour for free. 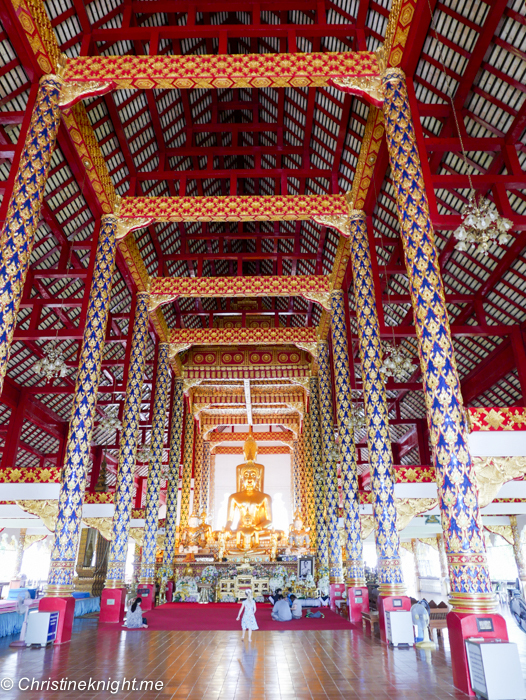 From Old Phuket Town to the Big Buddha and beautiful Wat Suwan Khiri Khet temple, there’s plenty to see and do in Phuket if you get sick of swimming at the beach! 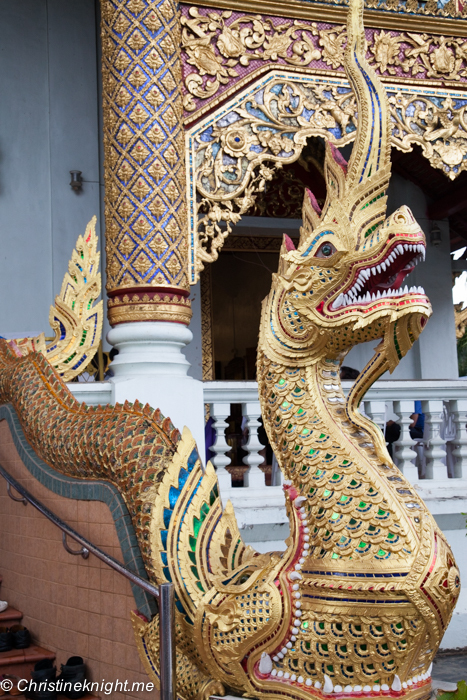 Read more about our favourite attractions and things to do in Phuket here. 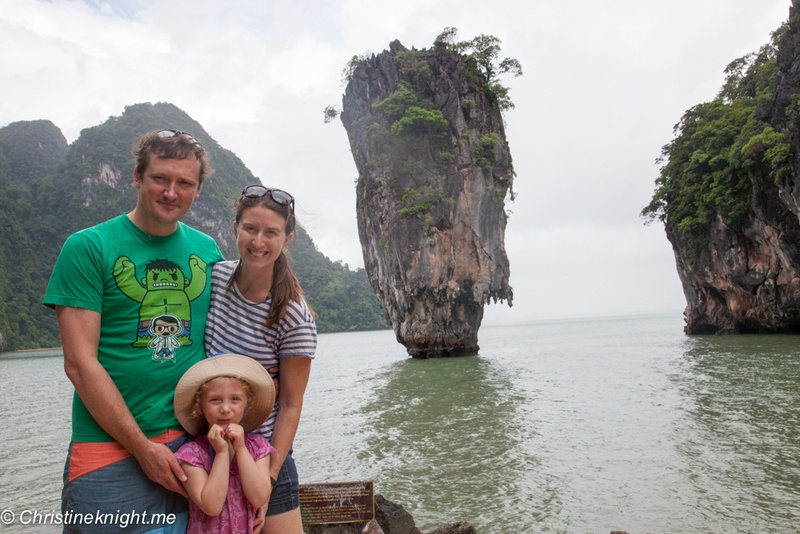 We took a magnificent day trip to Phang Nga Bay, also known as the James Bond Island tour. 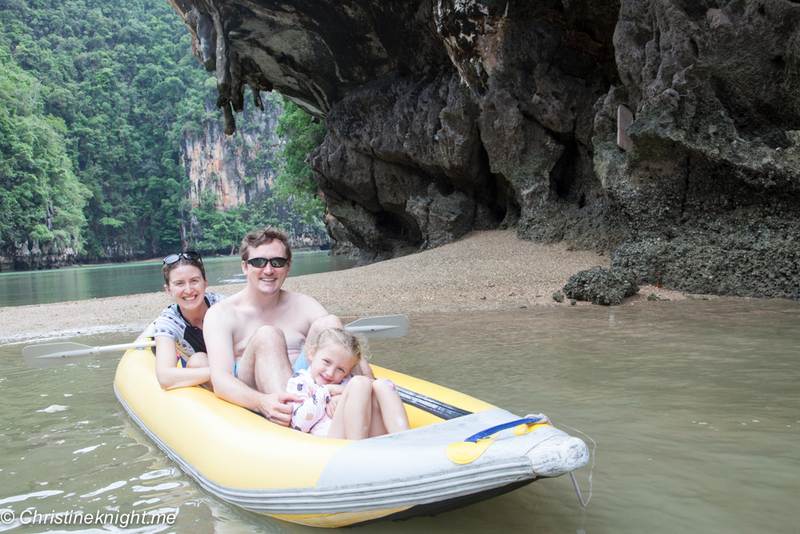 Read more about our Phang Nga Bay tour here. Other popular day trips include Phi Phi Islands with Maya Bay and Monkey Beach, Similan Islands, Coral Islands, Racha Islands, Khao Lak, Koh Yao Yai and Koh Yao Noi. 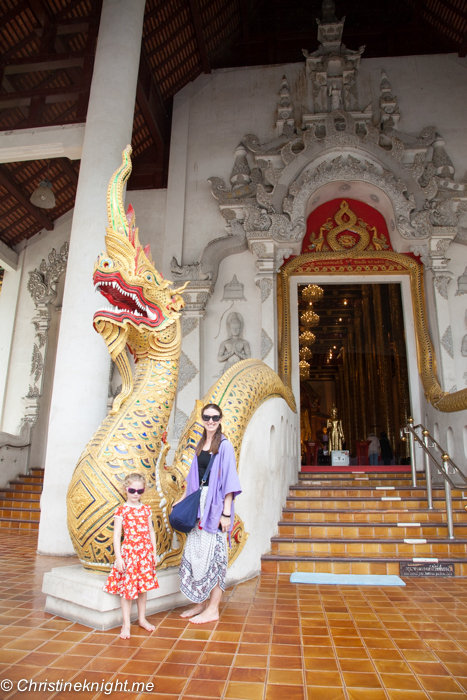 Phuket is an excellent choice for a family holiday. We highly enjoyed our vacation here with our daughter, who was five years old at the time. 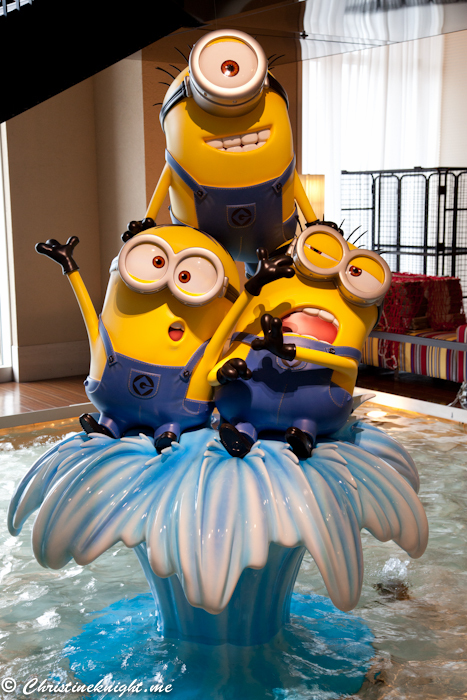 Most hotels are family-friendly, so it’s not hard to find a resort with beautiful pools and catering to families. 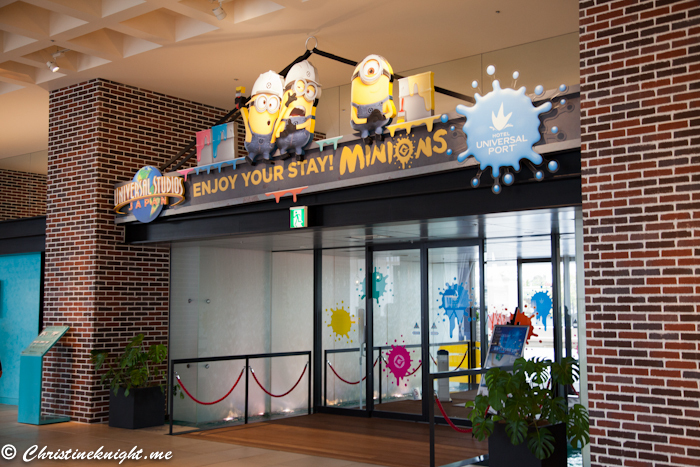 Check out the hotels above as a starting guide. What to look for: pools with slides or shallow ends, kids’ club, kids’ meals, family activities and a safe location away from nightlife. 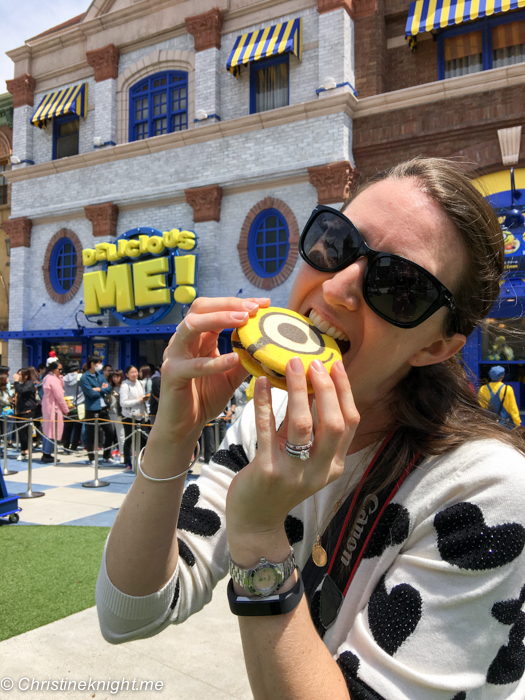 Most upmarket resorts will offer western food on the property, making it easy for families with picky kids to make sure they still eat something if they won’t want to try the local cuisine. Pick up sand toys for a few dollars from cheap stores near the beaches and use them both at the resorts as well as in the sand. We got endless hours of amusement for about $2 AUD. 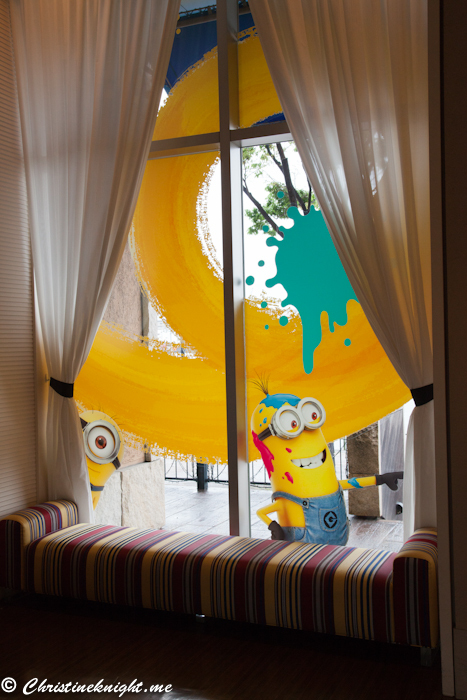 Leave the resort! It can be so easy to just stay inside the property and relax – and never leave the resort. I get it. 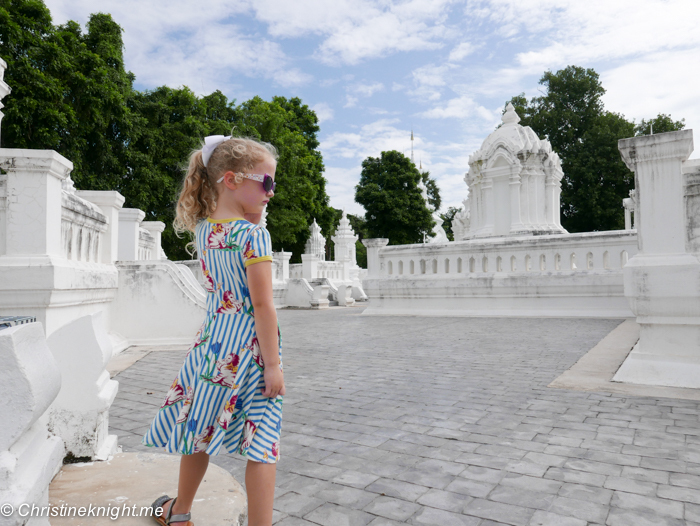 Travelling in a foreign country with kids can be daunting. 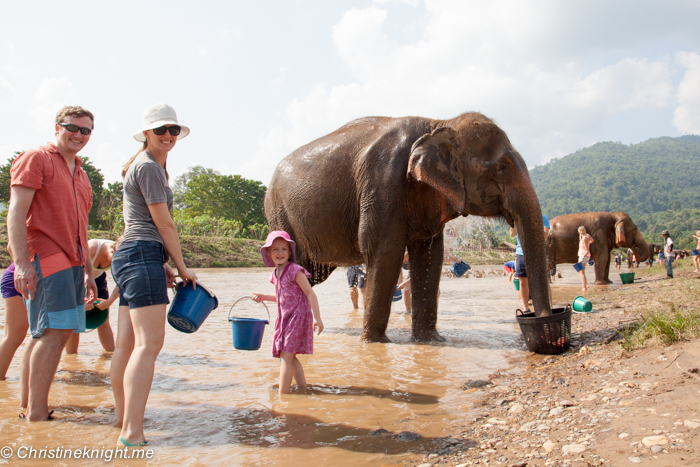 However, kids will love seeing what local life looks like in Thailand. 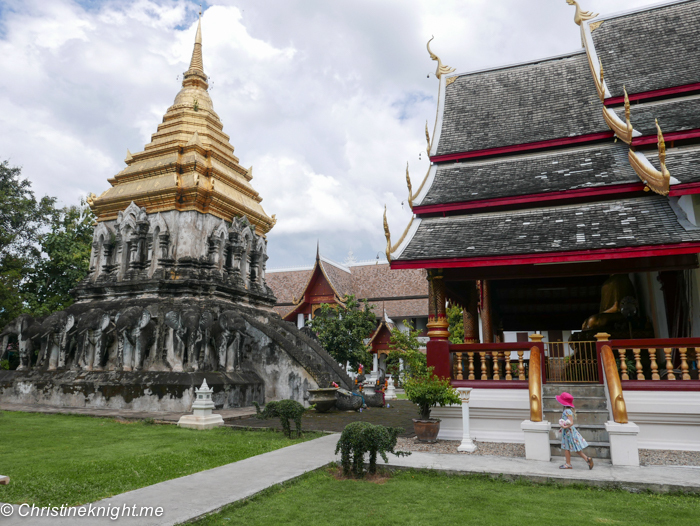 My best memory of our Phuket stay was when we visited Wat Suwan Khiri Khet temple in Karon and my daughter struck up a friendship with the local monks over their pet chickens, despite neither party being able to speak the other’s language. 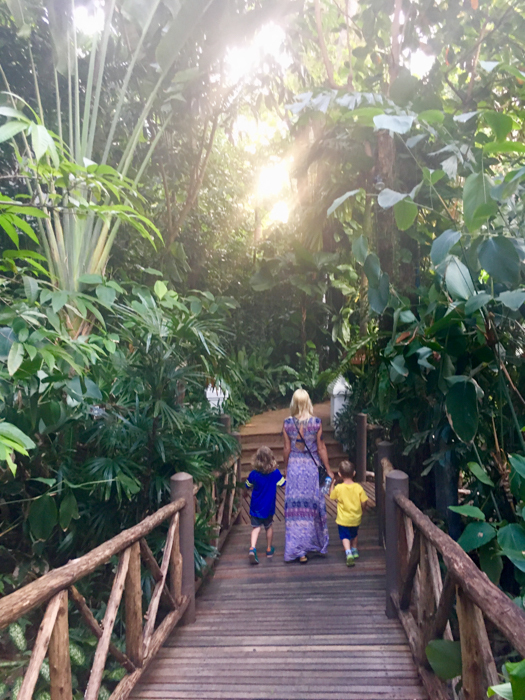 It’s moments like this that really make travel memories special for us. 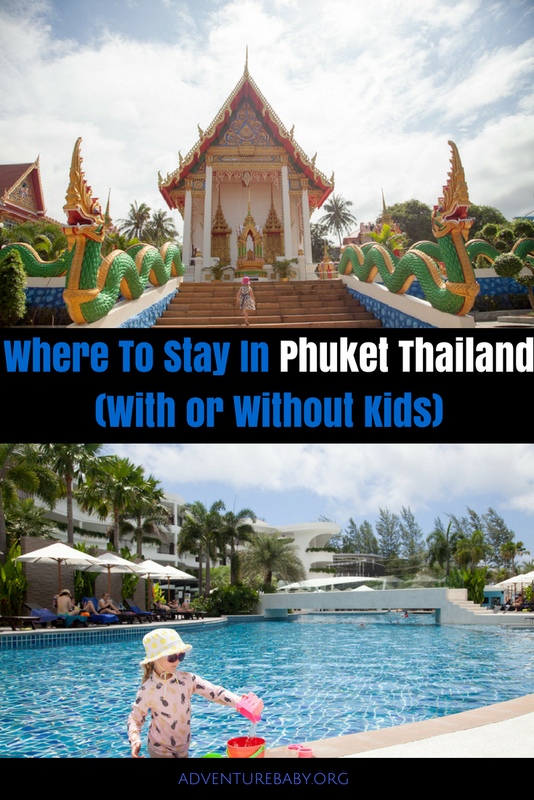 Read more about things to do in Phuket with kids here. Disclaimer: this post contains affiliate links. 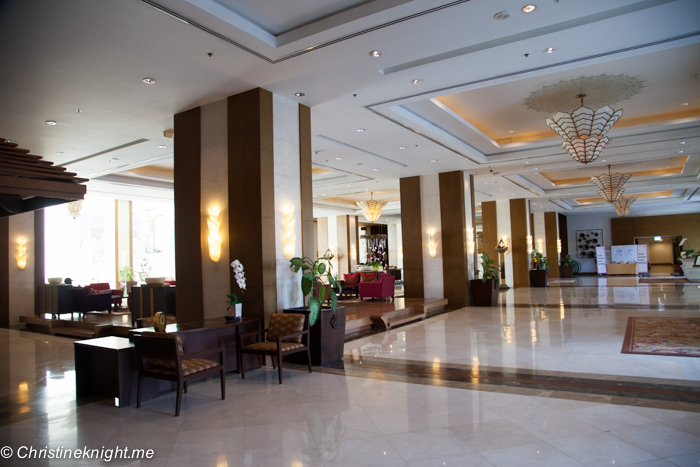 If you book a hotel through some of these links, I will receive a small referral commission at no extra cost to you. Thank you for supporting Adventure, baby! 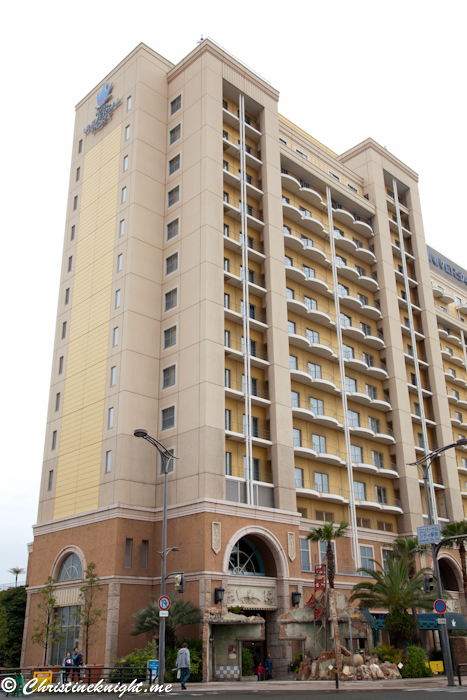 The Hotel Universal Port is the perfect place to stay for a visit to Universal Studios. Located a short stroll from the entrance to the park, it’s an easy place to stay for quick access and a fast homecoming – perfect for when you’ve had a long day at the park and just want to get back to your room and rest. 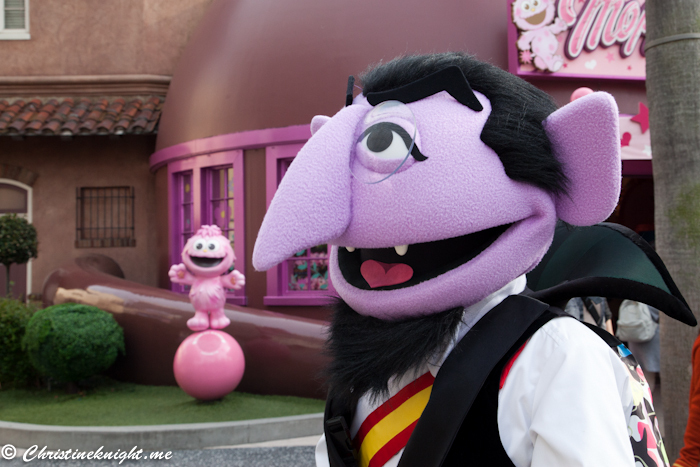 Theming is something Universal Studios does particularly well, and the Hotel Universal Port is no exception. 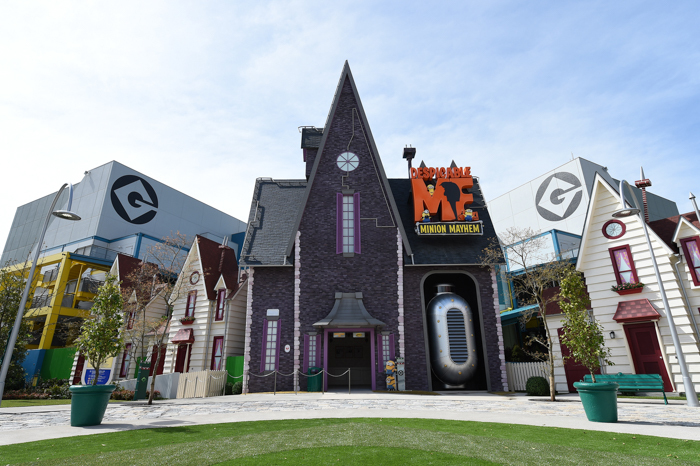 The outside has fantastic Jurassic Park theming, while the inside has a T-Rex-themed cafe plus the new Minions all over the main foyer. 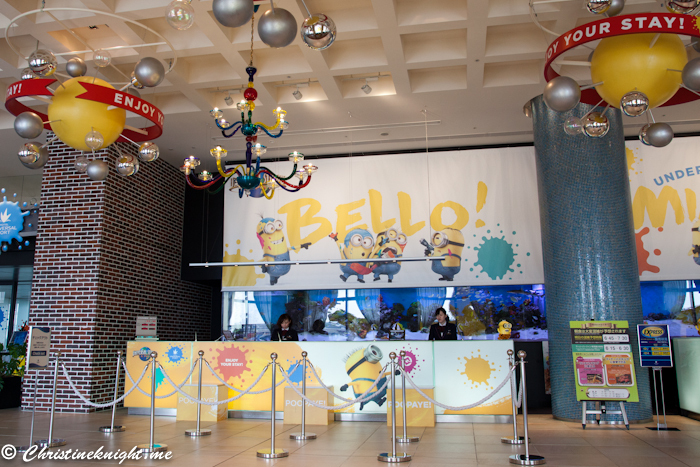 Minions statues, plushes and images are displayed all over the lobby, as well as playing the movies on a TV screen near a small soft play area for small children. 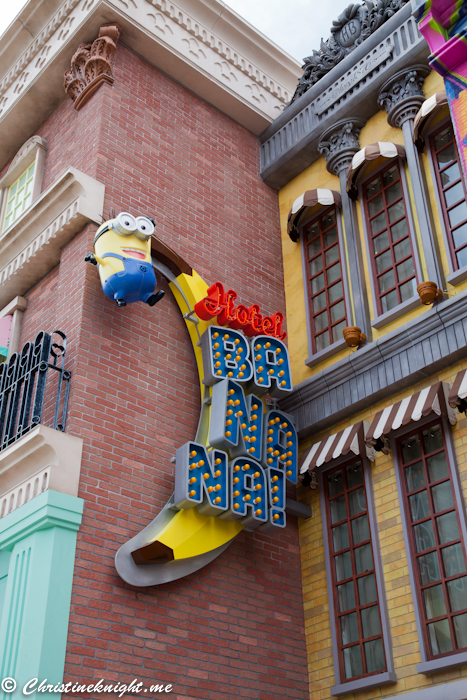 If you are particularly mad about Minions you can stay in a Minions-themed room as well. 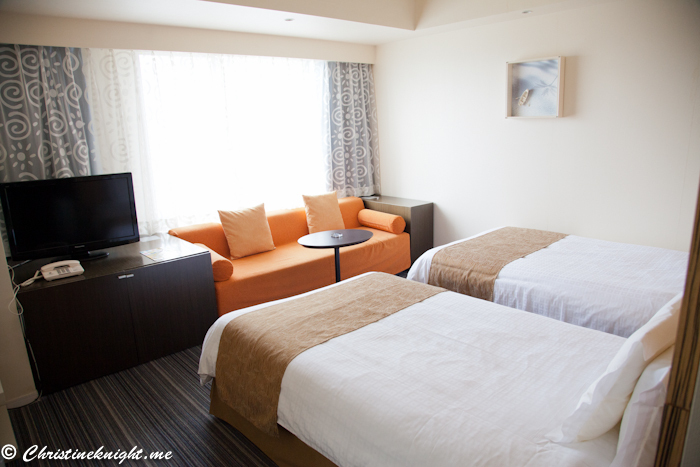 The regular rooms, which is where I stayed, are standard hotel rooms. 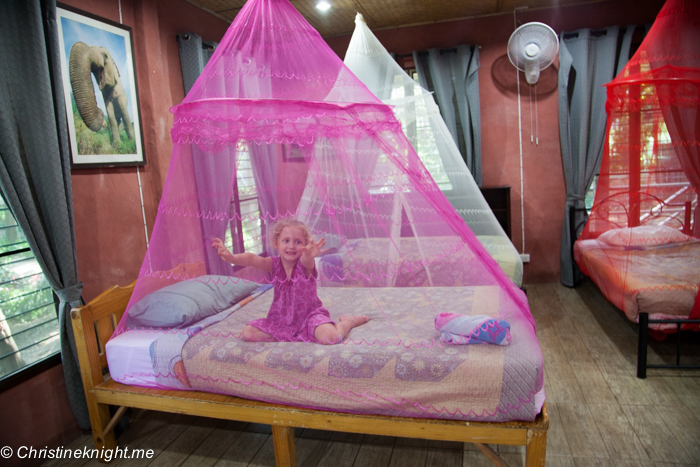 Mine had two twin beds, but there are larger rooms available that suit families in size. 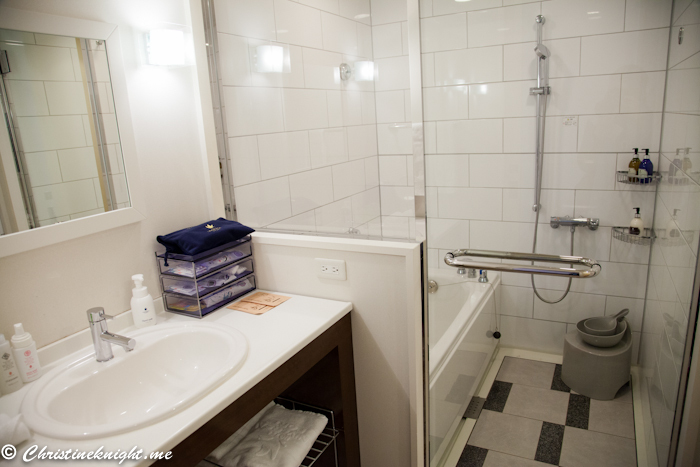 Each room has a standard bathroom, free Wifi, a TV, fridge and tea making facilities. I found the room to be comfortable and contain everything I needed for a short stay. I also enjoyed the excellent view of the park out of the window! It put me right into the mood for visiting the park. Breakfast was included in the package and was a highlight each morning. The breakfast buffet served up around 90 dishes, all of which were traditionally Japanese as the hotel caters mostly to local tourists. A map available at the entrance explains the layout in both Japanese and English so it’s easy to understand where everything is, and each dish is labelled both with a name and ingredients in both languages too. A word of warning – the labels are not 100% accurate so approach items like dumplings with caution if you have dietary restrictions. 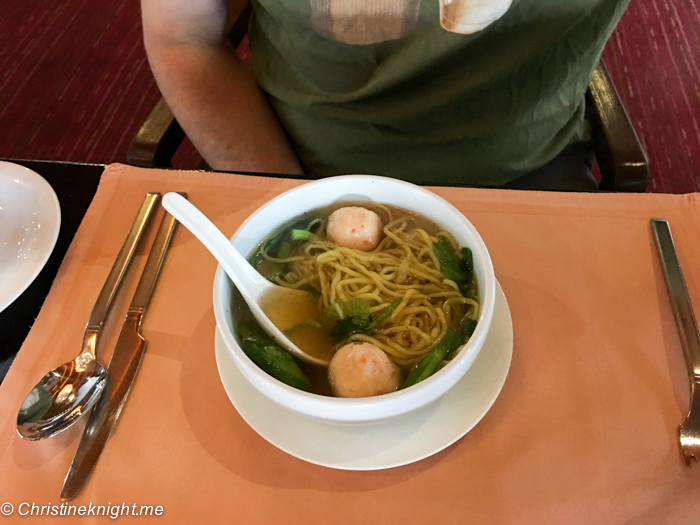 The hotel has a casual cafe in the lobby area that serves traditional Japanese food such as udon noodles and so forth, which is great to grab dinner from after a long day at the park. 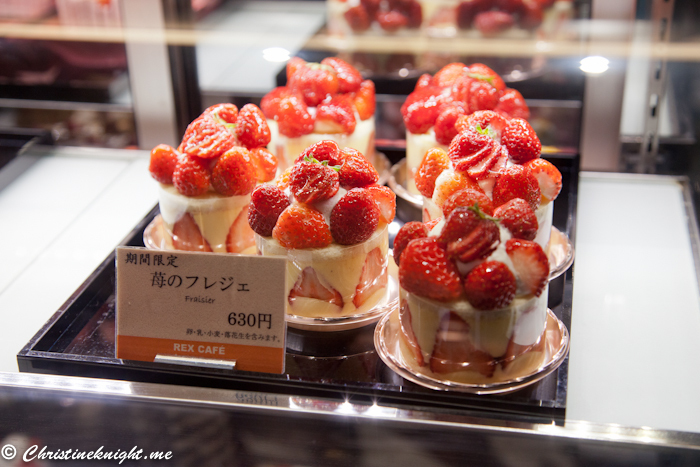 They also serve amazing looking cakes if you’ve got a sweet tooth like me. 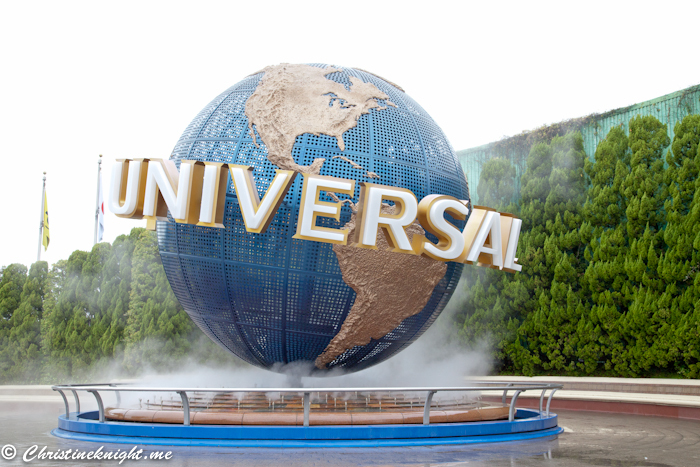 I stayed at the hotel as a guest of Universal Studios Japan. All opinions are my own. 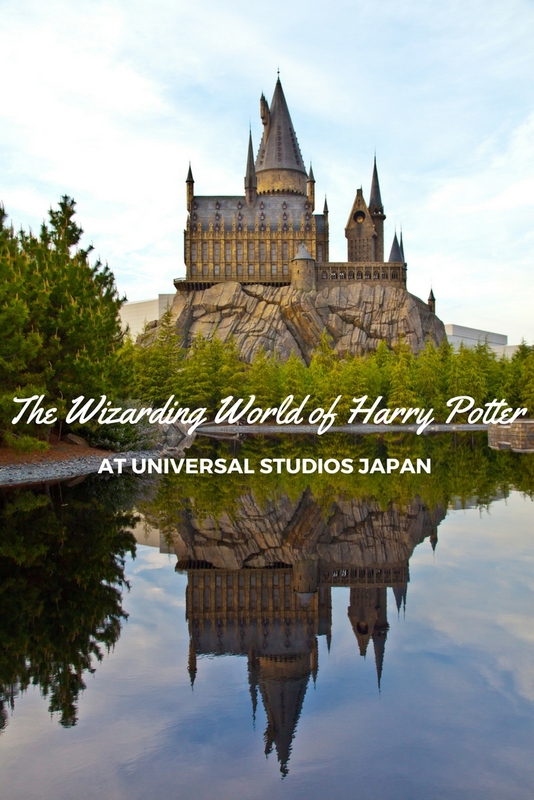 The magical world of Harry Potter at Universal Studios Japan is a must-visit for fans of the books and movies. 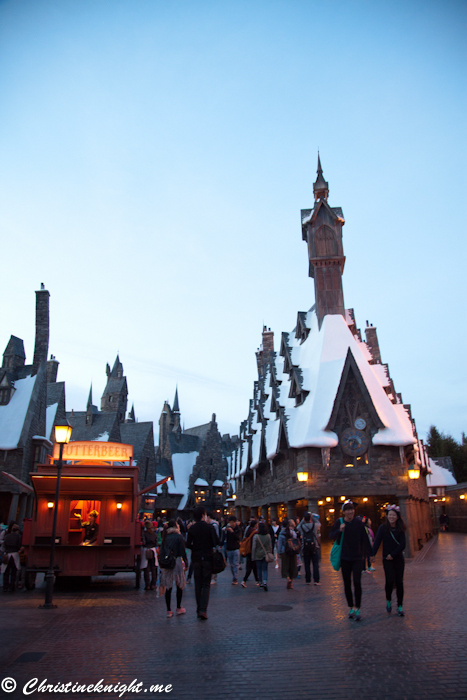 Inside the Wizarding World of Harry Potter, the village of Hogsmeade and Hogwarts have been faithfully recreated for fans to immerse themselves inside the story. 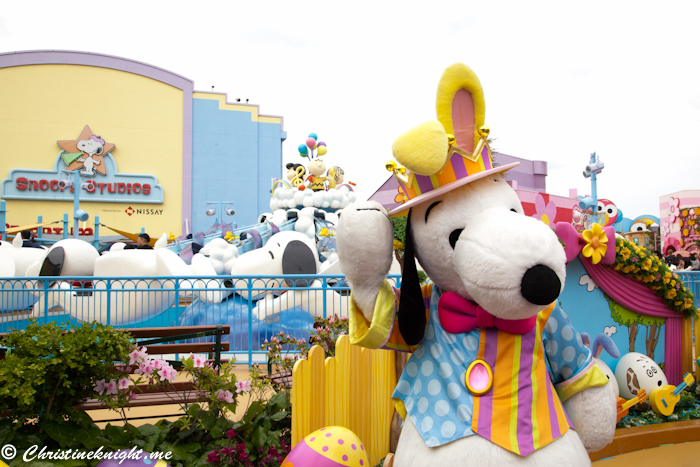 From the entrance to the world, it’s clear that this is a distinctly seperate part of the park from the other attractions. 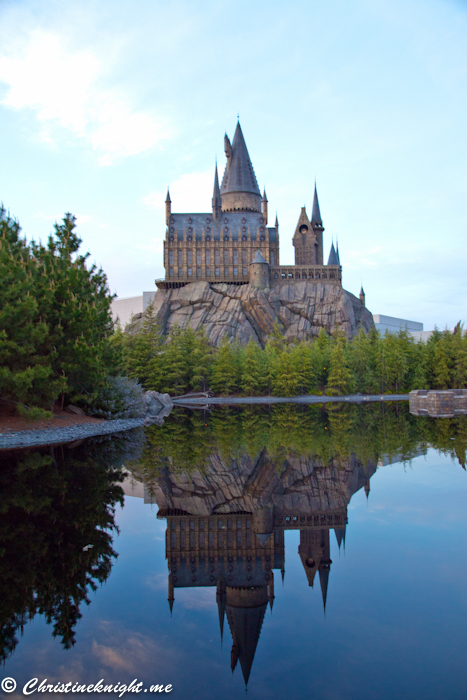 Harry Potter theme music plays as you walk up the path, lined by trees and featuring the famous Flying Ford Anglia from Harry Potter and the Chamber of Secrets. 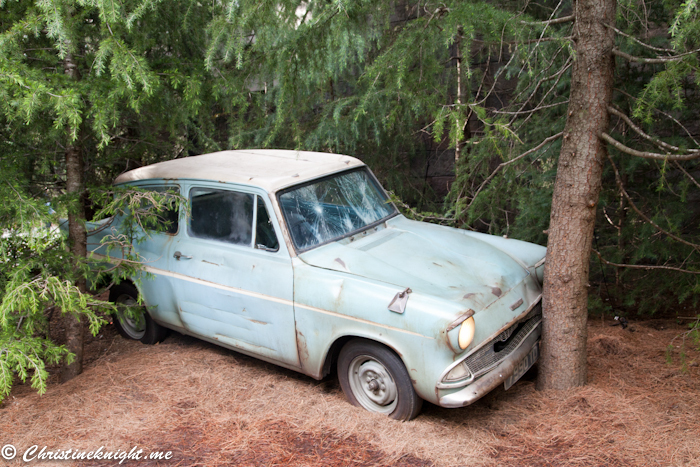 It flashes its lights and honks as it lies crashed into a tree – a sign that you’re about to embark on a magical adventure through the world of Harry Potter. 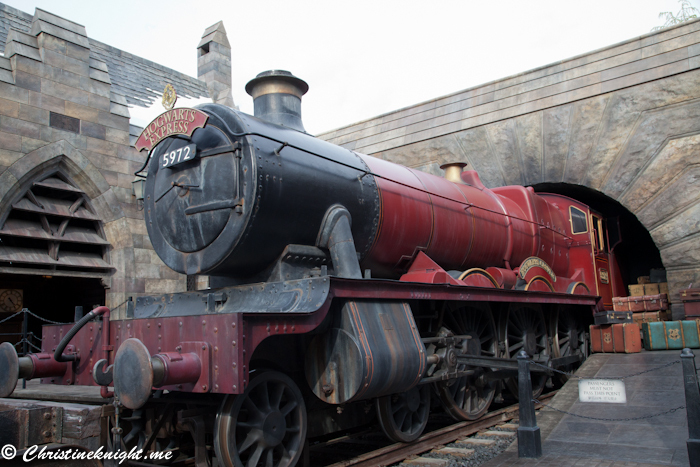 Inside the entrance to Hogsmeade lies the Hogwarts Express steam train. 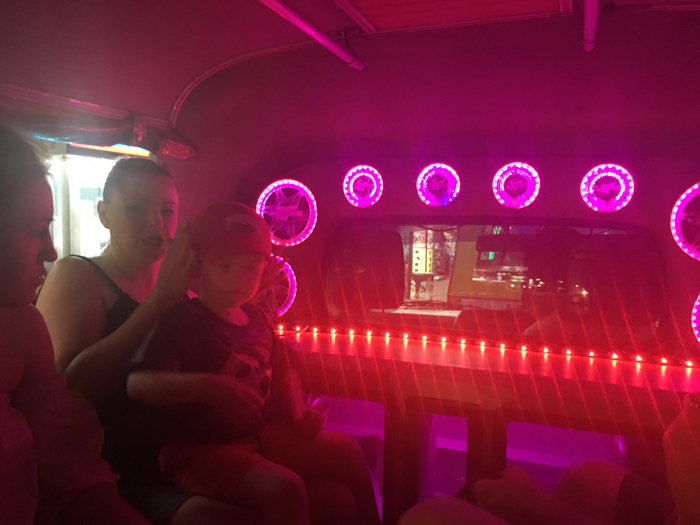 You can take a photo next to the train and with its conductor, or if you walk around the corner you can have your photo taken inside a replica of one of the train’s carriages. 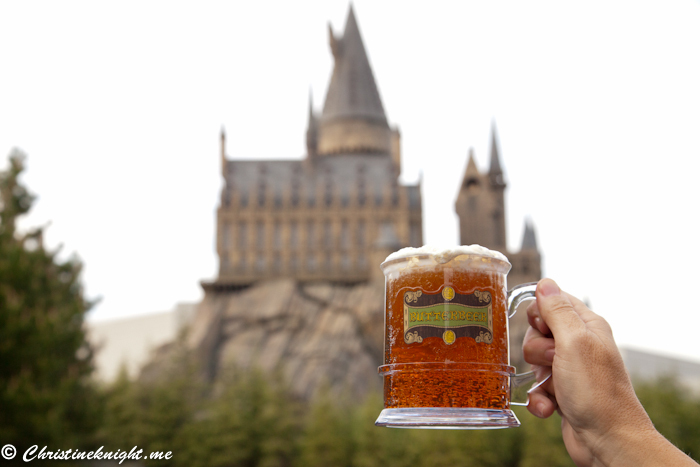 Nearby, Butterbeer, in various varieties, is available for sale, as are plenty of other Harry Potter-themed food, clothing, and, of course, wands. 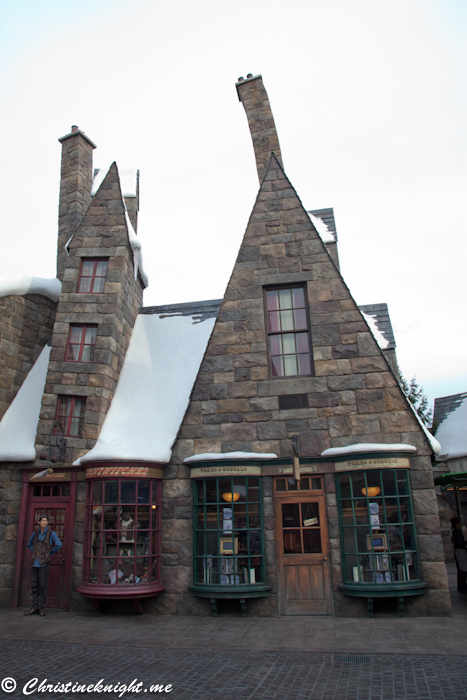 Hogsmeade village is lined with shops each selling various items. 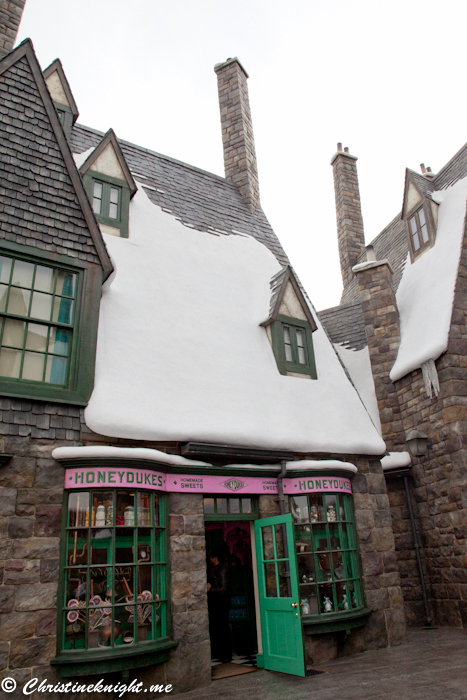 Visit Honeydukes sweetshop to buy your own Bertie Bott’s Every-Flavour Beans™ and Chocolate Frogs™, and Ollivanders™ for your very own wand. 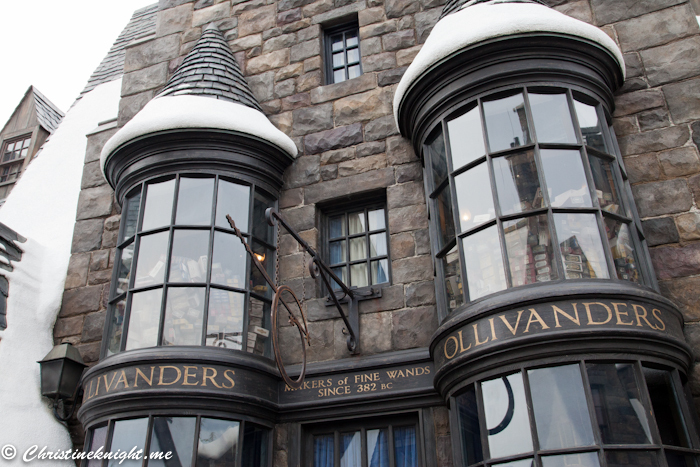 A small alleyway next to Ollivanders is where you can line up to see a wand choosing a wizard. 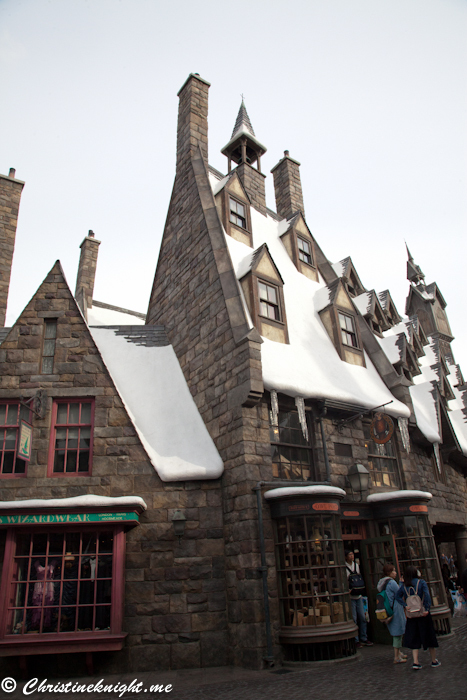 The main restaurant in this part of the park is Three Broomsticks™, a tavern-themed eatery where you can buy Butterbeer in a collectable take-home mug and traditional British dishes such as fish and chips and shepherd’s pie. 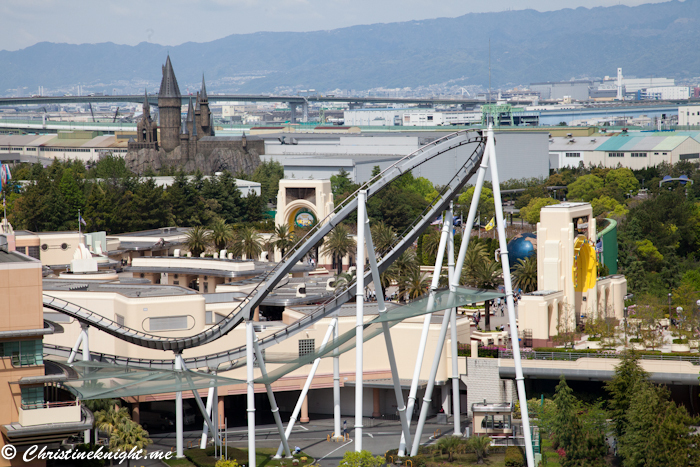 Outside, the dining area has the best view of Hogwarts castle in the park, overlooking the Black Lake – a feature that is unique to Universal Studios Japan. 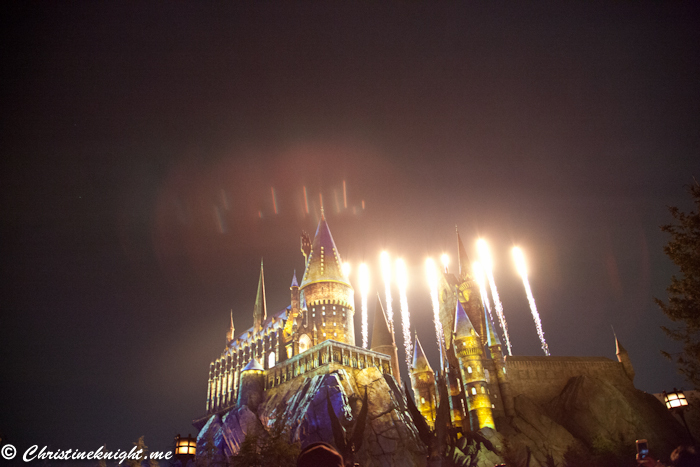 The dining area is a great place to watch the evening light show from as there are minimal crowds. 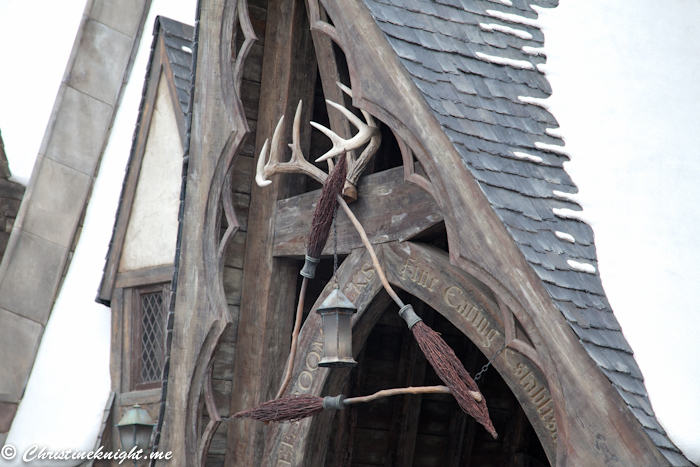 A brand new feature of the park when I visited was “Wand Magic”. 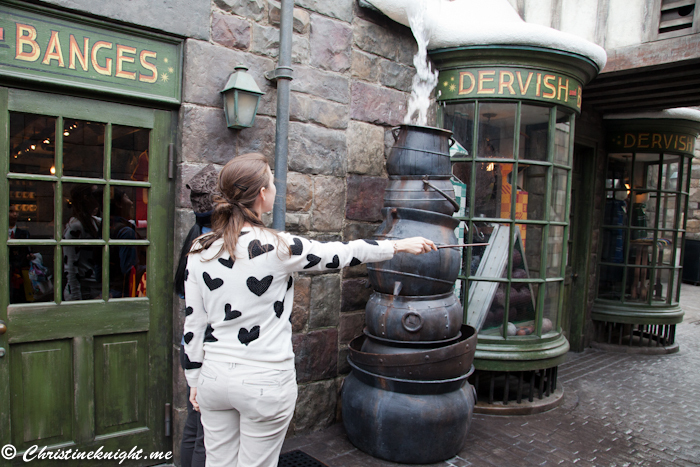 After buying a special magic wand from Ollivanders, visitors are able to cast their own spells in the village. 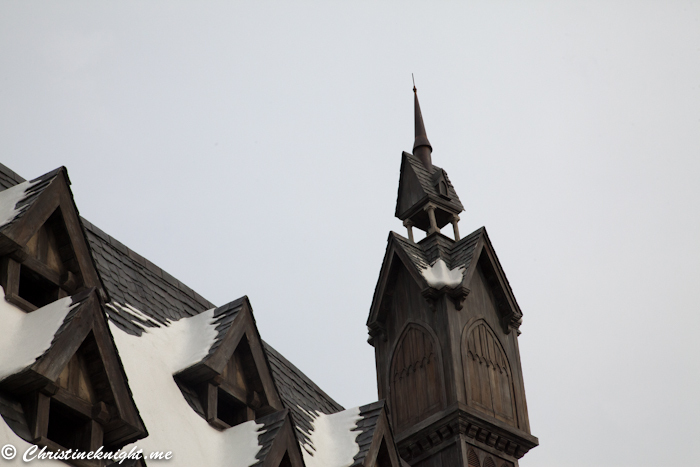 At various points around Hogsmeade such as a window, stone wall and in a back alley, muggles wishing to be magicians can chant special spells, wave their wands and, if they’re performed the words and actions correctly, watch magic happen before their eyes. 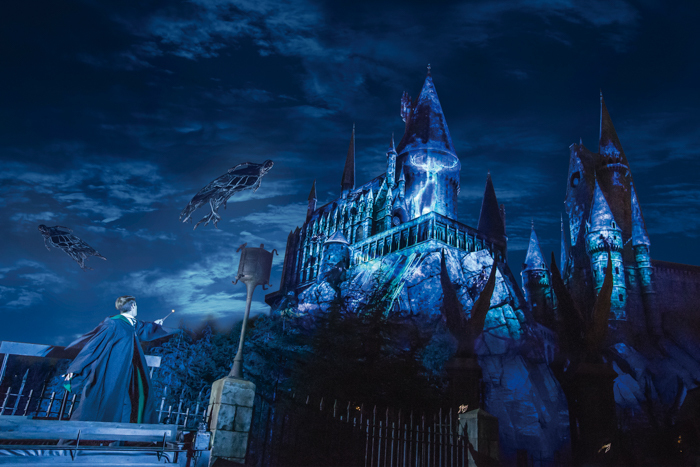 There are two rides in the Wizarding World of Harry Potter: Flight of the Hippogriff™, which is a small, family-friendly rollercoaster, and Harry Potter and the Forbidden Journey™ in 4K3D, which is the main attraction. 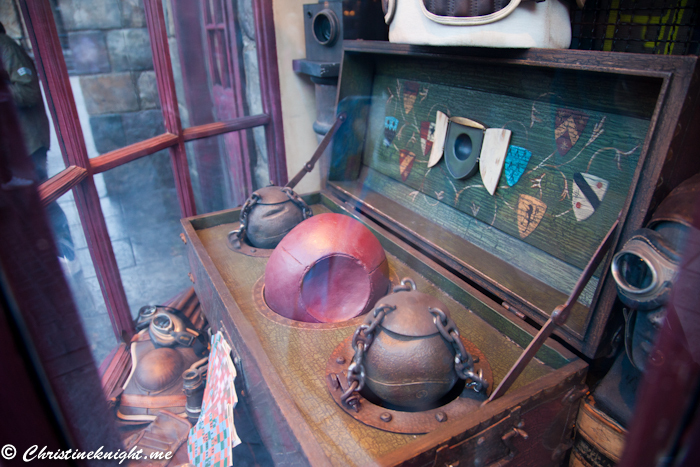 To enter this ride, one must walk through Hogwarts™ School of Witchcraft and Wizardry, which as been recreated with extraordinary attention to detail. 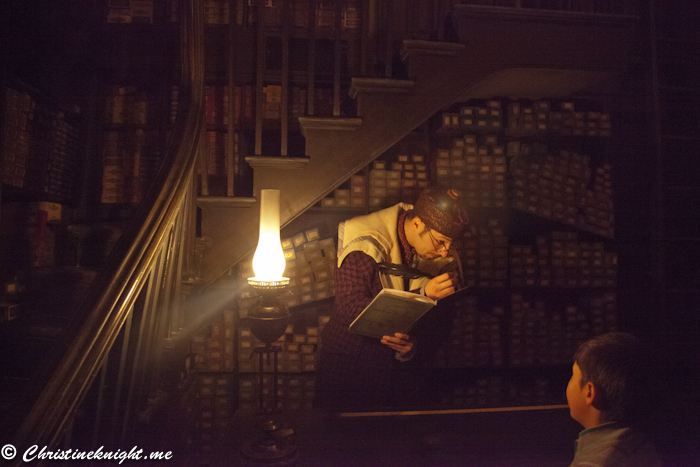 Pass through Dumbledore’s office, the Gryffindor™ common room and the Defence Against the Dark Arts classroom before embarking on a thrilling journey on Harry Potter and the Forbidden Journey™. 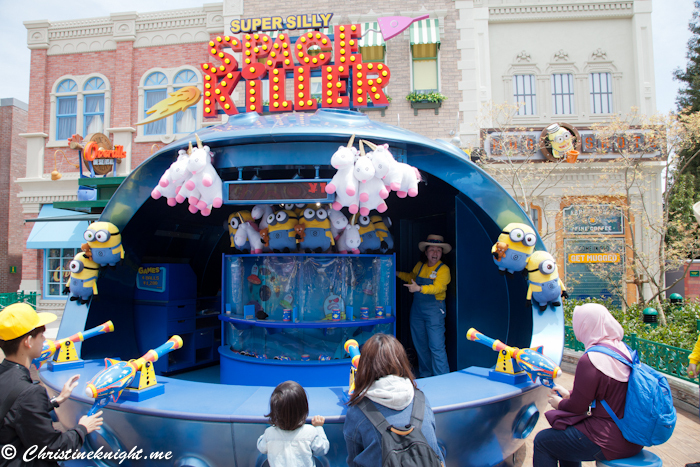 The ride is incredible, and completely immerses riders in a magical journey. 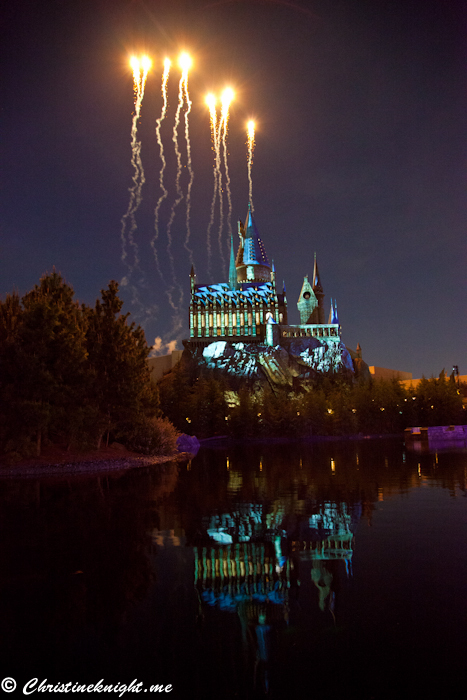 A new evening light show is also on offer for guests. The show plays twice and I would strongly recommend arriving early to mind a place at the front where you can see the action. 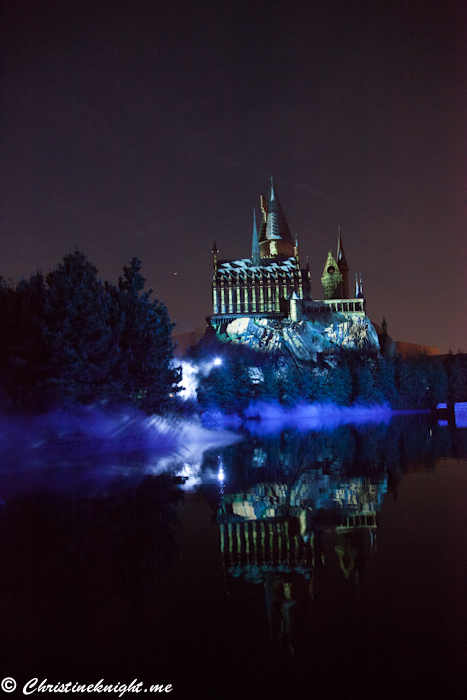 The show takes place above eye line however, with projections on the castle, so even if you’re not right at the front you’ll be able to see the magical experience very well. 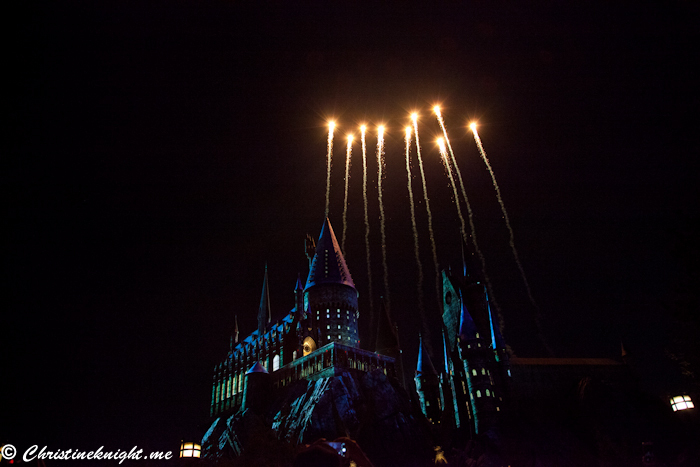 The light show is a perfect way to end a day at Universal Studios Japan – it’s exciting, awe inspiring and extravagant, and leaves guests on a high as they make their way to the exit. 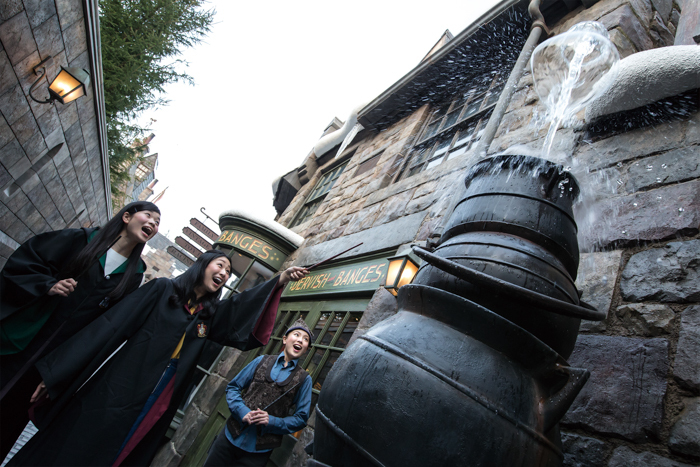 Note: On weekends and busy days, guests must collect a free, timed entry ticket for entrance into The Wizarding World of Harry Potter™ at a designated time. 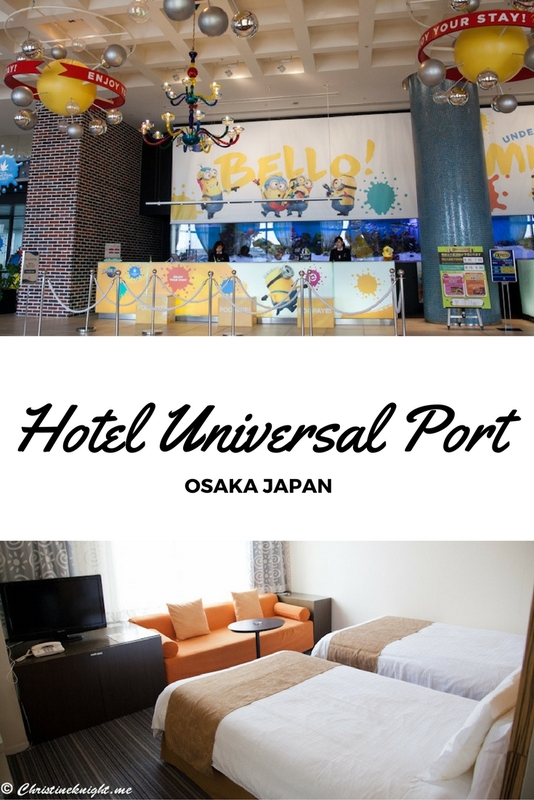 I stayed at the offical Universal Studios Hotel, Hotel Universal Port, which is just a short walk from the park and about 10-15 min train ride from Osaka CBD. 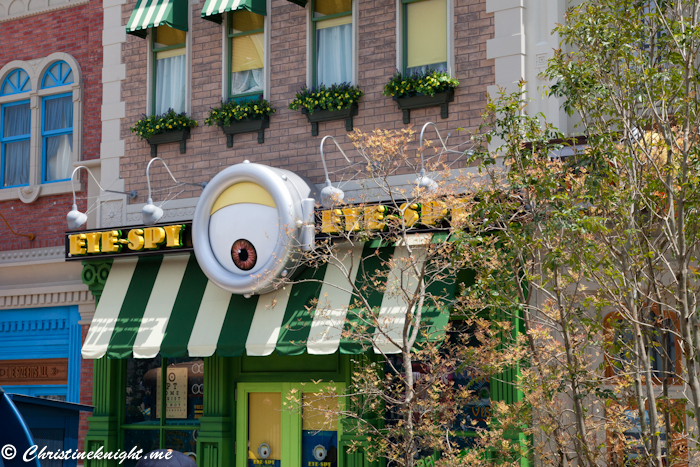 There are plenty of food options outside the park as well as restaurants inside the hotels if you stay onsite. 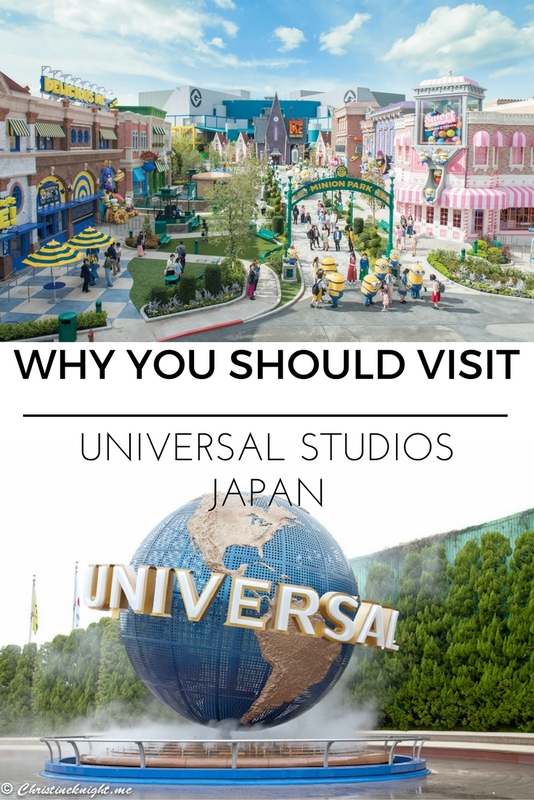 You could easily spend two days at Universal Studios Japan and if you do, it’s a good idea to stay at a nearby hotel to make the commute easier. 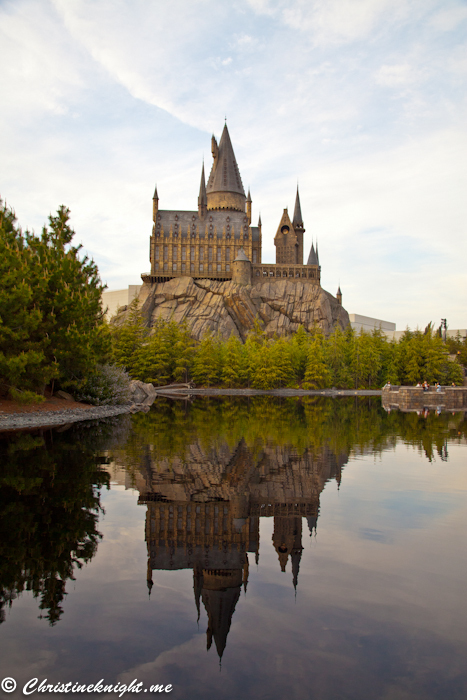 Thinking of heading to the Wizarding World of Harry Potter in Orlando? 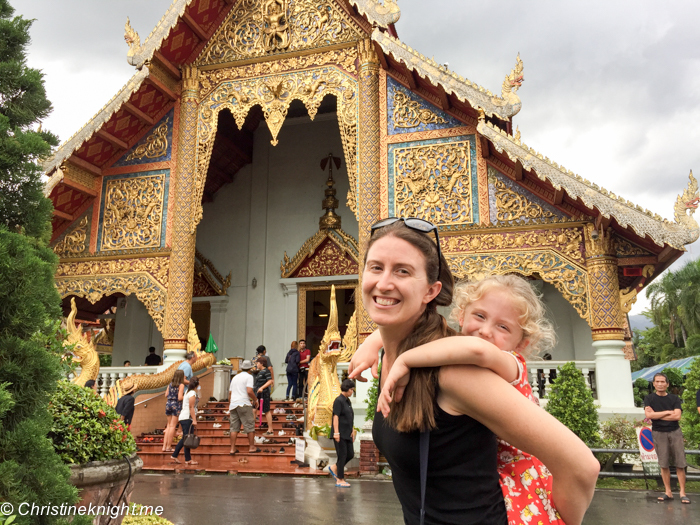 Get tips on saving money, time and hassle here via the Barefoot Nomad, and here for an excellent overview of visiting with kids via the Kid Bucket List. 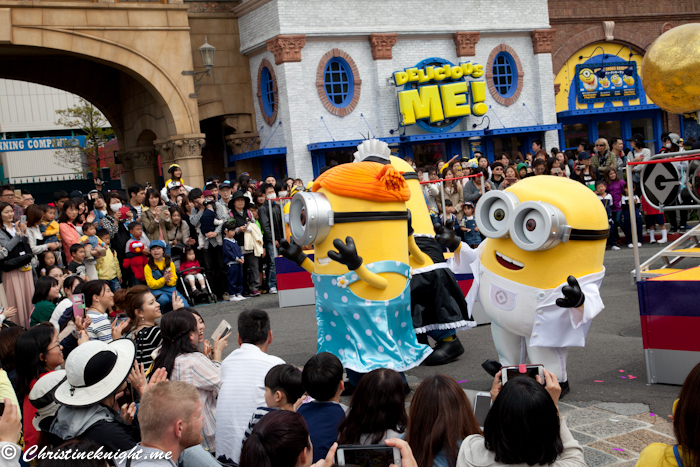 The mischief-loving Minions have a new home at Universal Studios Japan. 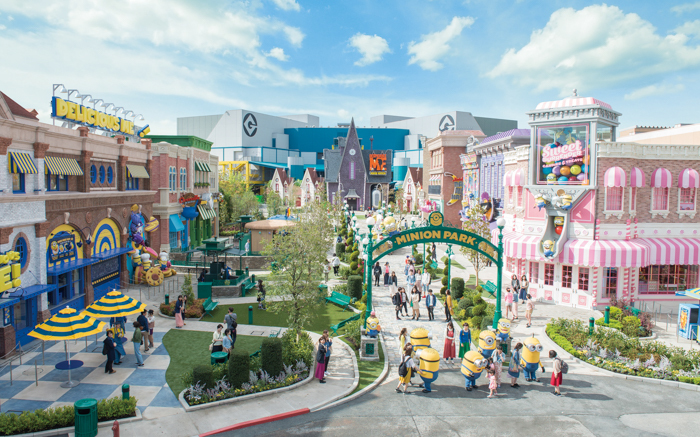 “Minion Park” has recently opened inside Universal Studios, and is proudly the largest Minions-themed attraction in the world. 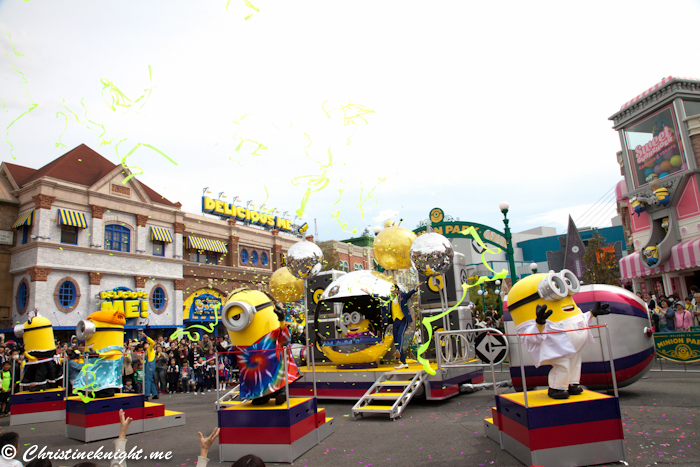 Inside the plaza, the mayhem of Minions reigns supreme. 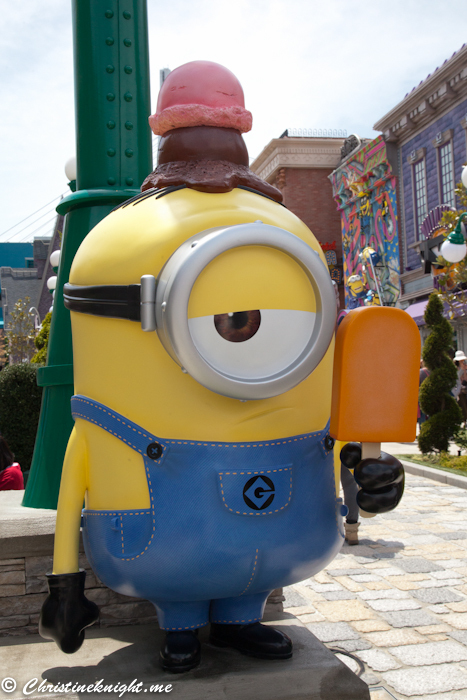 Try a Minion-themed snack, pose for a photo, watch a Minions show and jump on the brand new Despicable Me Minion Mayhem ride. 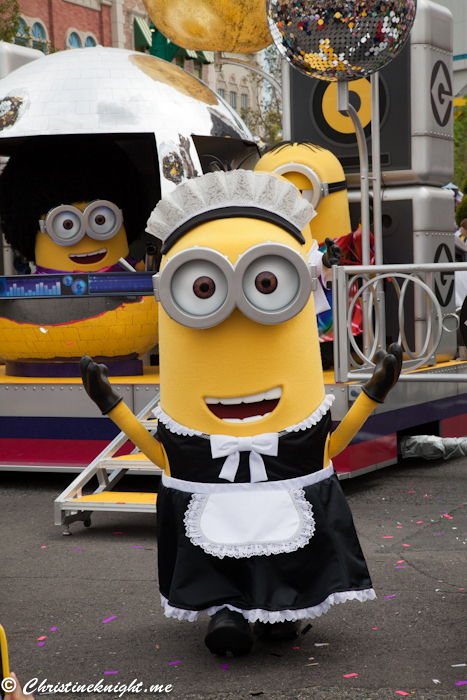 The plaza is so full of Minions that it’s difficult to know what to look at first. 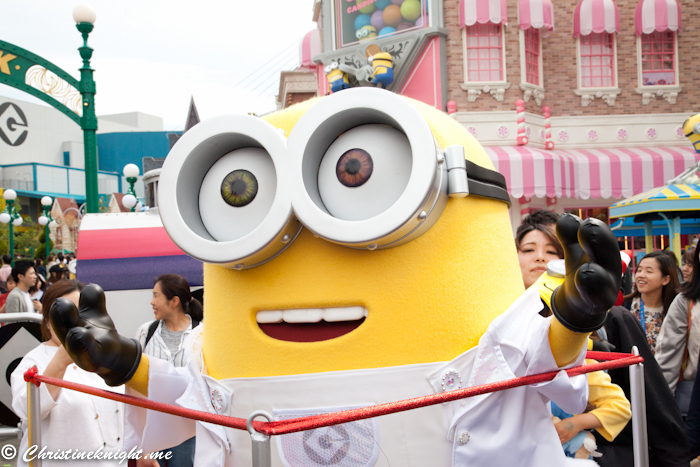 Do you pose for a photo with a Minion? Or do you try a snack? 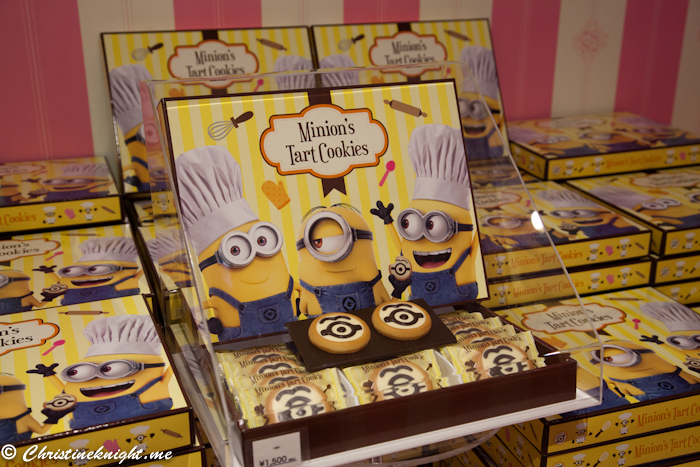 I absolutely loved these Minion-inspired cookies from the Delicious Me store. 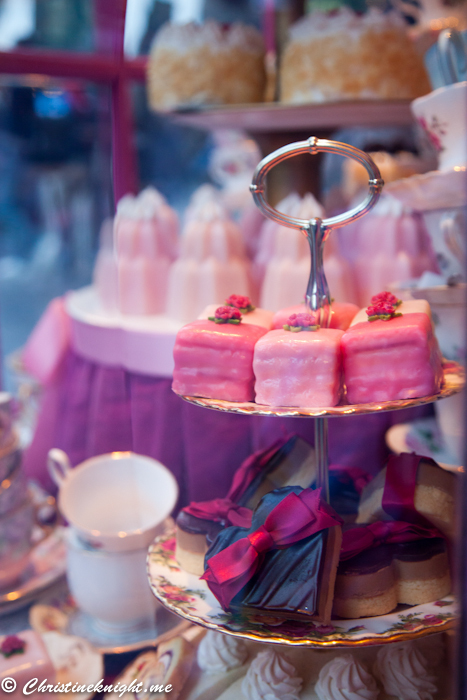 They have a biscuit base and a choice of fillings. I selected the cream with fruit and the cookie tasted like a delicious fruit tart. 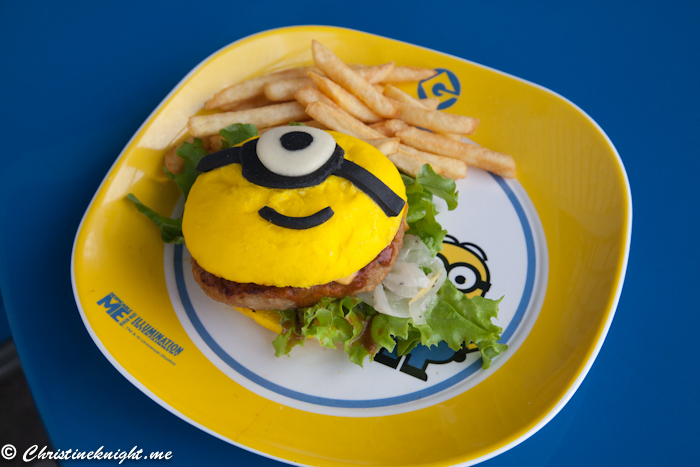 Other Minion-themed snacks include a fluffy pork bun, banana and caramel-flavoured popcorn in the cutest collectable carrier, and Minions-themed hamburger at The Happiness Cafe. 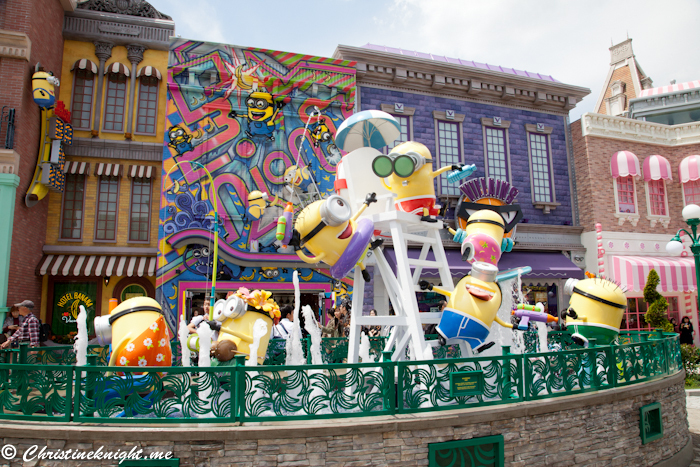 The Despicable Me Minion Mayhem ride is the centerpiece of the plaza. 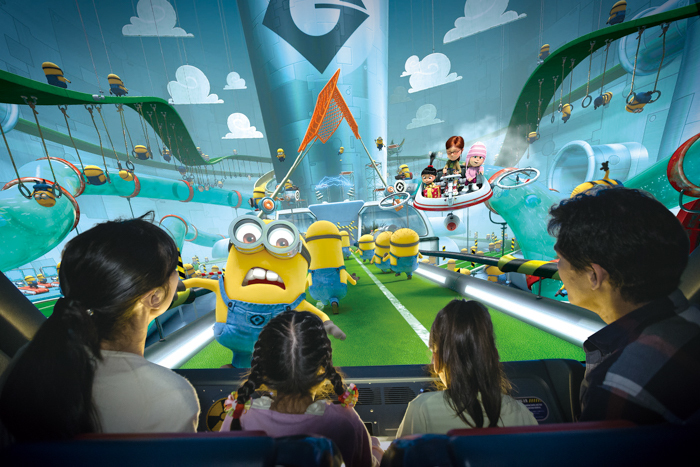 It’s an incredible ride featuring hyper-realistic projections that takes you whirling through the chaotic world of Minions. 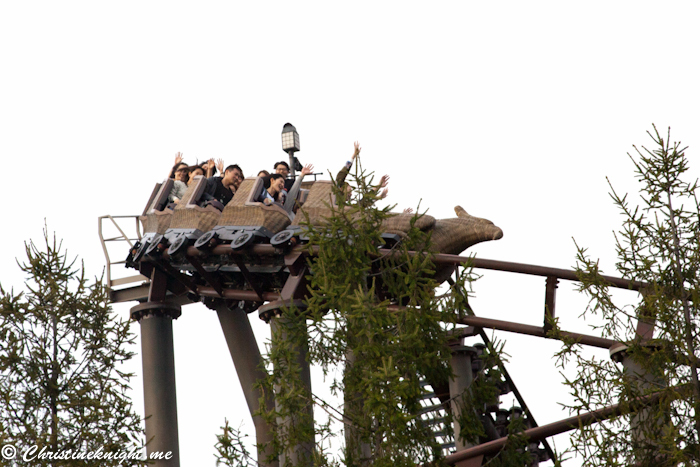 It’s a heart-stopping, thrilling ride that is fun, fantastical and you’ll absolutely want to jump straight back on and ride it all over again. 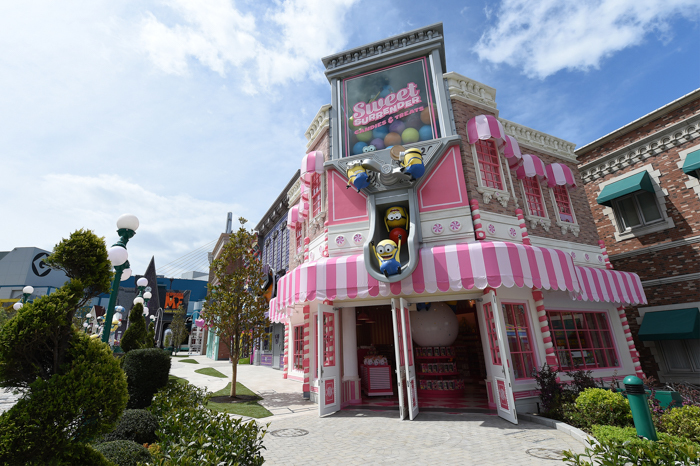 Dotted around the plaza are Minion-themed shops and statues that are incredibly fun to shop for Minions goodies and get a great selfie with. 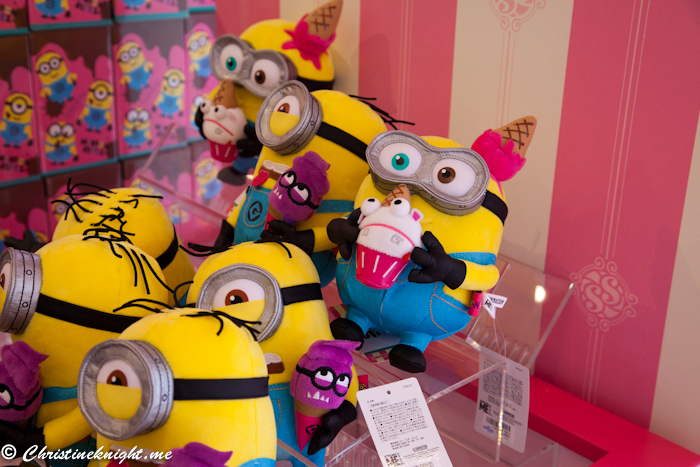 Stop by Sweet Surrender for unique Minions plushies, food, clothing and toys. 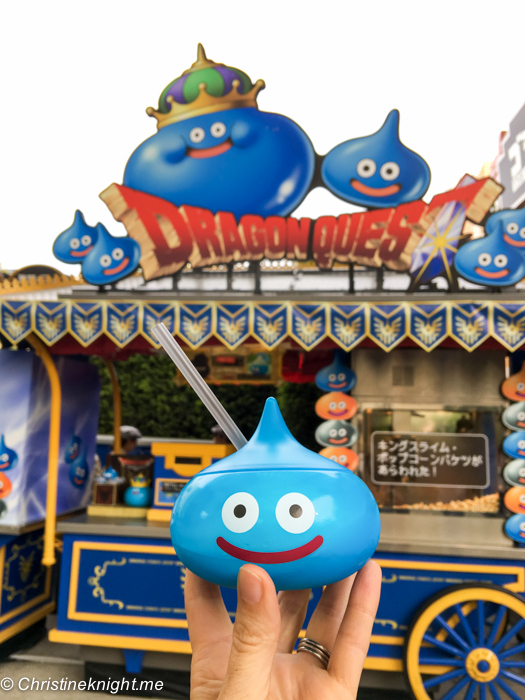 They’re incredibly cute and make for great souvenirs to take home. 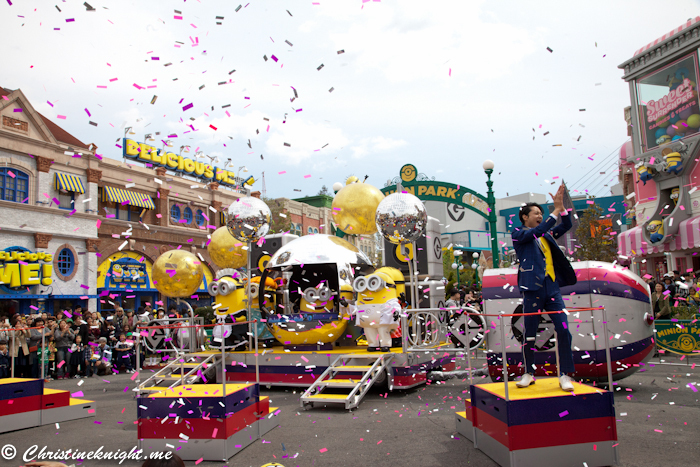 A Minions street show completes the new attraction. 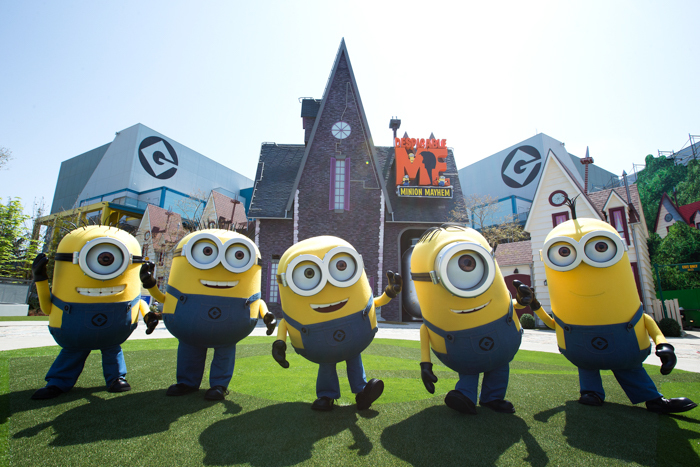 The show is performed multiple times a day and is filled with chaos, fun and mayhem, just what you would expect from the Minions! 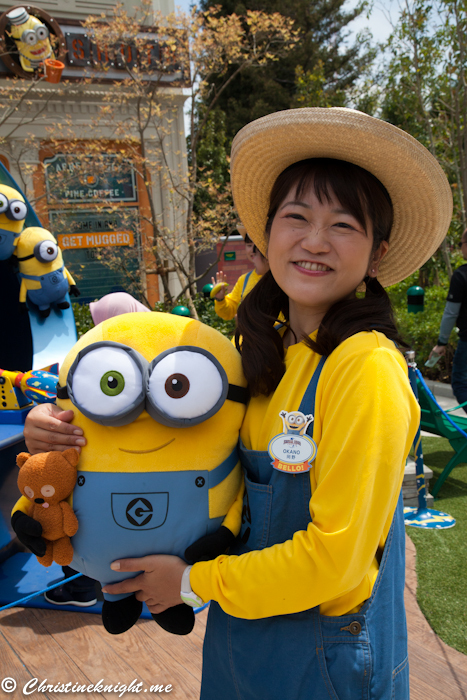 After the show you can get a photo with the Minions if you feel like braving the crowds. 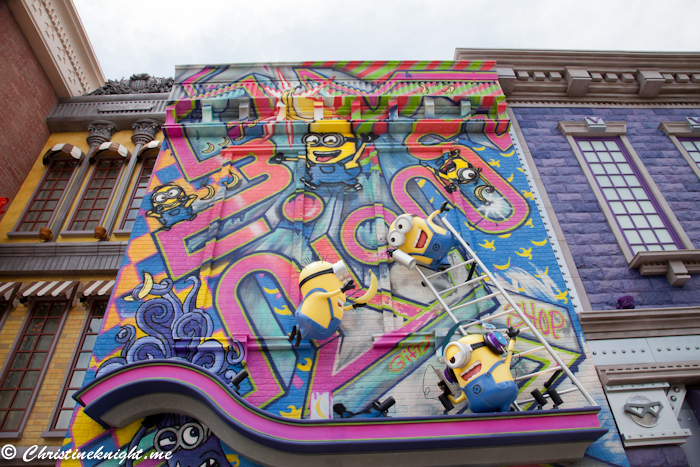 I would advise seeing if you can find out what times the Minions appear in the plaza for photo opportunities throughout the day instead of lining up after a show. Be early! 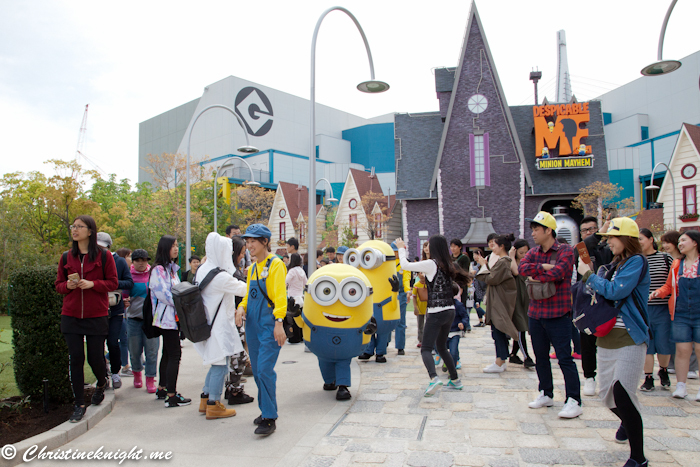 The Minions area is incredibly popular and was busier when we visited than the Harry Potter section of the park. 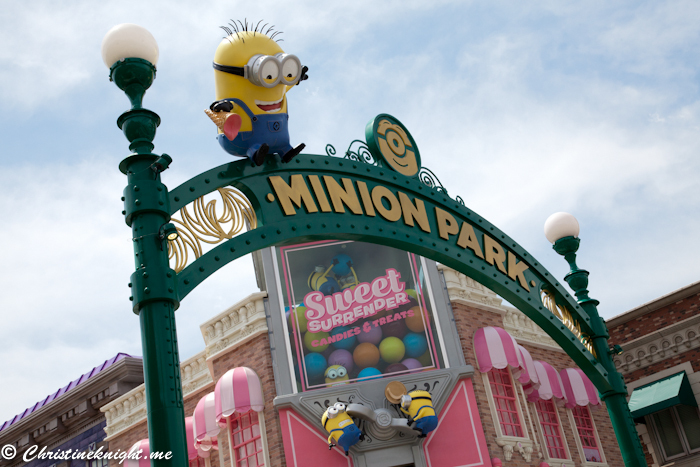 I would recommend heading there as soon as the park gates open. Get into the spirit! 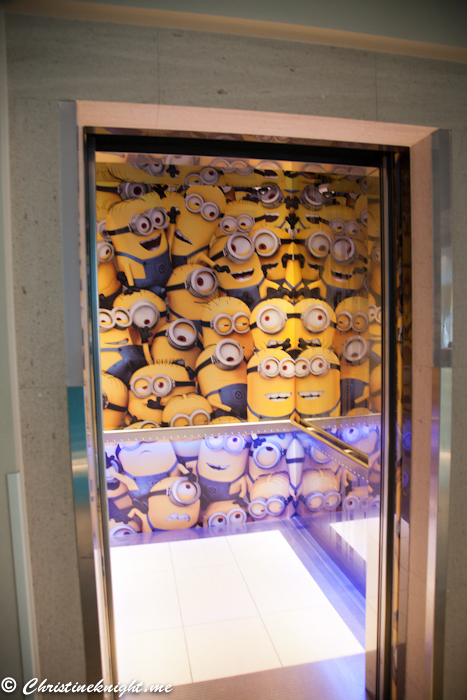 Wear anything Minions-themed that you own and you will fit in well with the crowd. Try a bit of everything! 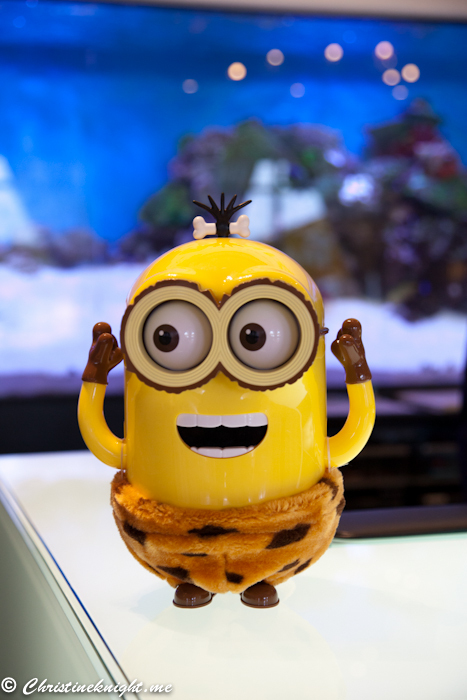 The snacks are all quirky and fun. 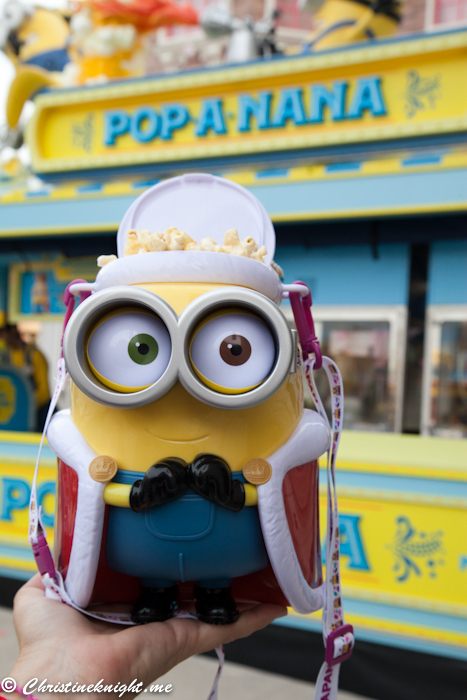 I loved the biscuit and popcorn as I have a sweet tooth. Get to the show early. It’s super popular too with people sitting on the ground in preparation well in advance of the show time. 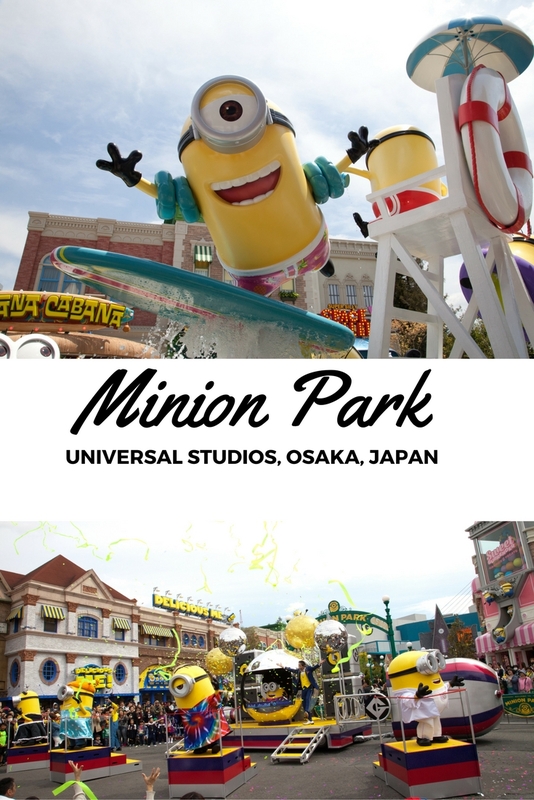 For more information on on Osaka and Universal Studios Japan, head to gdayjapan.com.au. 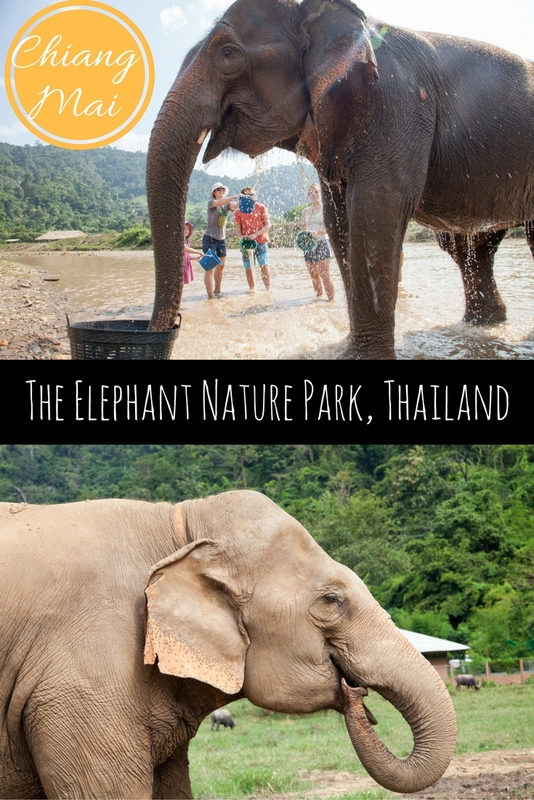 Our time at the Elephant Nature Park in Thailand was life changing. 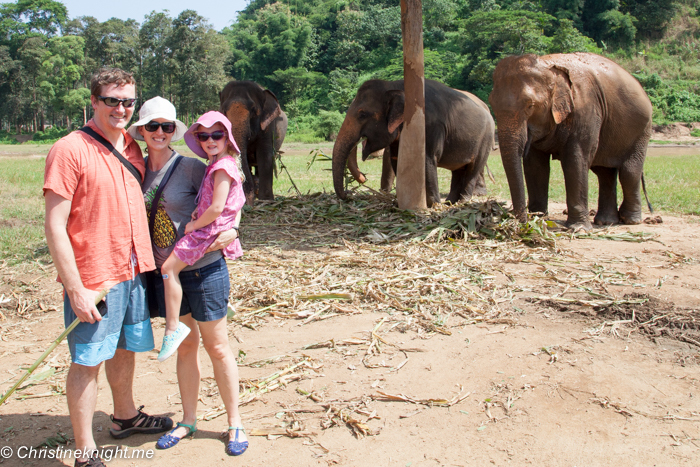 We are a family of animal lovers and visiting these elephants in Chiang Mai has been at the top of our travel list for a good 10 years. To finally see the elephants in person and learn about these magnificent creatures was an experience that none of us will ever forget. 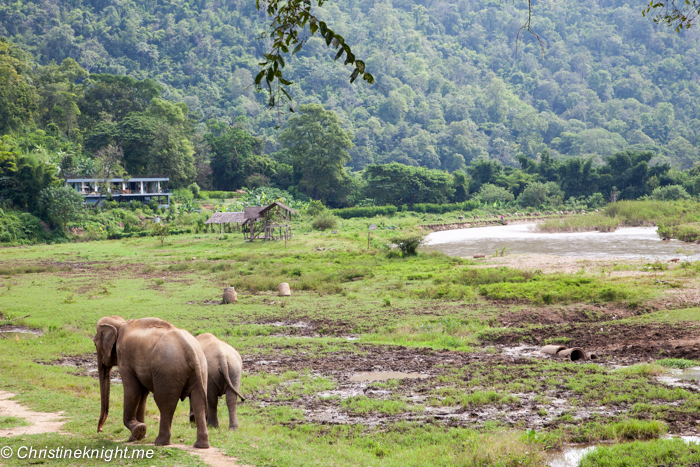 The Elephant Nature Park was established in the 1990s by Sangduen “Lek” (Thai for “Shorty”) Chailertas, a sanctuary and rescue centre for elephants. 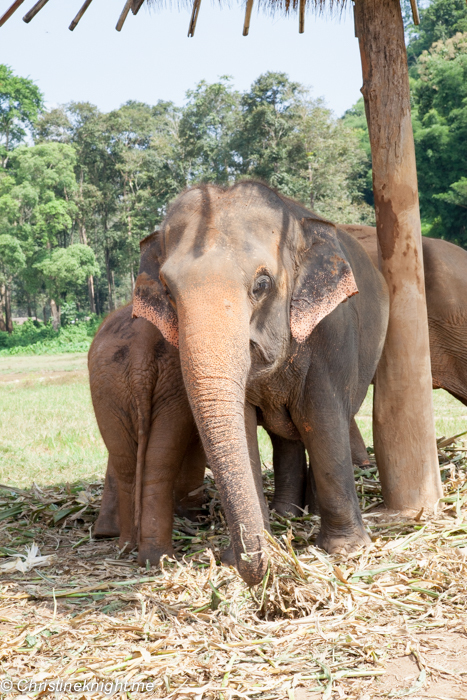 The park is located some 60km from Chiang Mai city, and has provided a sanctuary for rescued elephants from all over Thailand. There are currently around 75 elephants that call the park home, the majority of whom have been rescued, with a few born into the park. 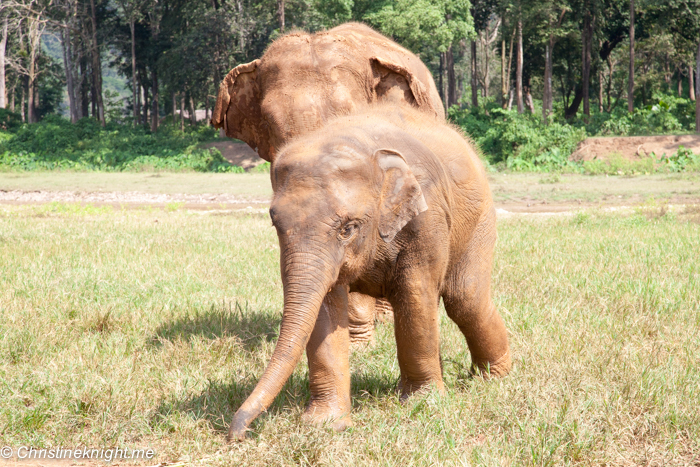 The youngest elephant at the park when we visited was five months old. 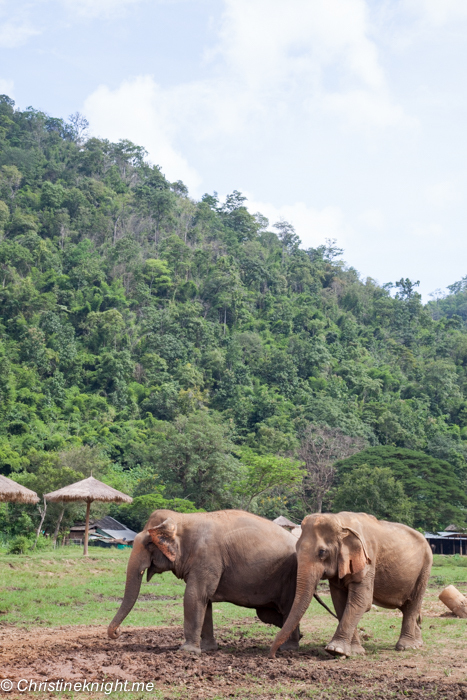 In more recent years, the park operators, in conjunction with the Save the Elephant Foundation, have also opened the Erawan Elephant Retirement Park in southwestern Thailand and branch elephant parks in Suri and in Cambodia to enable them to expand their rescue operations. As the park receives no government funding, it operates under a business model in which tourists pay to visit and help care for the animals, with an option to stay for extended periods as a volunteer. While the park initially opened to rescue and care for elephants, their mission has expanded to care for any animal in need of sanctuary. 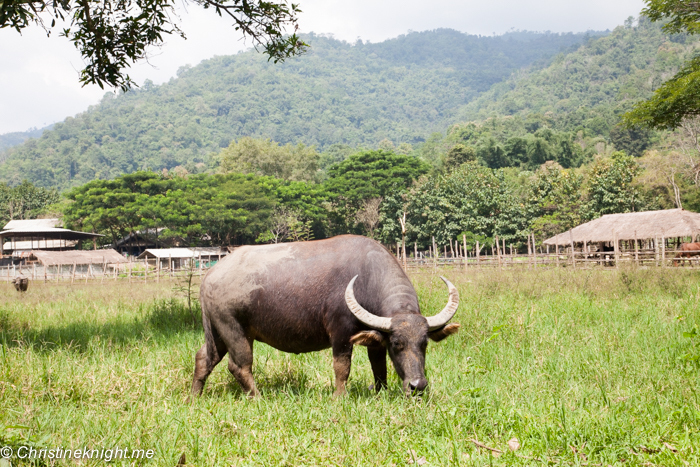 Animals at the park now include over 400 dogs (many of whom were rescued from a typhoon in Bangkok), a large herd of water buffalo that started as 7 and multiplied to 80, monkeys, cats and a pig. 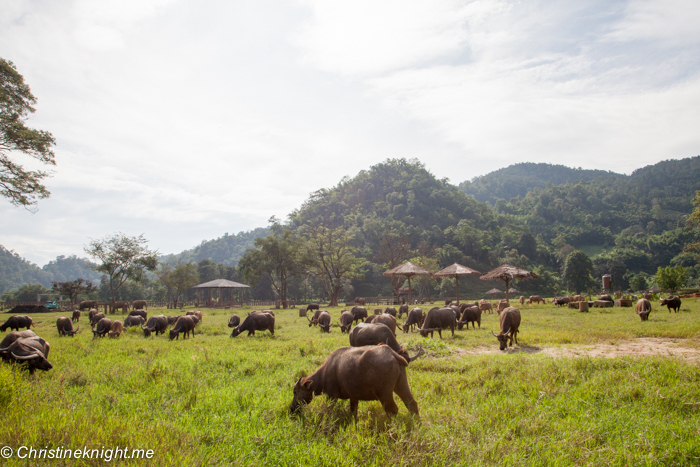 The park has created its own ecosystem where any scraps go to feed the water buffalo and pig. What the park doesn’t grow itself is bought from local farmers to provide them an income, and the manure from the animals is turn given back to the farmers to fertilise their crops. We chose to stay overnight at the park for the most in depth experience possible while visiting with our child. There is no age restriction on visitors to the park, but I wouldn’t recommend bringing small children who are unable to follow instructions. The park belongs to the elephants and humans are just visitors walking among them, keeping out of their way. 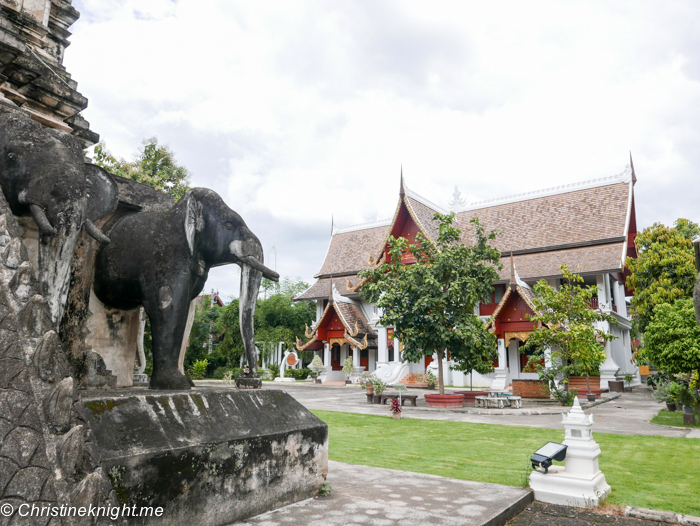 As the park is some ways out of Chiang Mai, we stayed the night before at the Shangri La, and were picked up early in the morning by our tour guide, Deng. He is one of many locals who have been employed by the park to teach visitors about the plight of the endangered elephants. The drive takes about an hour in a very comfortable minivan, and our education starts here. We watch a video that teaches us about a cruel process called “Phajaan” where elephants are “broken in”, which literally involves crushing their spirit and often breaking their bodies in the process. The video explains that elephants are taken from their mothers as babies or bred in forced breeding centres and then put through this barbaric process in order to make them compliment and easily trained for circuses, logging, which, despite being banned is still used in remote areas, and the popular animal trekking. Once at the park we meet the elephants. Up high on a viewing platform we feed them fruit directly into their trunks, which they throw into their mouths like candy. 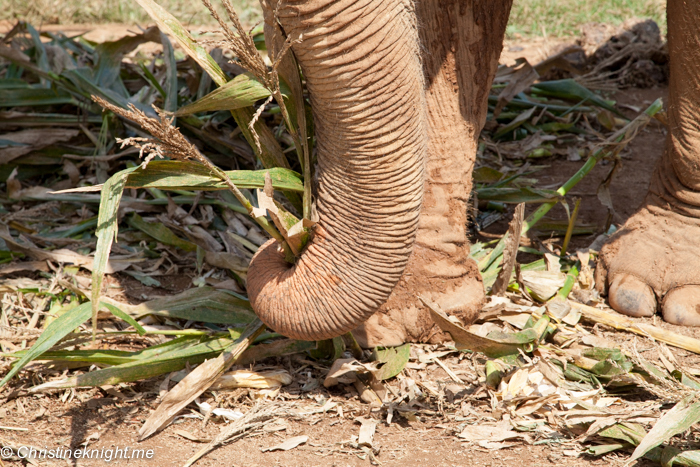 Elephants are herbivores that spend around 12-18 hours a day feeding, so a lot of our interaction with them involves food. 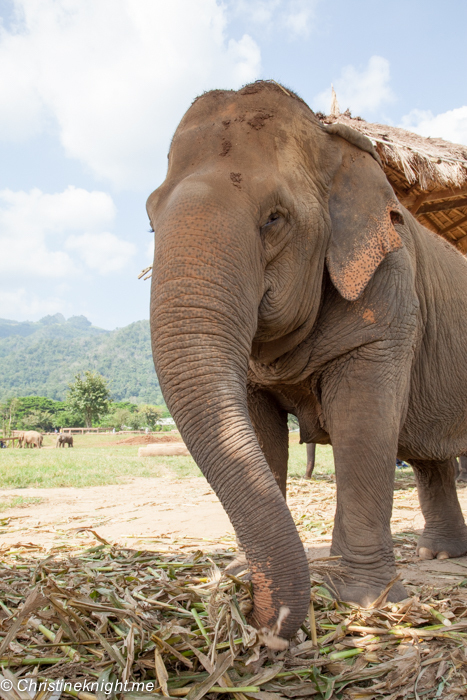 There are strict rules at the park which visitors must agree to obey to be able to meet the elephants – both for their protection and for ours.There is no touching elephants unless you are feeding them at the same time, and no straying off the paths or away from the guides. 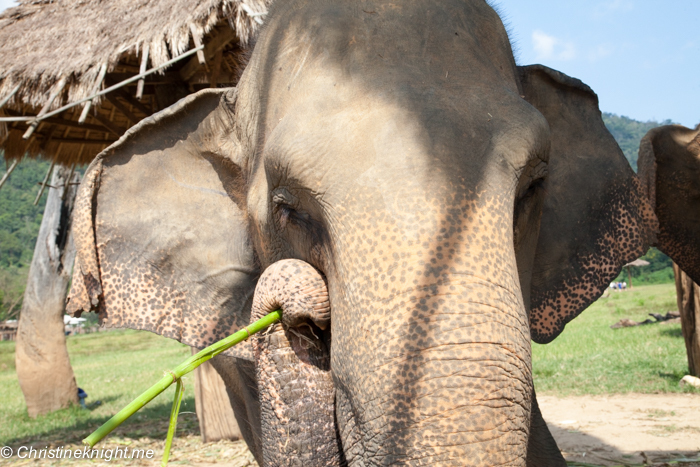 The welfare of the elephants is at the heart of every rule, but these are also dangerous animals who are roaming freely. 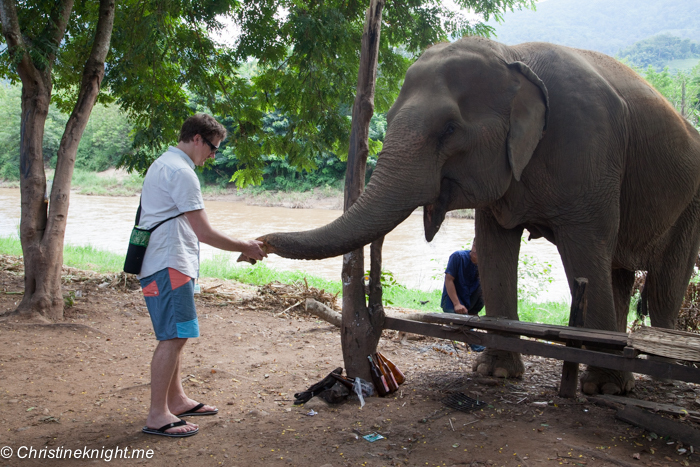 No one wants their own story to end getting crushed by an elephant in Thailand. 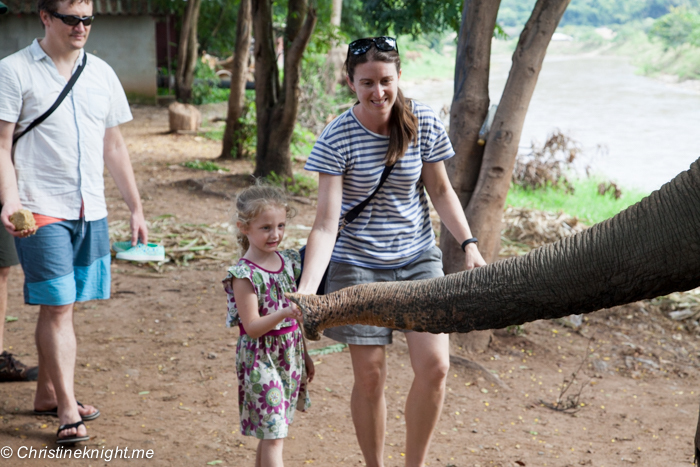 We are taken around the park to meet the elephants up close. Some have formed new herds, some prefer to be on their own. 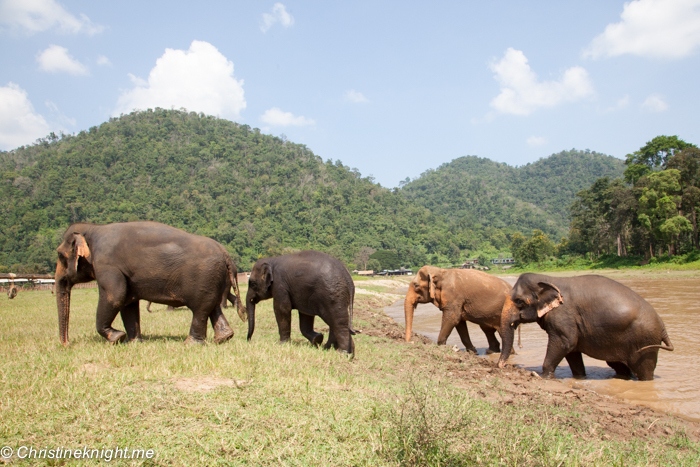 Each elephant is at a different stage of rehabilitation. Some are more comfortable with people, some less so, and we keep well clear of these. 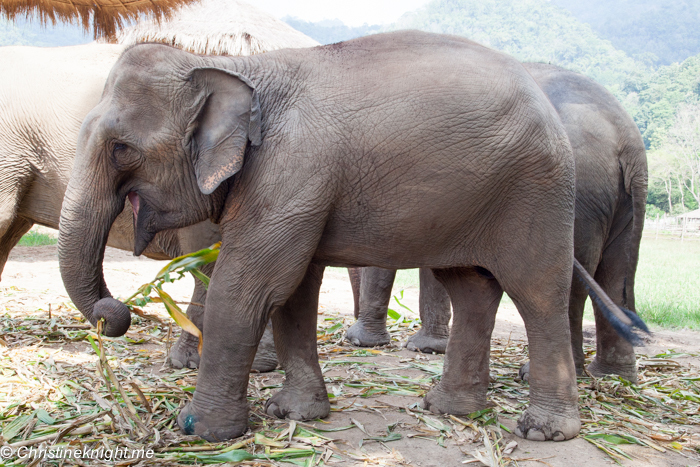 When we hear the elephants’ stories we are brought to tears. Broken backs through carrying tourists in trekking camps. Blind eyes from tourist camera flashes and gouged by their owners for not obeying orders. Broken legs from treading on landmines while illegally logging. Our hearts break over and over and it’s impossible to hold tears back when we see ripped ears and misshapen limbs on these magnificent animals that deserve so much better. 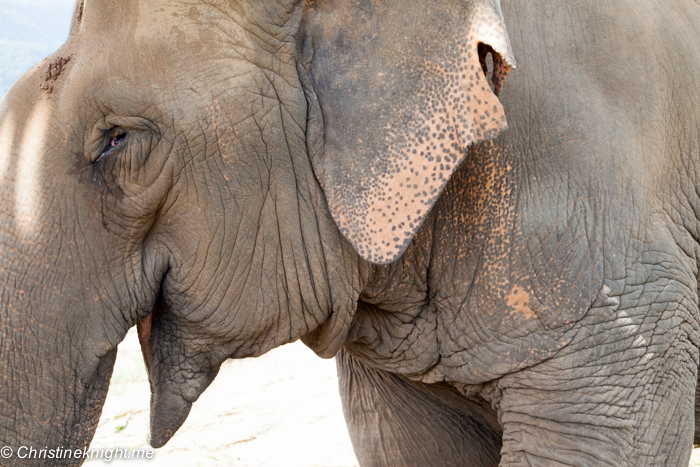 The elephants come to the park bearing a lifetime of scars. Their owners are usually only willing to part with them once they are too old and broken to be of serve any longer, and they want to buy a new elephant to replace it. 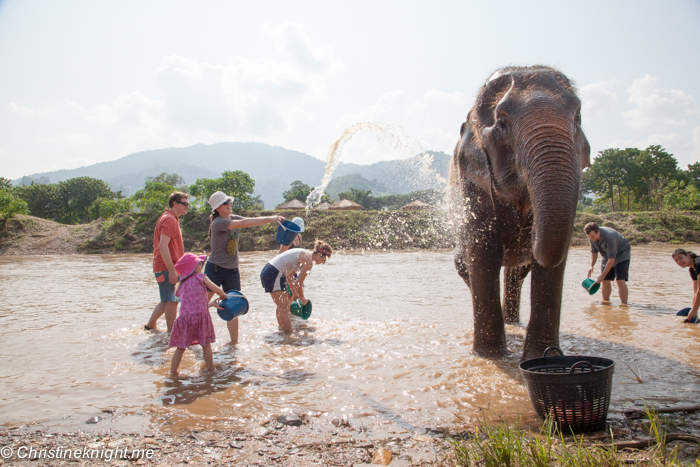 While the elephants are occasionally given to the park by owners who have genuinely loved them, the majority are purchased, which is where the money visitors pay to visit the park goes to. 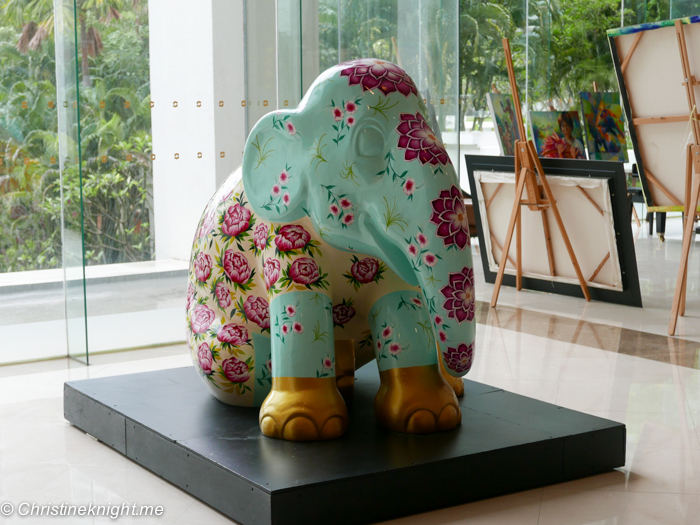 It did not sit well with any of us that the buying of these elephants actually helps the cycle of elephant abuse continue, but it’s also clear that at the moment that there is no other way to assist the elephants while there is no government legislation to protect them. While the stories we hear about the elephants’ history are desperately sad, their future is bright. The park gives them acres to roam in freedom and plenty of nourishing food to eat. There are no more chains, no more heavy loads to carry, just days spend wandering through grassy fields, playing in rivers and taking mud baths. 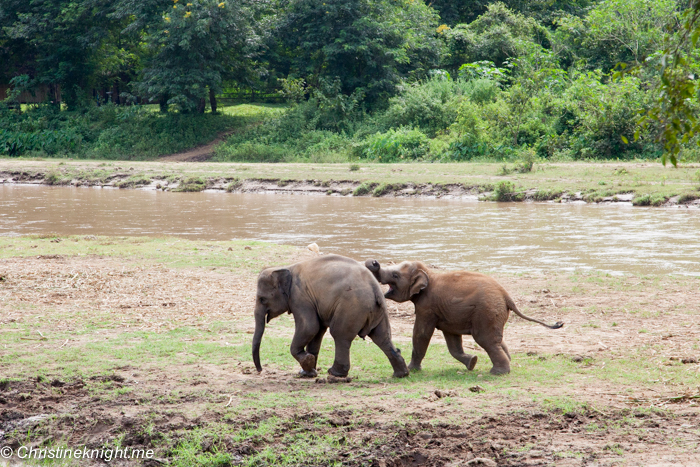 We watch the elephants frolic in the river, playing games and grabbing each other with their trunks. 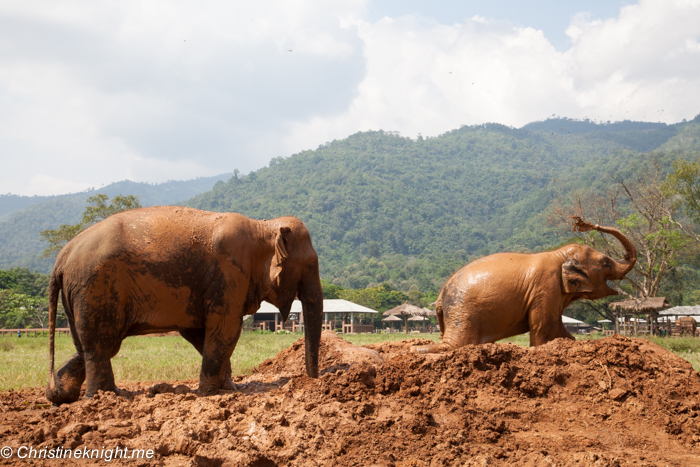 They throw mud on their backs to keep cool and rub up against each other in the shade. 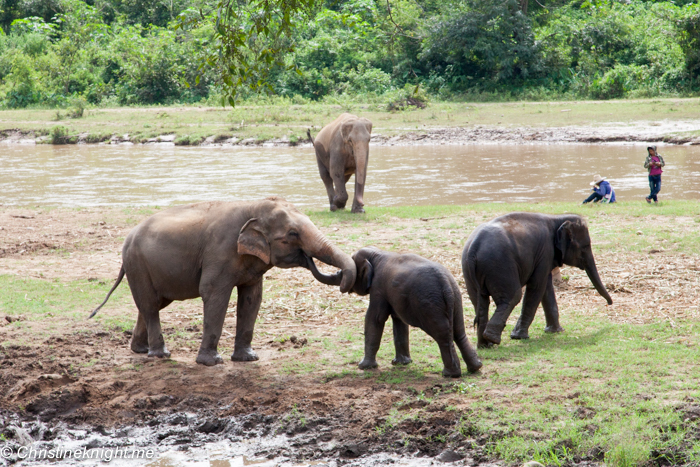 The elephants are joyful and playful, newly formed families enjoying their lives once more. Later in the afternoon we are taken to our room to settle in. 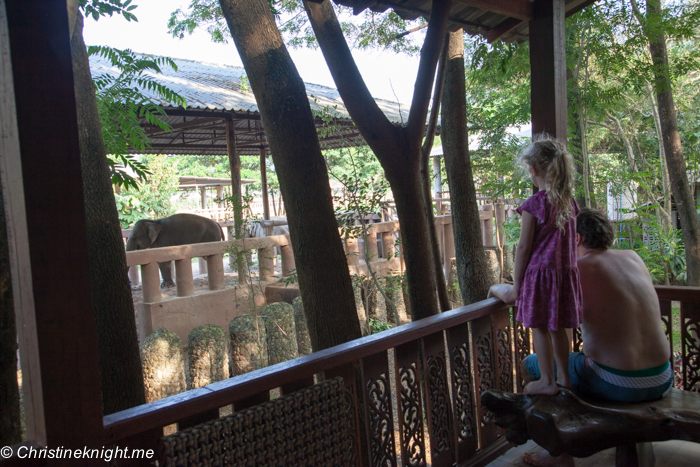 It’s much more luxurious than the basic accommodation we had been expecting, and from the balcony we can see the elephants being taken into the large enclosures that they spend the night in, for the protection of both them and the neighbouring villages. We are in awe to be so close – but during the night when they talk amongst themselves instead of sleeping, we are a bit less glad of our close proximity – it’s like sleeping in the jungle! 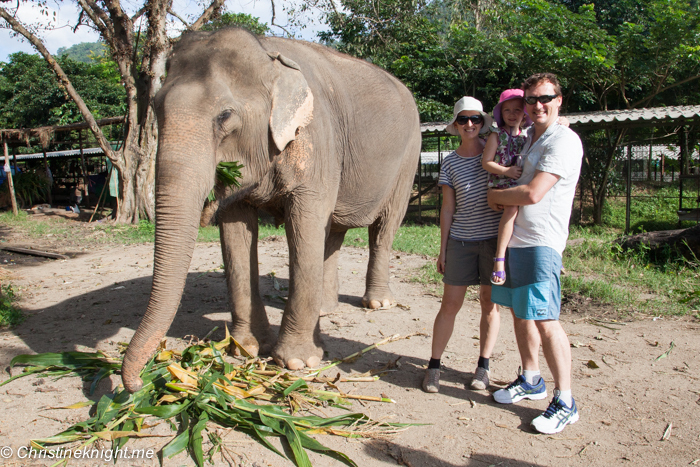 Our second day in the park is much like the first – meeting more elephants, feeding them more fruit, watching them play and making their food. 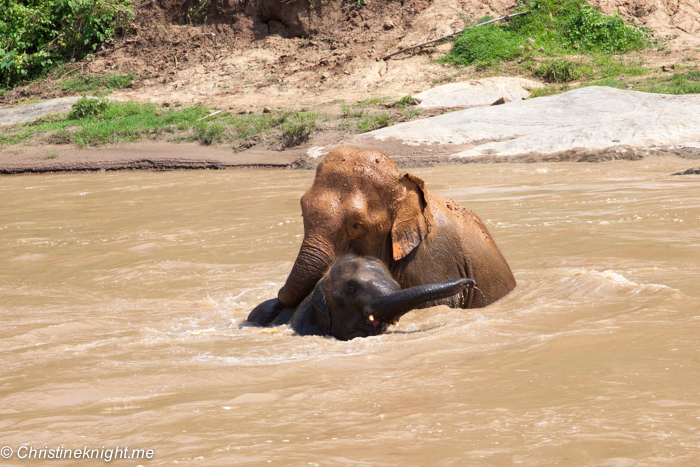 The best moment of each day is washing the elephants in the river to rid them of the fly eggs that stick to their backs and irritate them. 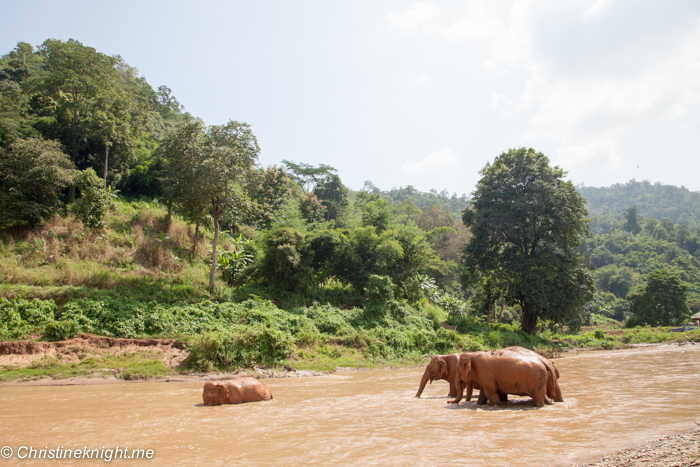 The elephants stand happily in the water munching on fruit while we are armed with small buckets and hurl water at their enormous backs. Elephants can’t smile but I swear there is a grin on the face of our grand old lady as she is cooled down by her willing minions on each side. This park is a powerful place to visit, and it’s clear that we are not the only people to have found it to be a profoundly moving experience. 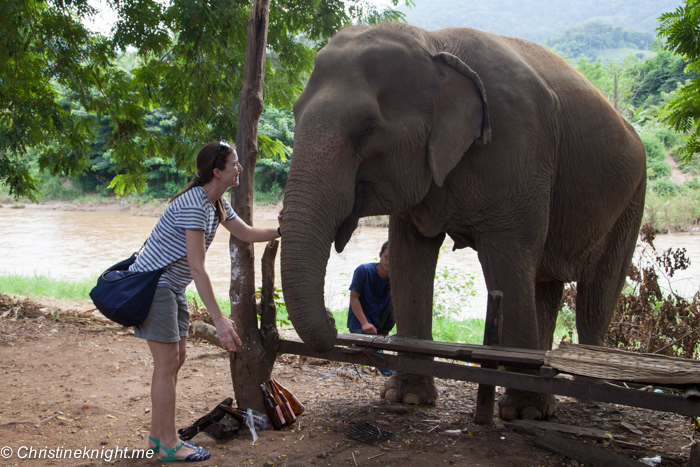 It’s not uncommon for volunteers to arrive with the intention to visit for a week and then stay on indefinitely, so moved by their mission and their desire to make a difference in the lives of the elephants and other animals. Our stay is only two short days. We are in disbelief when it flies by so quickly and we have to say good bye to the elephants we have fallen in love with. We are told that elephants never forget, and I hope that they can make peace with their devastating past and remember the kindness they have been shown in their new lives by the people who are so passionate about their welfare. We are all changed by our experience, including five-year-old Cheese. 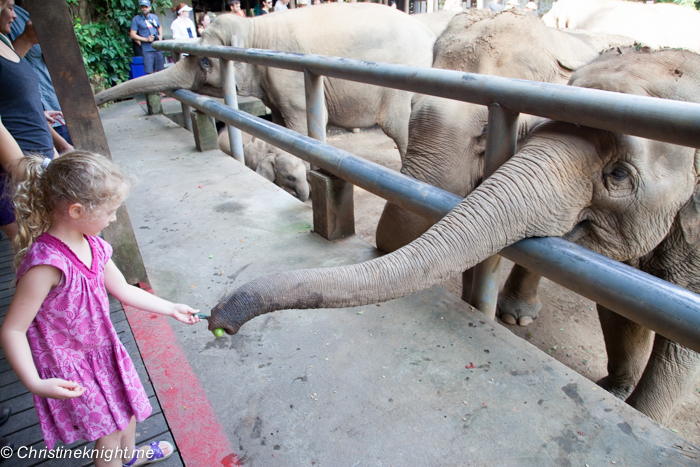 She tells everyone back in Sydney not to ride the elephants “because they’re blind”, which confuses many people about why we took her to see blind elephants, but nevertheless, the message is there and she’s helping spread it. This is teaching the next generation about conservation at its finest – learning through seeing, doing, hearing, touching. The kind of teaching that encourages children to care through first hand experience, that reaches their hearts and helps them grow up to be passionate advocates for animals and the environment. Months afterwards, my daughter is still bringing up moments from our visit. 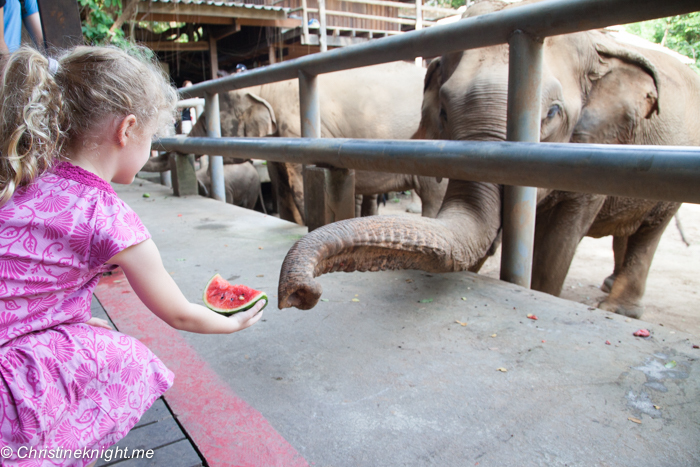 “Do you remember when we fed the elephants?” she asked me on the way to school one morning, out of the blue. “And we washed them in the river?”. She says it in wonderment, like she can’t believe that those amazing experiences in her memory are real. I absolutely do remember. There is no way I will ever forget. The only way to visit the park is by booking on a day tour, an overnight tour, or a week long volunteer stay through their website. You cannot turn up on your own without a booking. Pack and apply plenty of mosquito repellant. Pack shoes for walking through fields as well as going into the water. Shoes like Crocs that are slip on and off and water resistant are ideal. Bring Thai or US power adapters. There is plenty of water available and you will be given a reusable water bottle. The food served is all vegan. 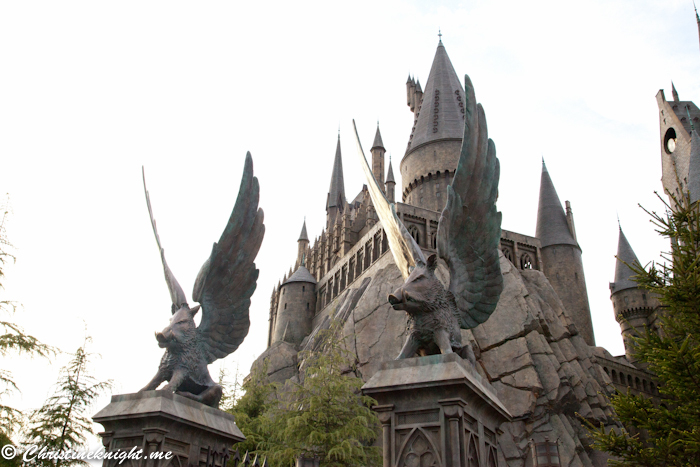 Book as far in advance as you can as the park is extremely popular and tours book up fast. 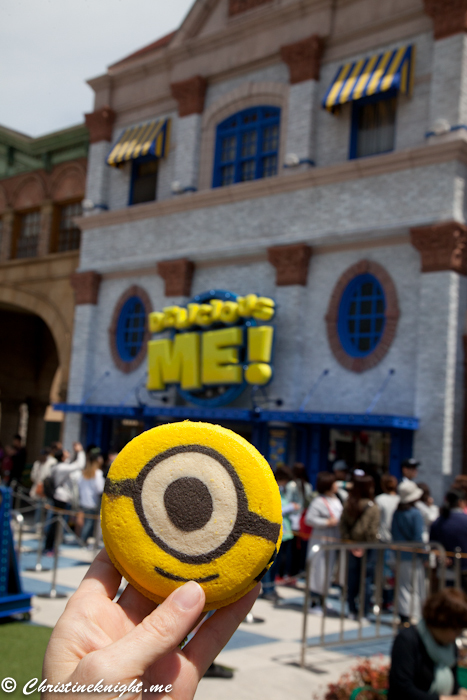 Bring some spare money for buying snacks and souvenirs. 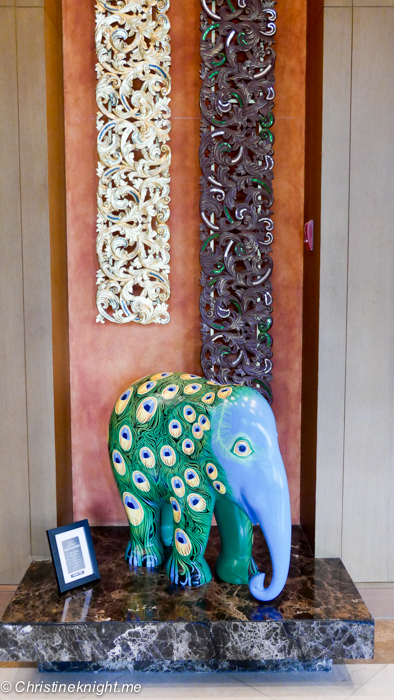 We bought some gorgeous wood elephants carved by the mahouts of their charges. We had no problems bringing these back into Australia. Kids of any age can visit the park for the day or stay overnight. This includes babies. 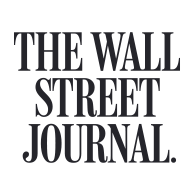 Judge wisely whether your kids are the right age and temperament to visit. Are they old enough to follow directions and keep out of harms way? 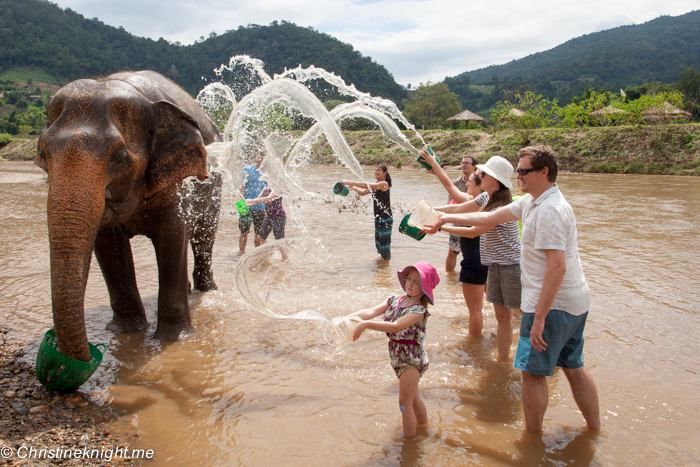 Visiting the Elephant Nature Park is only possible through their guided tour programs, which involve a lot of talking and walking. Ensure that kids are able to keep up with the group on foot (we had to carry Cheese a fair bit when her legs got tired) and either listen to the guides or quietly entertain themselves while the guides are talking to the group. Dress them to get dirty! Expect to get filthy, sweaty and wet and dress accordingly. 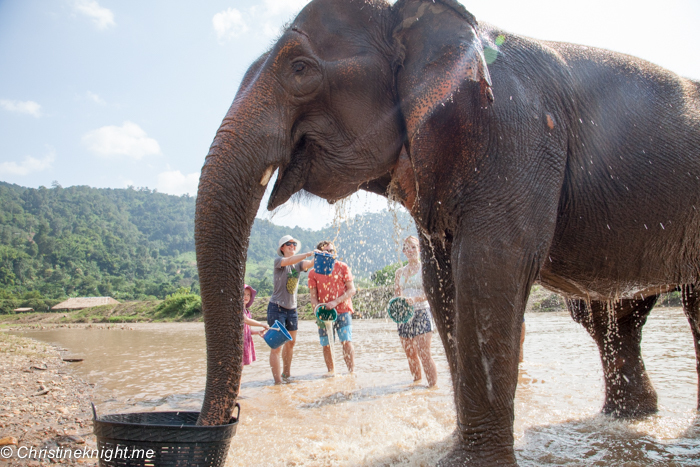 Part of the tour involves going into the river knee deep to wash the elephant so bring water shoes, as well as sneakers to walk around the grounds in. Pack food they will eat. If you have a fussy eater like ours, bring food they will eat if they turn their noses up at the delicious vegan food on offer. We had some nut bars and the like that kept our fussy five-year-old going. 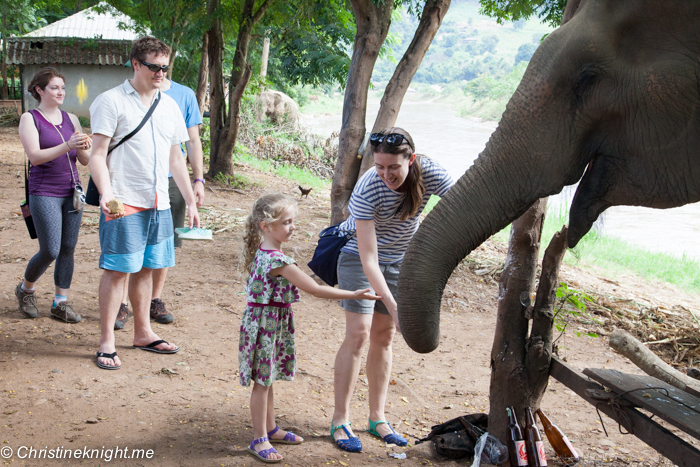 For their own safety, ensure that your kids understand the rules of the park regarding behaviour around the elephants. Repeat them frequently with little ones! 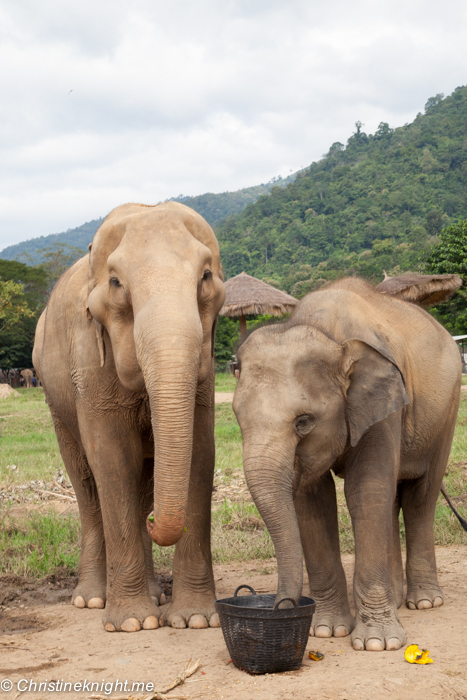 The park is one giant teaching moment for kids, so use the opportunity to talk to them about the situation with elephants in terms they can understand if they’re little like ours. 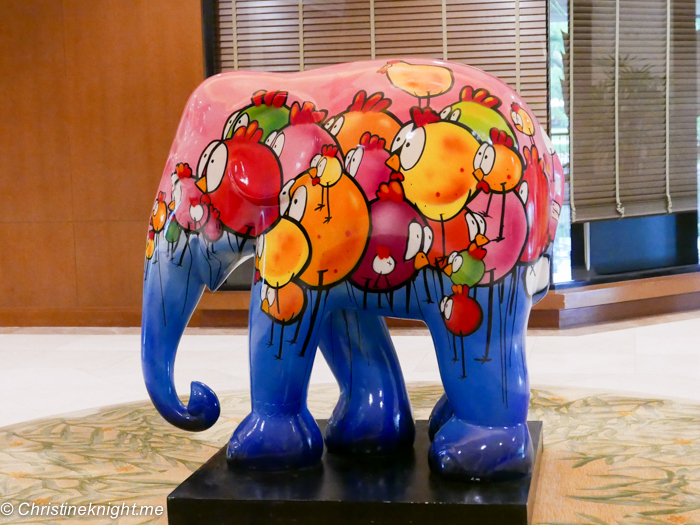 Topics to discuss include not only the issues facing elephants in captivity in Thailand, but the loss of habitat for the Asian elephant and what that means, including their classification as an endangered animal, how elephant families operate and the differences between Asian elephants and African elephants, for example. How do you know if a sanctuary is legit? 1. The elephants are in chains. 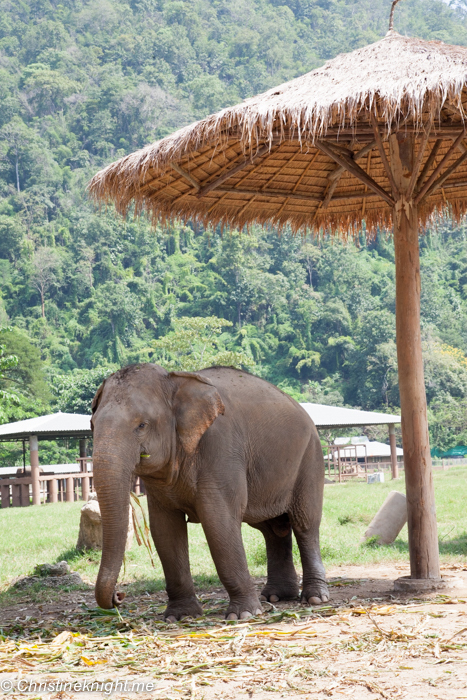 The elephants should never be chained. 2. The elephants have people riding them, with or without a chair. 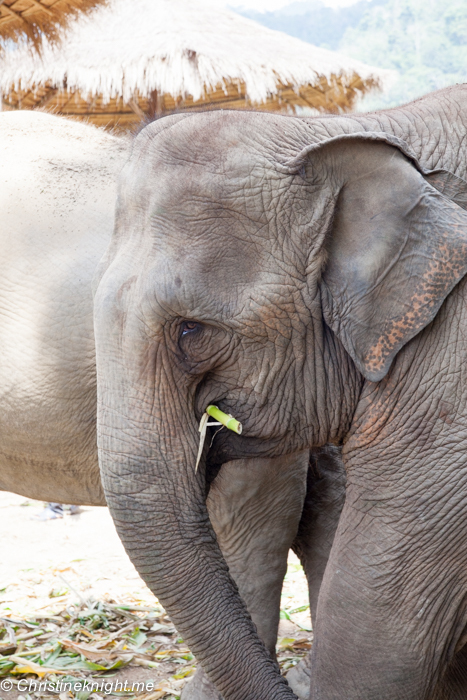 Elephants should never be ridden. 3. 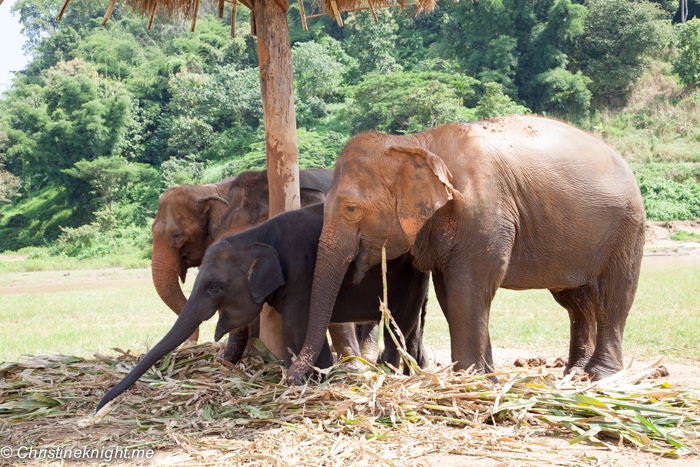 The baby elephants have been separated from their herd. The herd values babies above all else and do not willing let people get close to them. 4. The elephants perform tricks. They should never perform tricks! 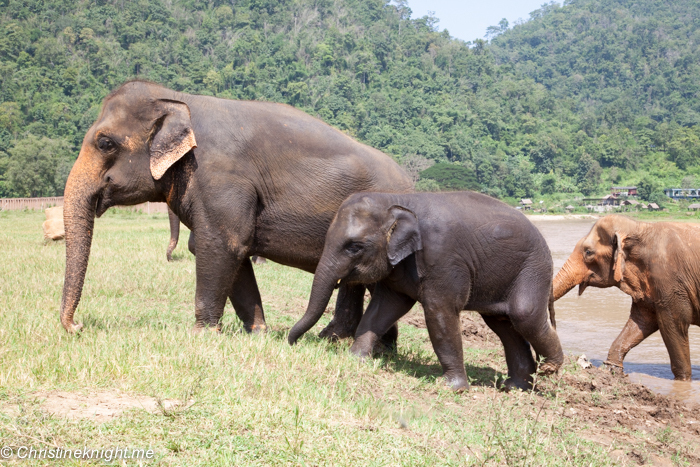 Get more information about the plight of the endangered elephants in Thailand from the Save The Elephant Organisation. Phuket is a large island in the south of Thailand. It’s so big, at 49km long, that it doesn’t actually feel like an island at all. 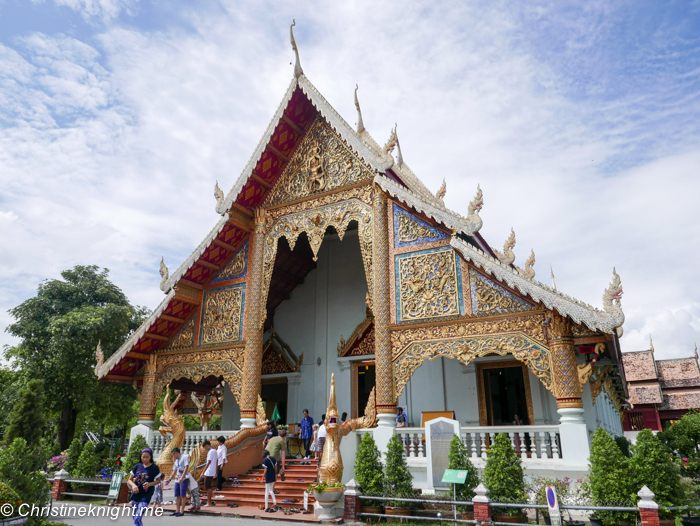 Famous for it’s stunning beaches and tourists who love to party, the beautiful hospitality and rich culture of this part of Thailand can be overlooked. 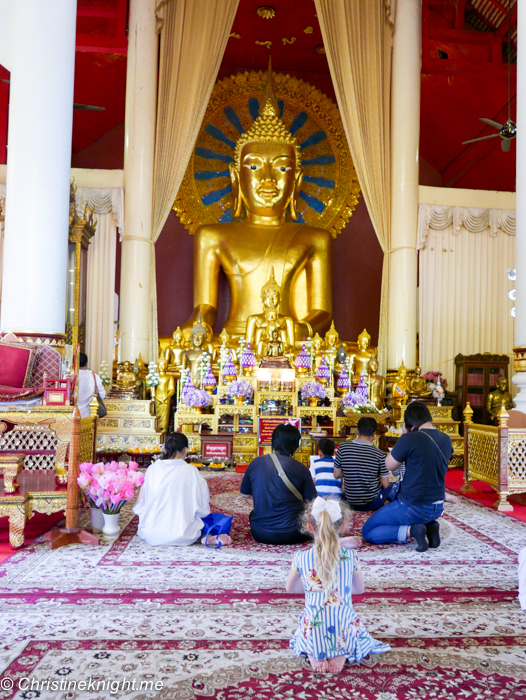 Whether you spend a few days or a week in Phuket, here are five ways to spend your Thailand vacay that will leave you feeling refreshed, enriched and enlightened. 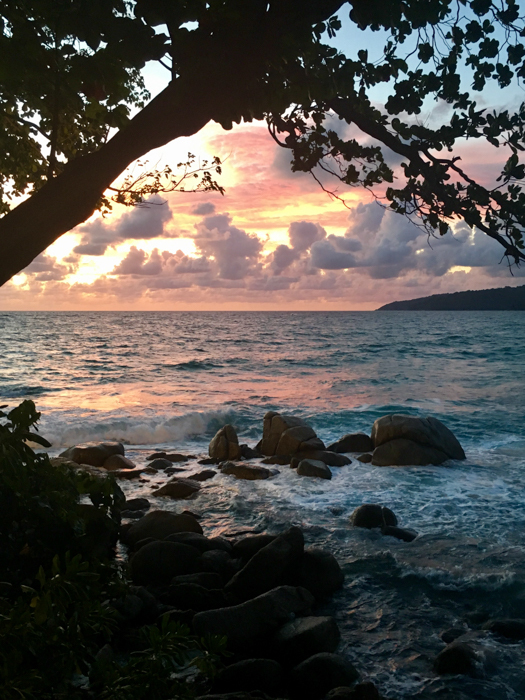 There is no doubt that the beaches in Thailand are just stunning and you can’t write a guide to Phuket without mentioning them. White sand and clear blue water – the beaches in Phuket are just heavenly. Depending on the time of year you visit swimming at the beaches may or may not be an option. During the wet season, box jellyfish are more prevalent, so keep a look out. 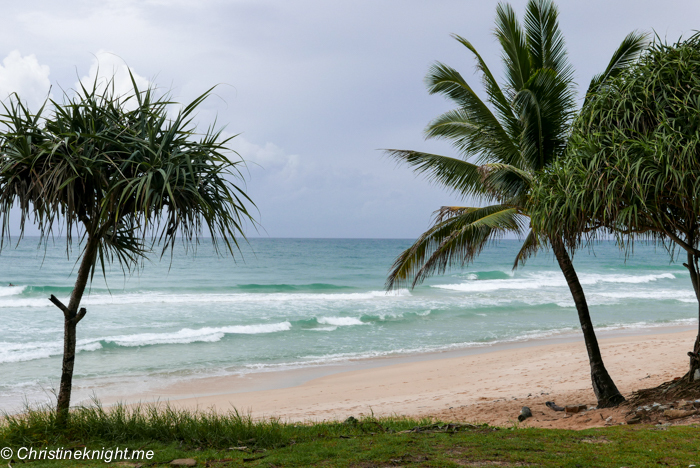 Some of the Phuket beaches are also known for heavy rips, so be safe when you swim. 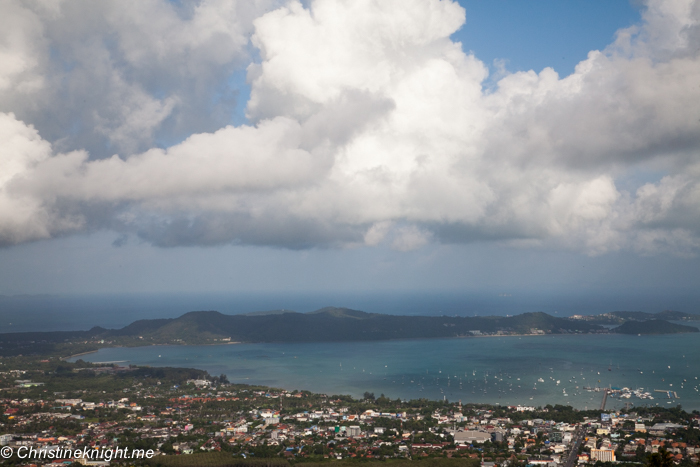 It’s hard not to notice Phuket’s Big Buddha from around the island. 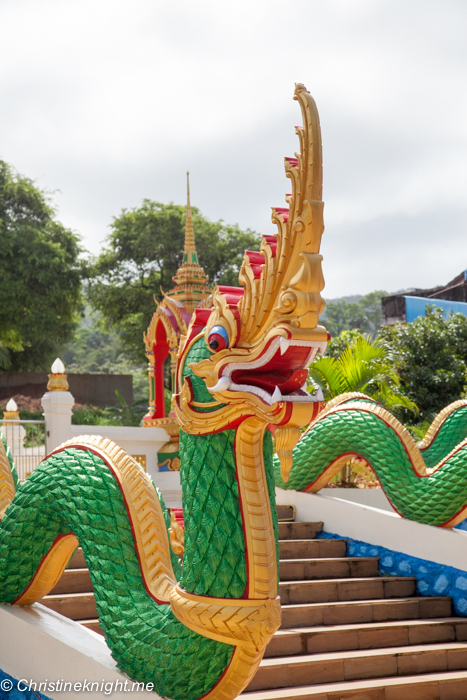 The imposing 45 metre tall statue and temple sits on top of is one of the the Nakkerd Hills between Chalong and Kata and is one of the island’s most important and revered landmarks. The view from the top of the hill is also stunning, making it a popular place to watch the sunset. 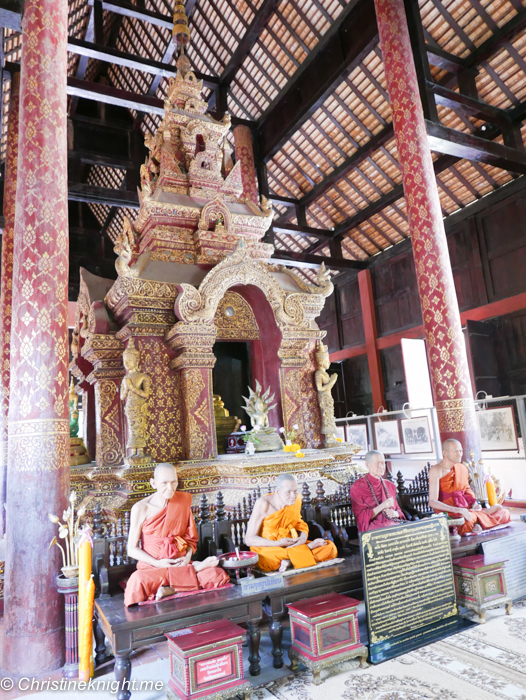 Take a stroll through Old Phuket Town to discover shrines, temples (Buddhist and Chinese), beautifully preserved ‘shophouses’ and little cafés. 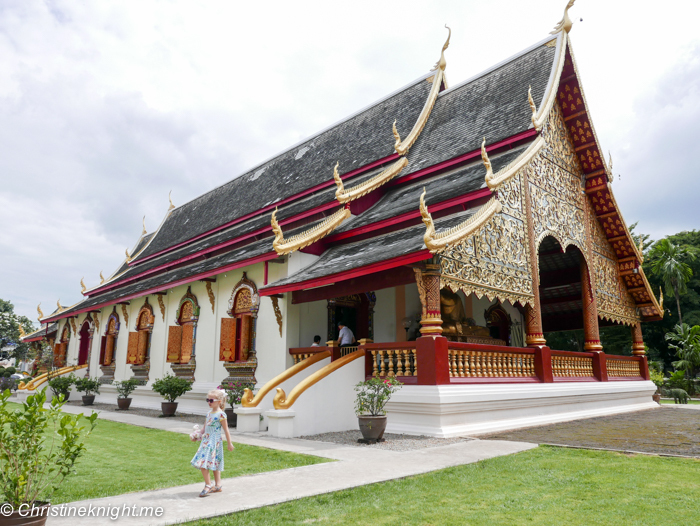 The town was built during Phuket’s tin boom of the 19th Century and has several excellently preserved, grandiose Sino-colonial mansions once lived in by the tin barons over a hundred years ago. Read more about visiting Old Phuket Town here. 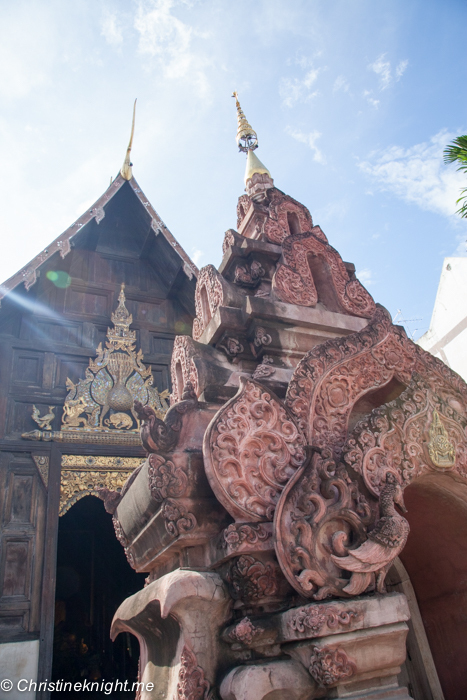 While you will need to hire a car to get to Phuket Old Town, it’s small enough to walk around in when you get there. 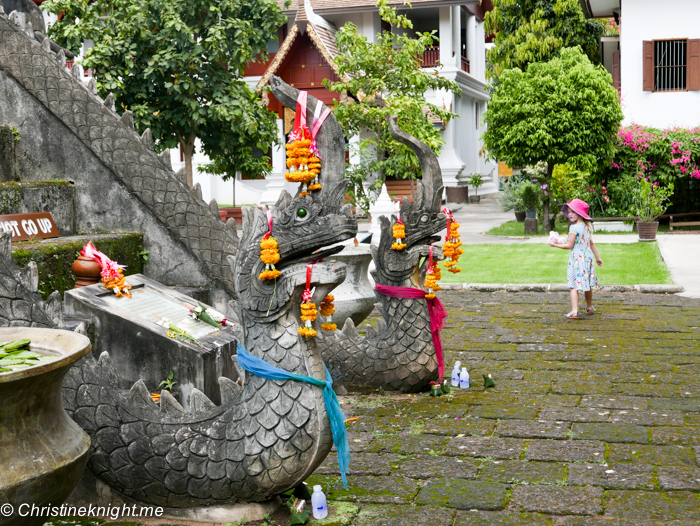 If it’s raining or too hot, the Phuket Trickeye Museum is a fun place to stop by in Old Phuket Town with kids. 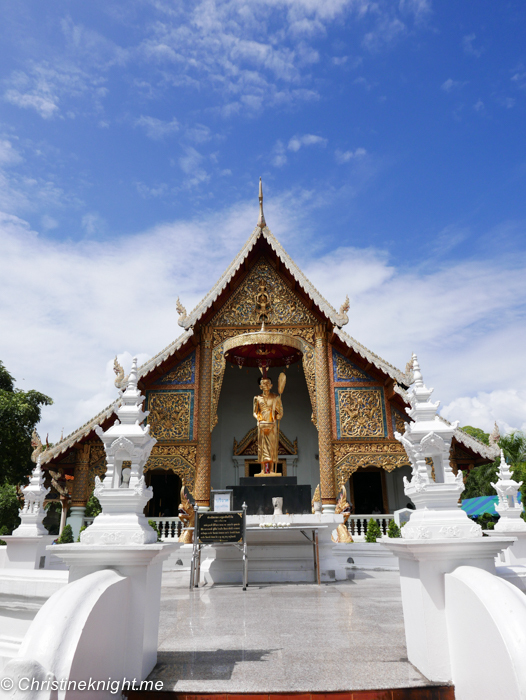 Wander through the main road in Karon and you’ll find the stunning Wat Karon. 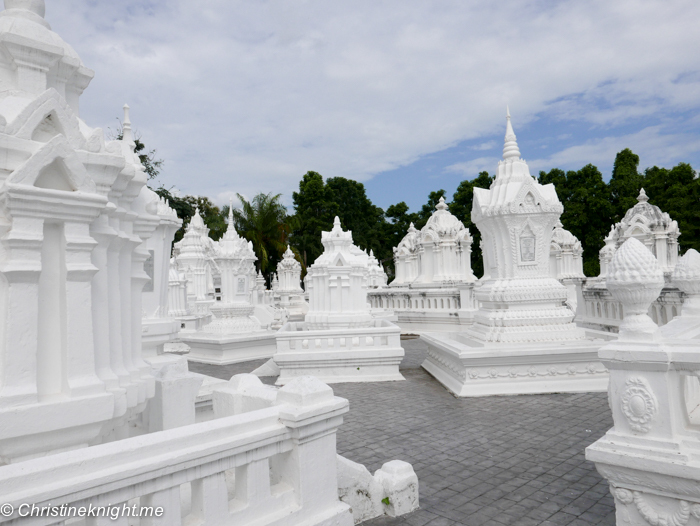 This relatively new temple is a stunning place to visit any day of the week. We met kind monks who introduced us to one of their chickens, George. On Tuesdays and Saturdays, from 4pm the Karon markets pop up inside the compound. 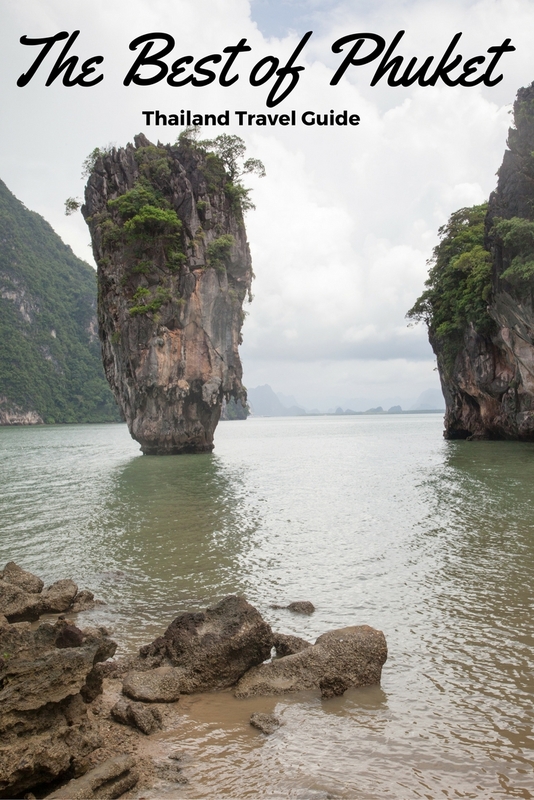 The islands surrounding Phuket are just gorgeous. 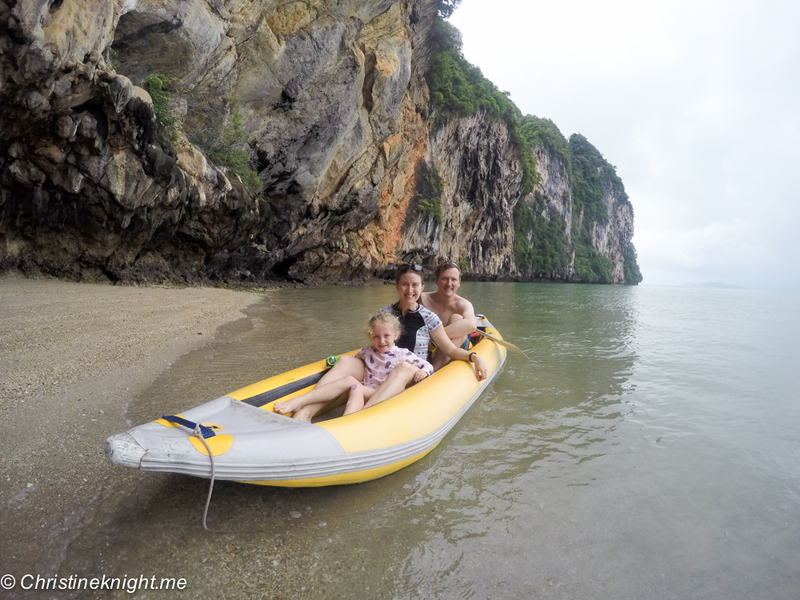 We took the Two Sea Tour sea kayaking around Phang Nga Bay. You can read more about it here. 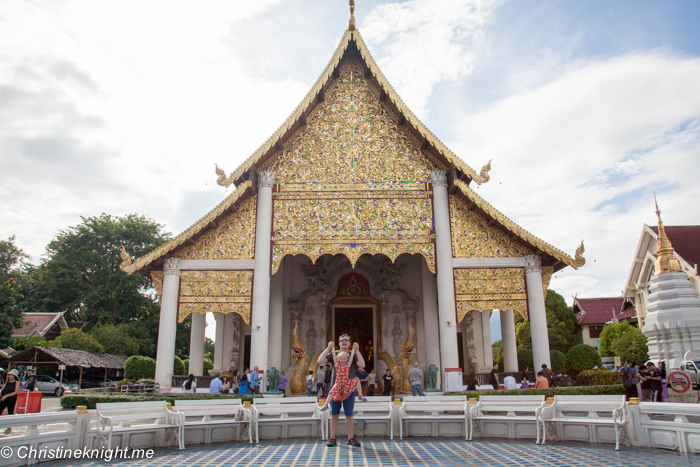 Get a comprehensive list of what to pack for Thailand here. 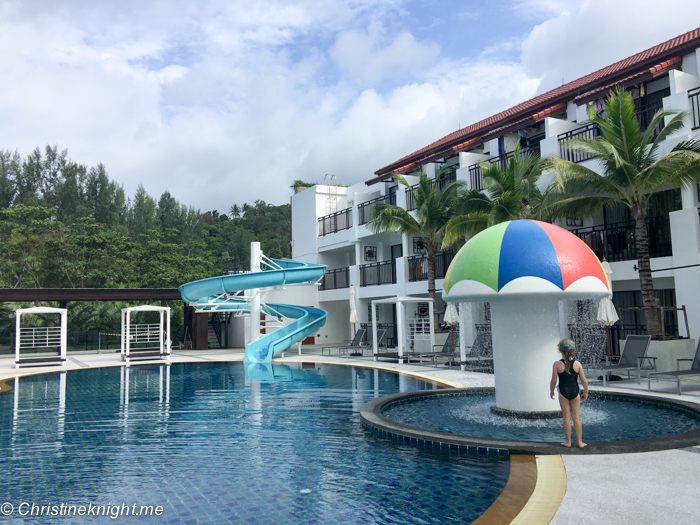 In Phuket we were hosted at the Novotel Phuket Surin Beach Resort for three nights, and the Novotel Phuket Karon Beach Resort and Spa for three nights. Both hotels were gorgeous, 4-star properties. 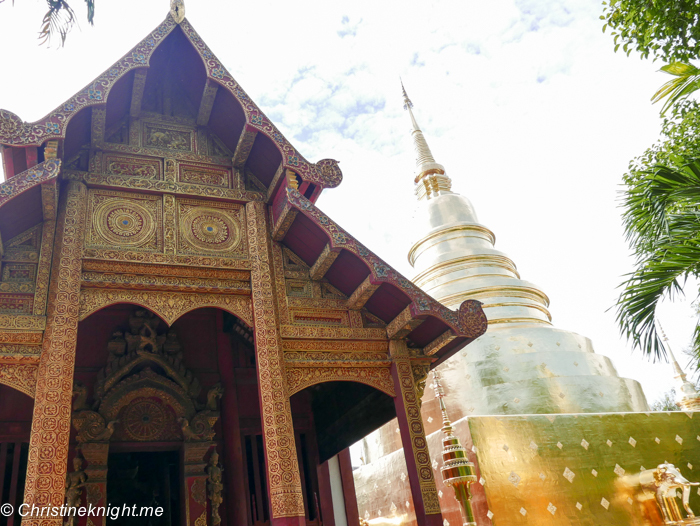 Looking for more ideas for things to do in Phuket? 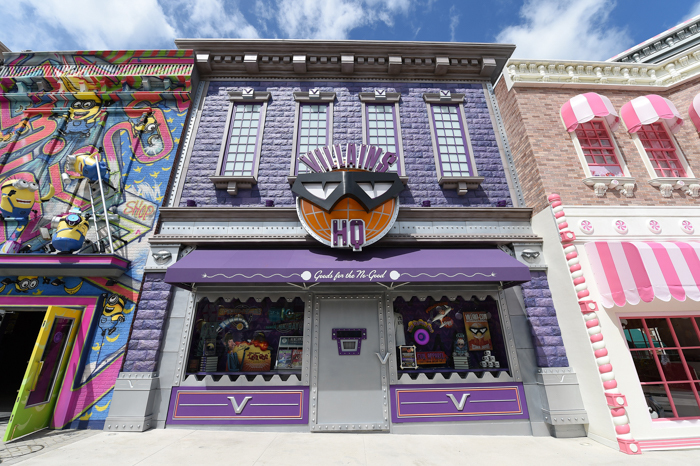 Head this way! 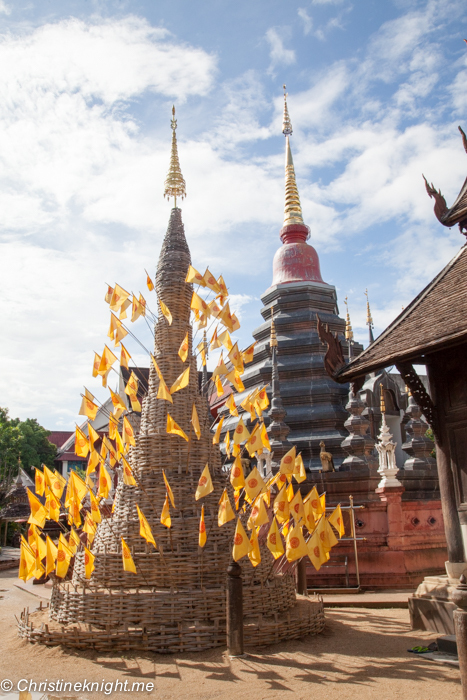 Want to island-hop around Phuket? 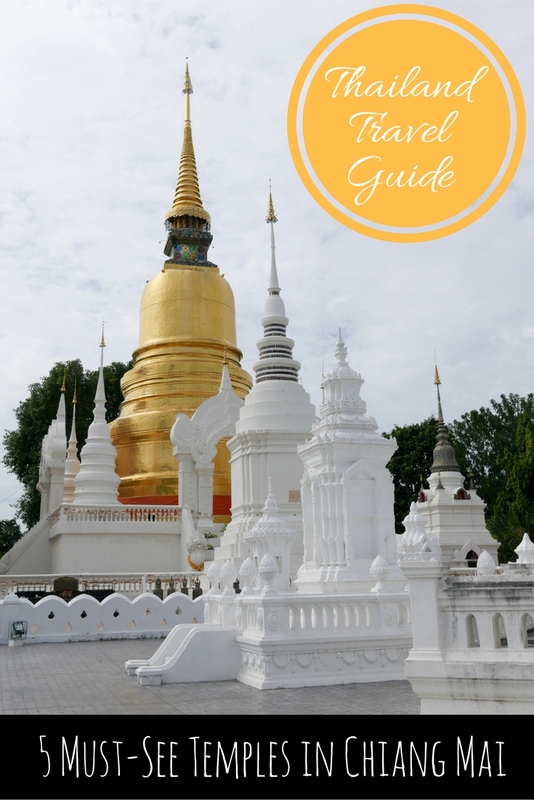 Here is a guide to the best islands in Thailand. 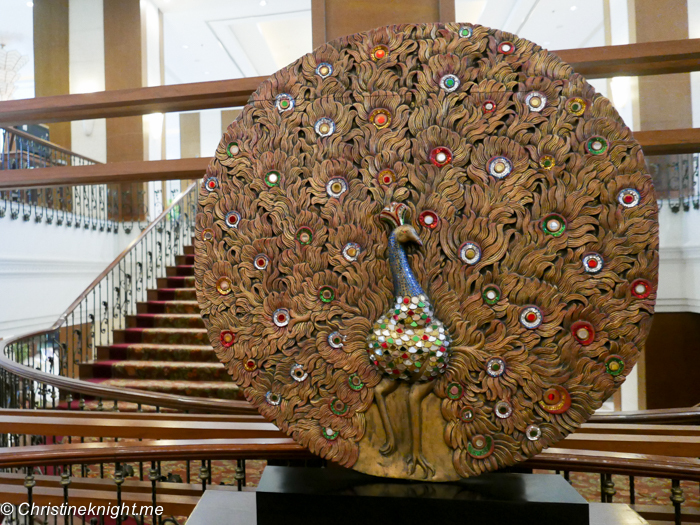 The lobby of the Shangri-La Hotel Chiang Mai smells like heaven. There is no other word for it. As we walk in from the hot Chiang Mai street outside, the blast of air conditioning hits us, fragranced sweetly with we-have-no-idea-what, but boy does it smell incredible. 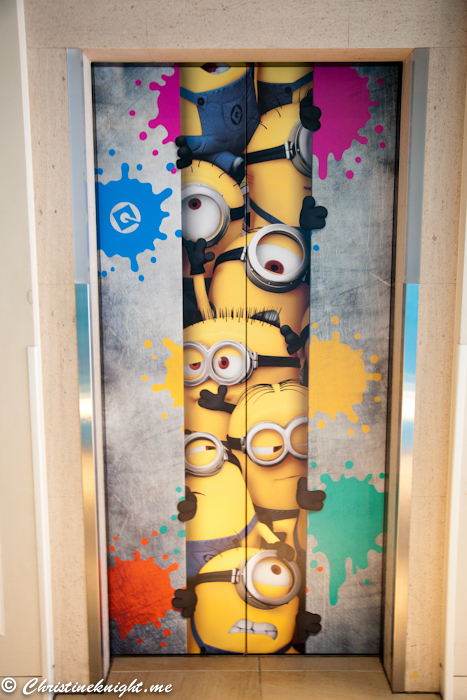 We take a deep breath, sigh, and know that we are going to love this hotel. 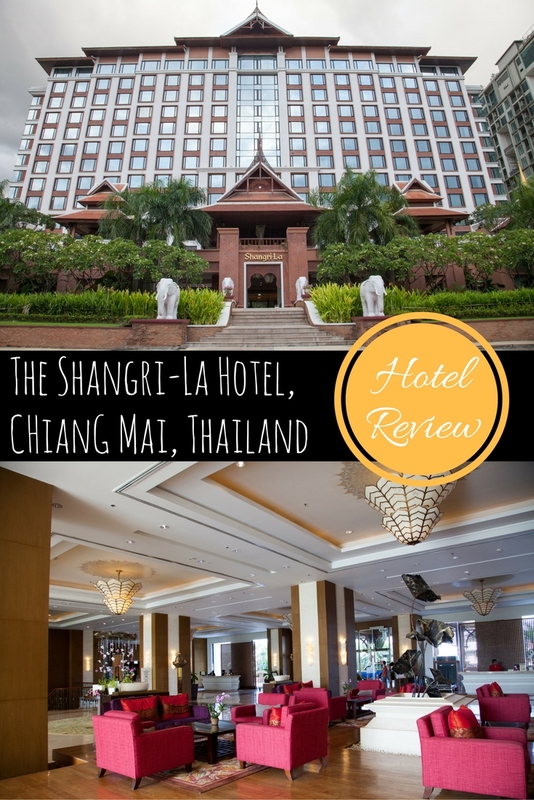 A 5-star hotel situated perfectly near to Chiang Mai’s old city and night bazaar, the Shangri-La is paradise for the weary traveller. 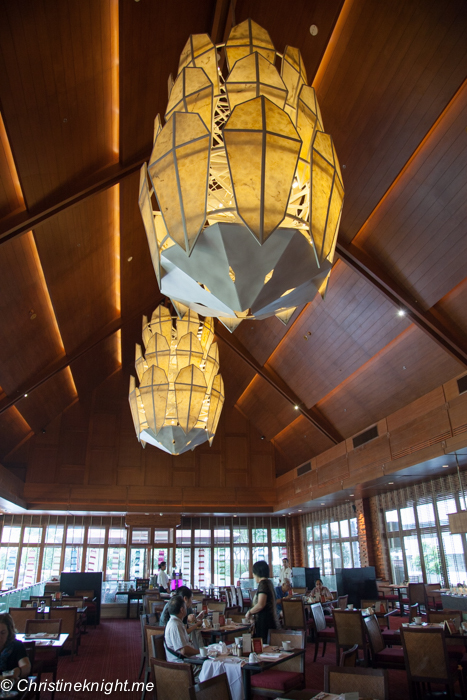 Decorated beautifully in a contemporary Northern Thai style, the hotel is luxurious, elegant and feels completely indulgent. 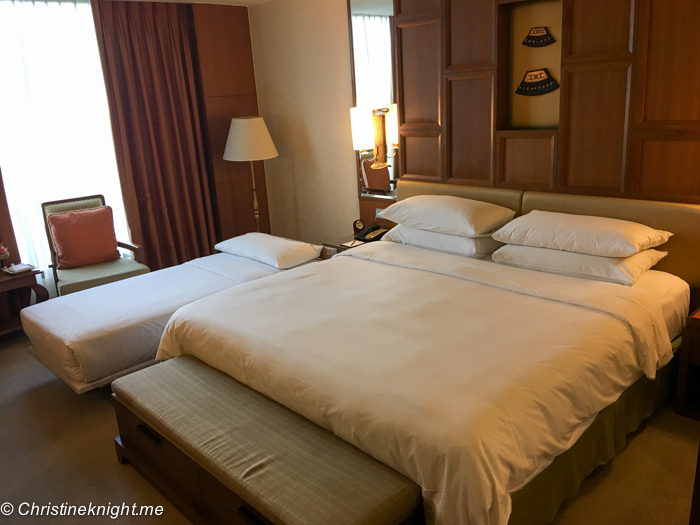 Our room is the most basic available, with a king bed and rollaway. It’s spacious, bright and airy, with a gorgeously big bathroom including shower and full-size bathtub. The complimentary wi-fi is fast and easy to use. 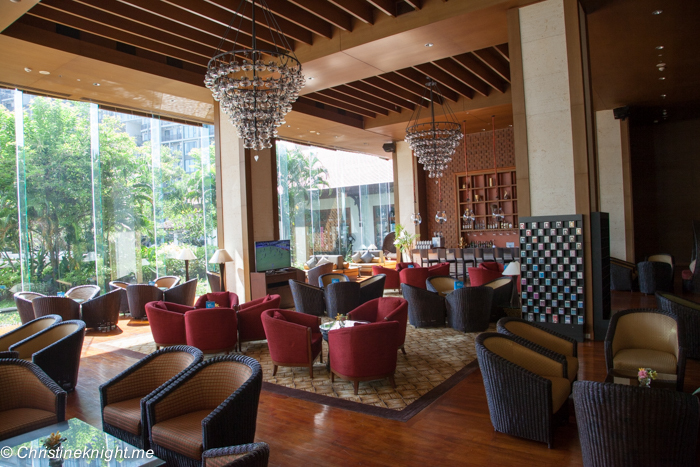 The package we booked includes daily buffet breakfast, which we enjoy every morning in Kad Kafe, an impressive room with soaring ceilings and bold lighting fixtures. The buffet offers a wide assortment of Western and Asian cuisines, with our favourite stations being the made-to-order omelettes (mine), the made-to-order noodle soup (the husband’s) and the pastry and pancakes (the child’s). 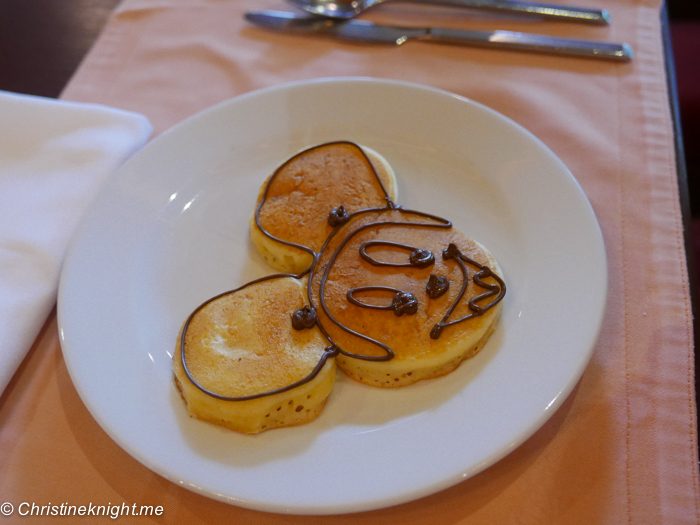 The chef in charge of the pancakes makes Mickey Mouse-shaped pancakes for my daughter every day and she almost squeals with excitement – especially when he adds a bow one morning and turns it into Minnie Mouse for her. The staff offer us endless delicious drinks – tea, coffee, hot chocolate and special Thai juice made from a local flower that is especially good to get the digestive system going in the morning. 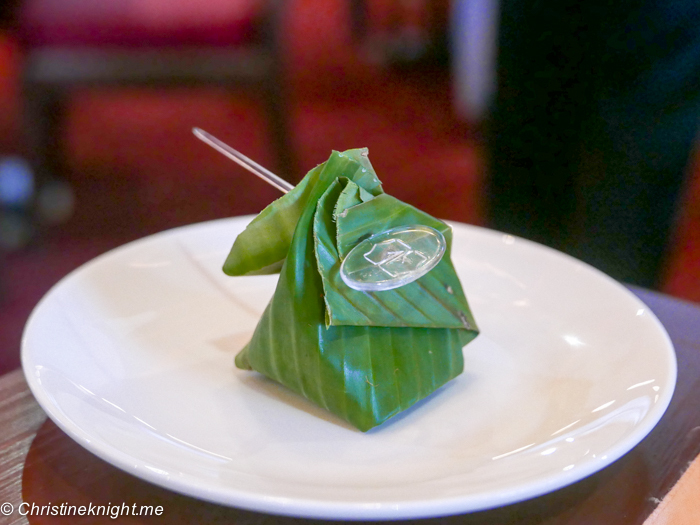 One of the chefs pops by our table with local dishes to sample – sticky rice wrapped up in leaves. 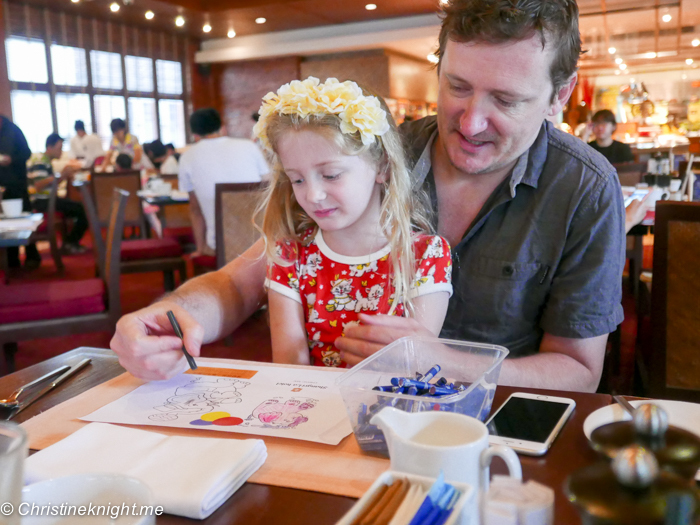 They offer Cheese colouring in sheets and crayons to occupy her while we are savouring our meals. The food is delicious, the atmosphere relaxing, and we are in heaven. If you’re planning on dining frequently at the hotel during your stay, you can select the Children’s Meal Plan, which gives kids under the age of 6 complimentary buffet meals in All Day Dining and Pool Cafes when accompanied by a paying adult, up to a maximum of 2 children. In excess of 2 children under the age of 6 and for all children above 6 and below 12, a 50% discount of the buffet price will be given. 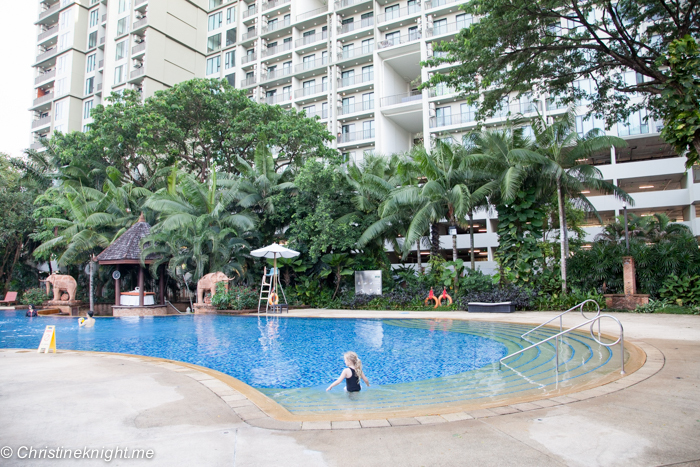 The Shangri-La is known for it’s gorgeous pool, so we head there as soon we can to check it out. 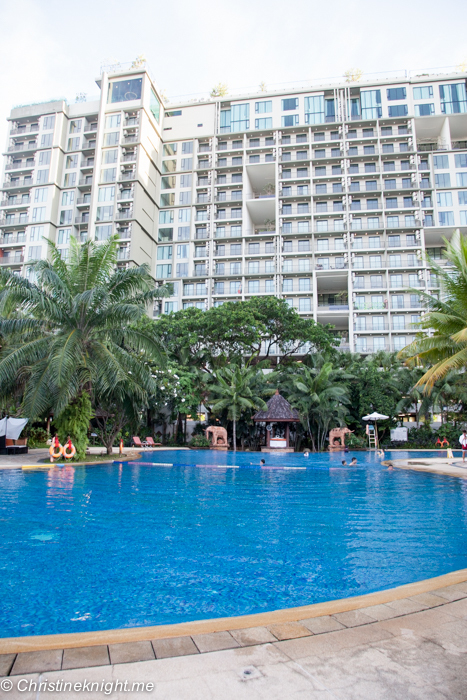 The one large pool is set in grounds with plenty of lush greenery surrounding, giving it a distinctly jungle feel. There is a large shallow end in the pool, perfect for our preschooler, and a small kiddie pool nearby for babies and toddlers. If you’re not the designated swimming parent, choose from plenty of plenty of beach chairs to relax in. 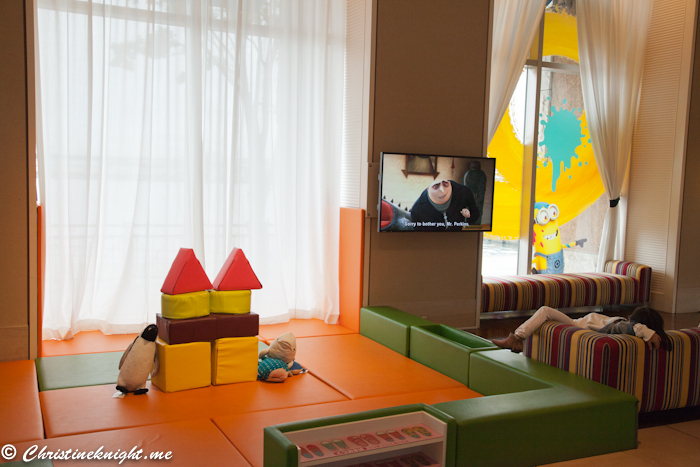 If the weather turns foul there is a decent sized kids playroom inside the hotel. 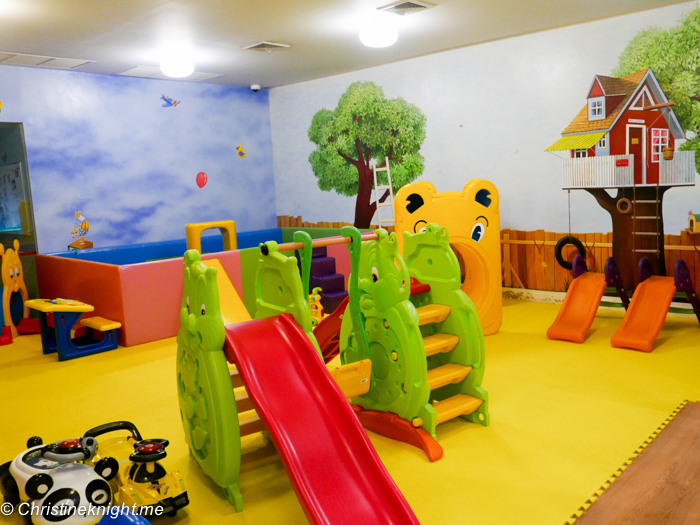 There is no child minding, however – the room is available for parents to take their kids and stay with them while they play. 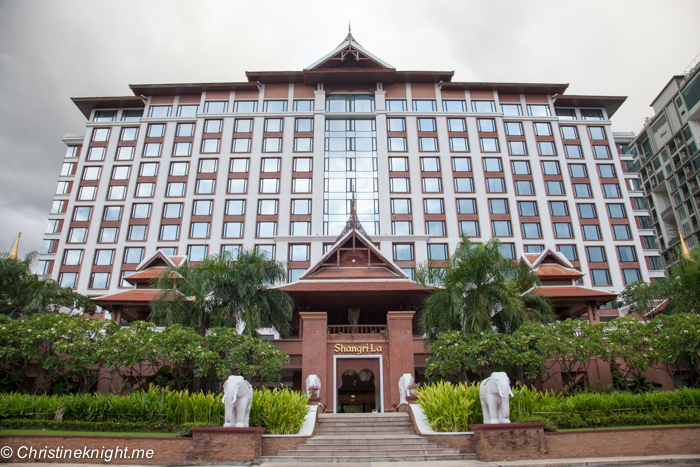 We use the hotel as our base over the next two days to explore Chiang Mai. 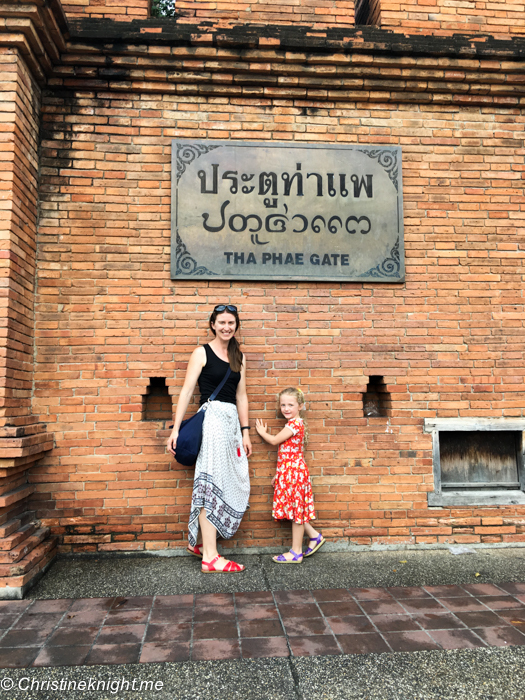 It’s about a 25 minute walk to the Thapae Gate of the old city, which is now pedestrianised and most people’s starting off point for exploring the historic part of Chiang Mai. With little legs in our part, we catch a cab to the gate and walk from there (160THB or about $6AUD). To get back to the hotel, we catch a tuk-tuk (100THB or around $4AUD). The hotel is also close to Chiang Mai’s airport, so on our last morning we take a quick 15 minute cab trip to catch our plane home. Three nights wasn’t anywhere near long enough to explore this gorgeous city. 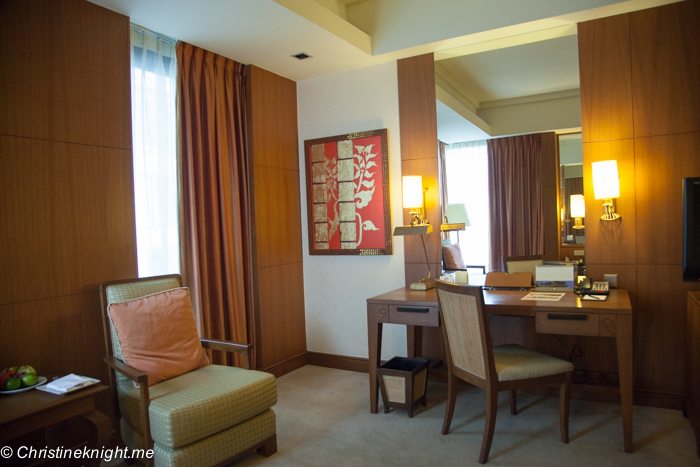 We booked their current best rate package including room plus breakfast, from 4,500 THB per night. This offer is available from 4 Mar 2016 through 20 Dec 2016. Rates are subject to 18.7 % service charge and government taxes. This post contains affiliate links. If you book a room through my link I will receive a small commission. Our stay at the Shangri-La was self funded. Thanks for supporting me and my site! 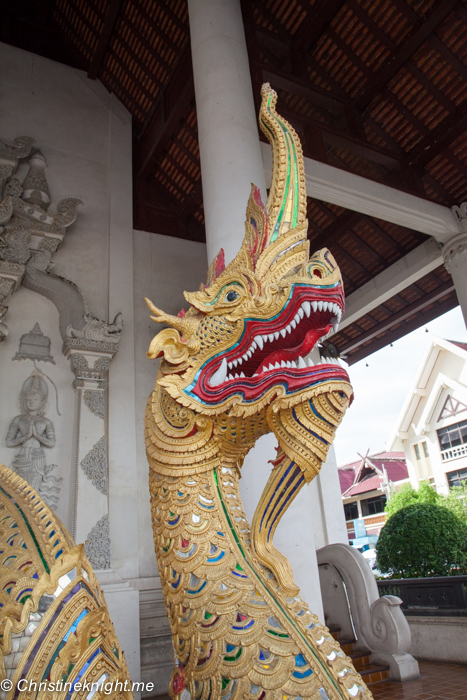 Thailand is famous for it’s stunning beaches, beautiful hospitality and enriching culture. 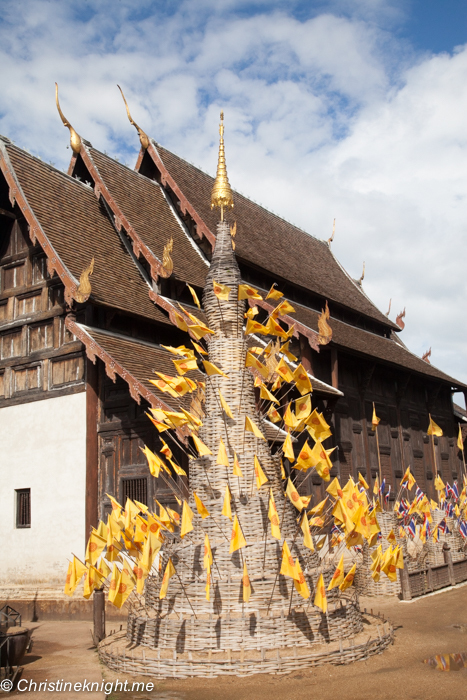 In recent years Thailand has become a popular place for families to vacay – a part of which might be attributed to how strong the Aussie dollar is against the Thai Baht. In Thailand, it’s very possible to stay at a 4 or 5-star resort for a fraction of the price of a similar hotel in Australia. 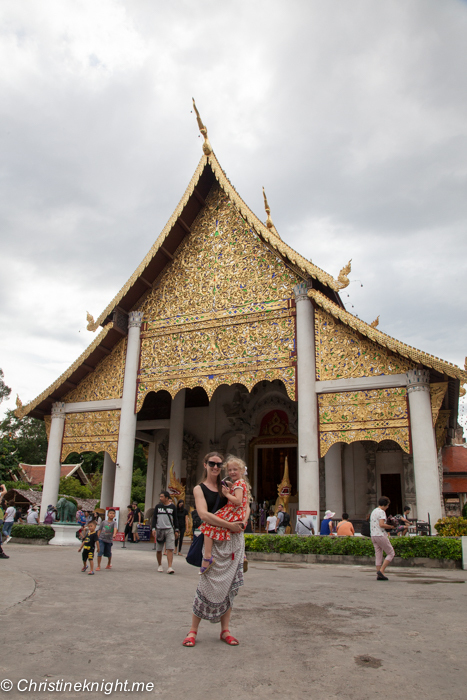 In addition to being an affordable holiday, Thailand is very welcoming to families. 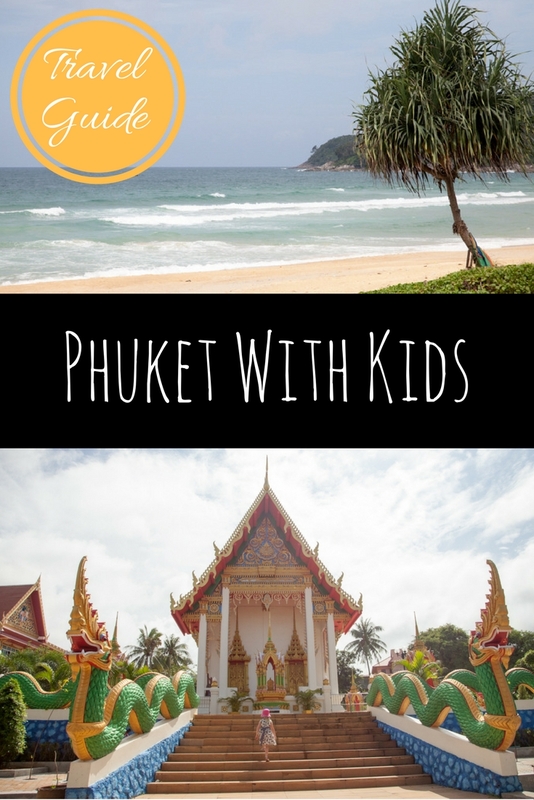 There are plenty of things to do in Phuket with kids! 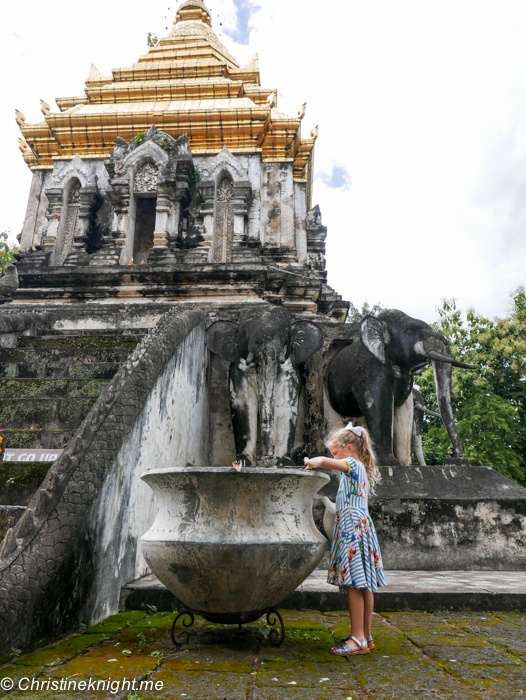 We visited Phuket with our five-year-old and found plenty to see outside of the resorts that spanned nature, culture and religion, all in just a few short days. 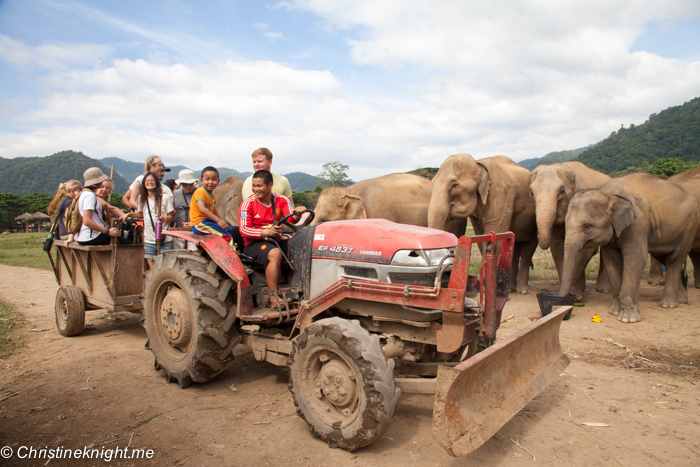 We found plenty in Phuket for kids to entertain us for several days. There is no doubt that the beaches in Thailand are just stunning. White sand and clear blue water – just heavenly. Depending on the time of year you visit swimming at the beaches may or may not be an option. During the wet season, box jellyfish are more prevalent, so keep a look out. 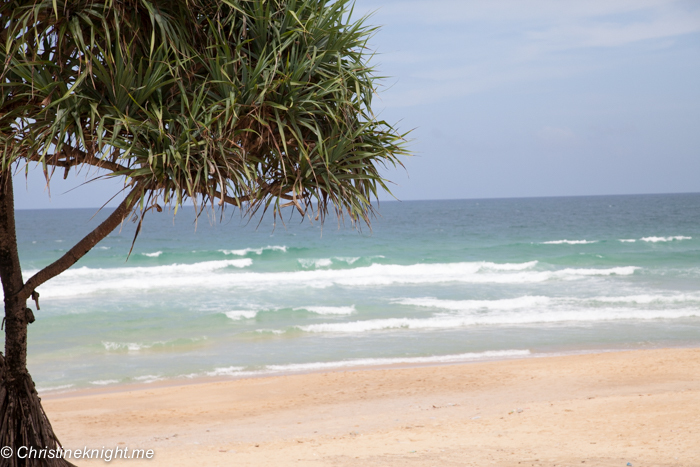 Some of the Phuket beaches are also known for heavy rips, so be safe when you swim. 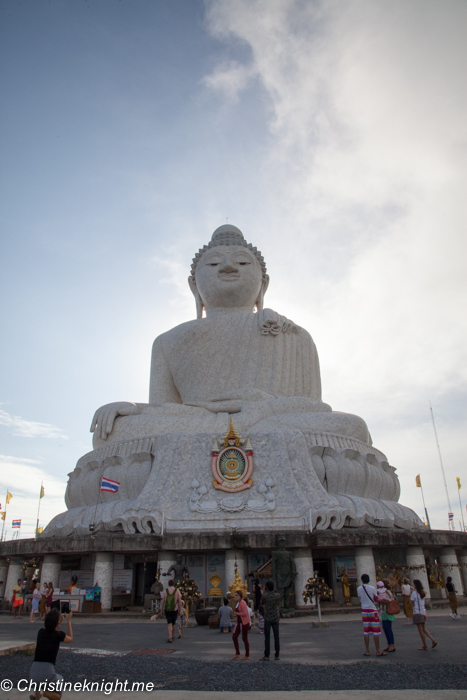 It’s hard not to notice Phuket’s Big Buddha from around the island. 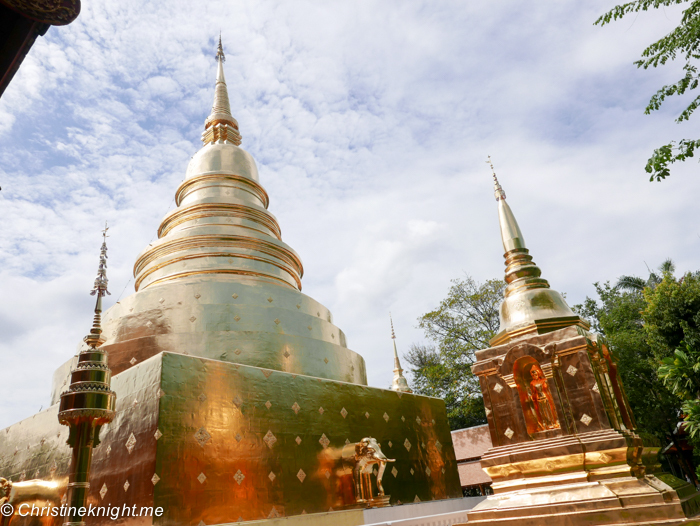 The imposing 45 metre tall statue and temple sits on top of the Nakkerd Hills between Chalong and Kata and is one of the island’s most important and revered landmarks.